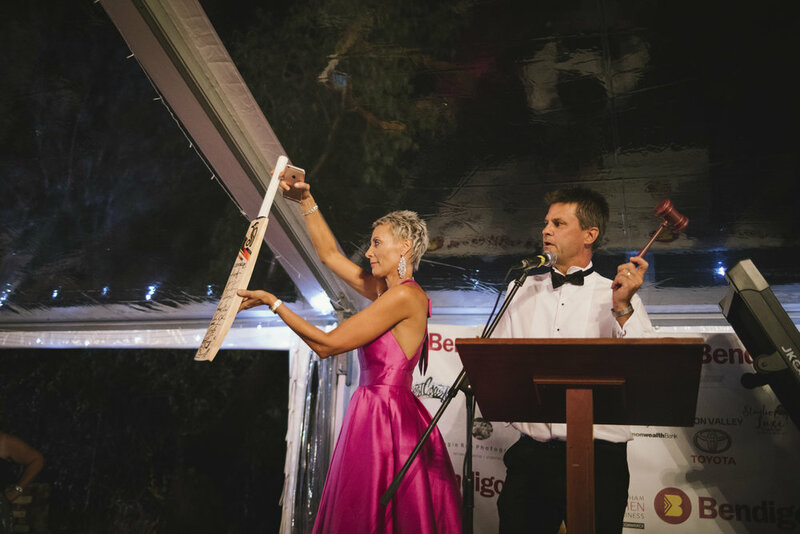 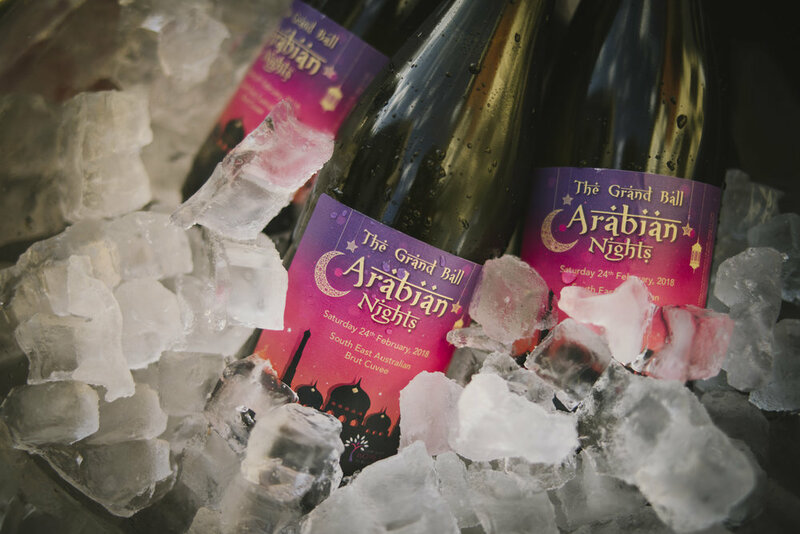 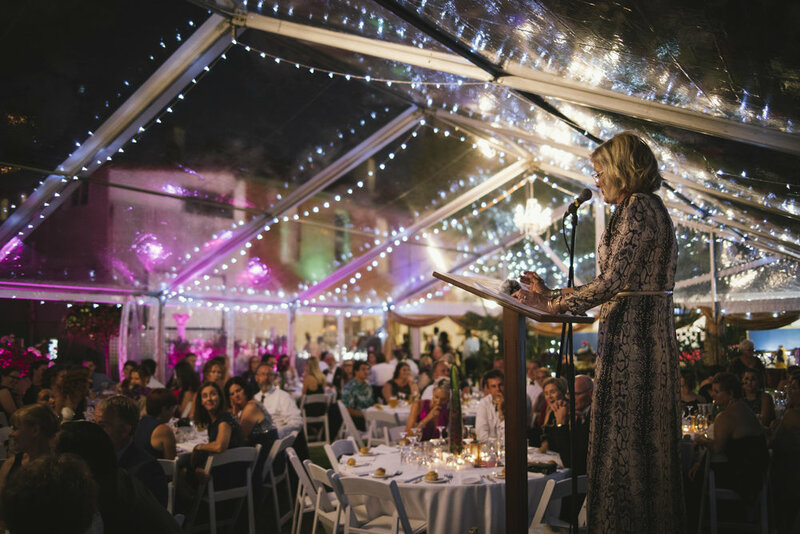 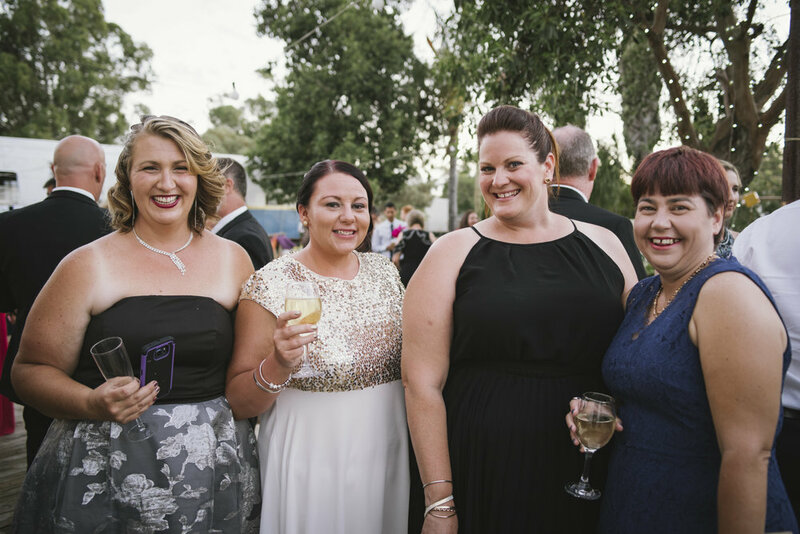 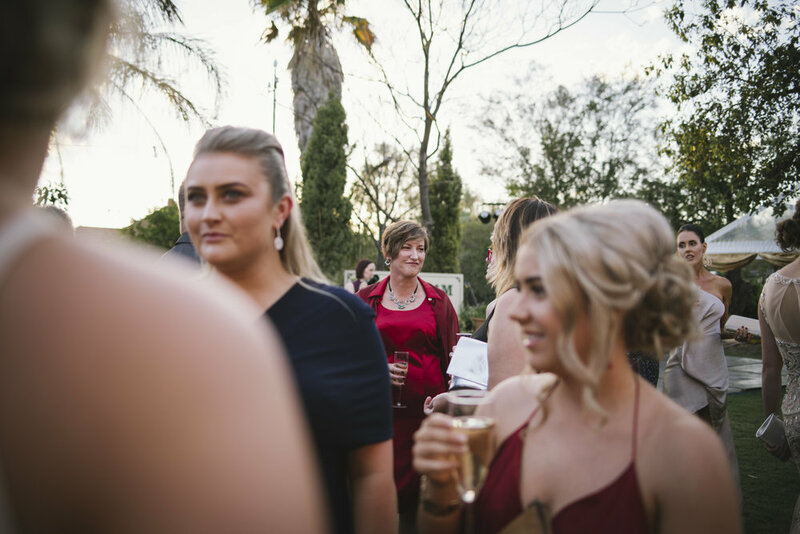 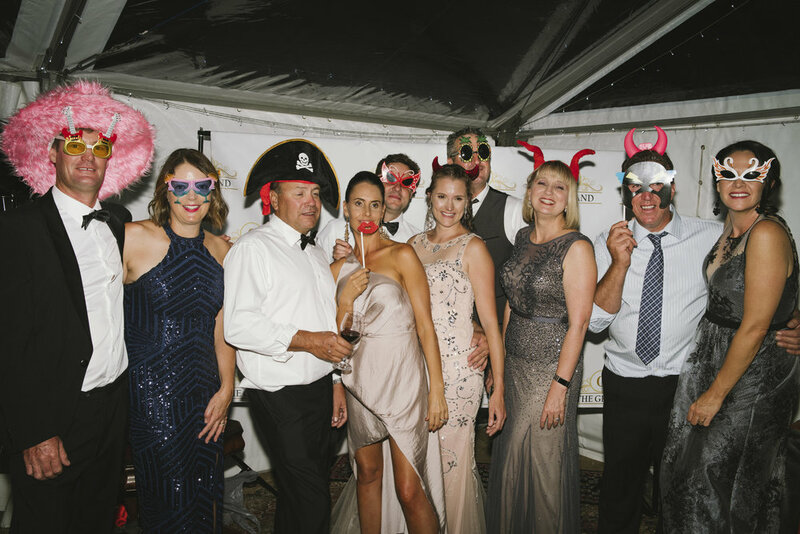 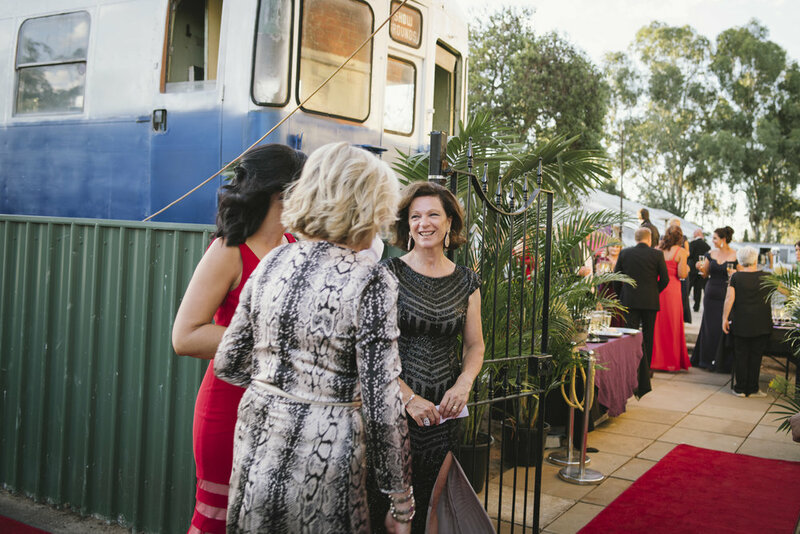 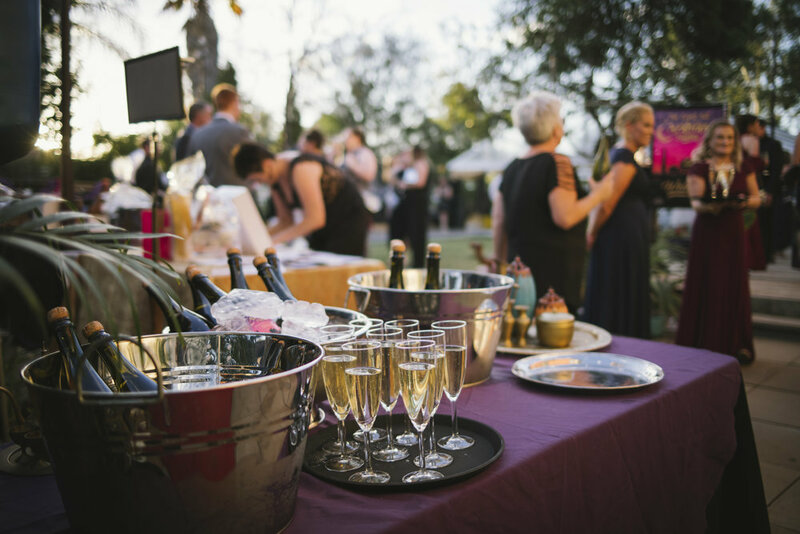 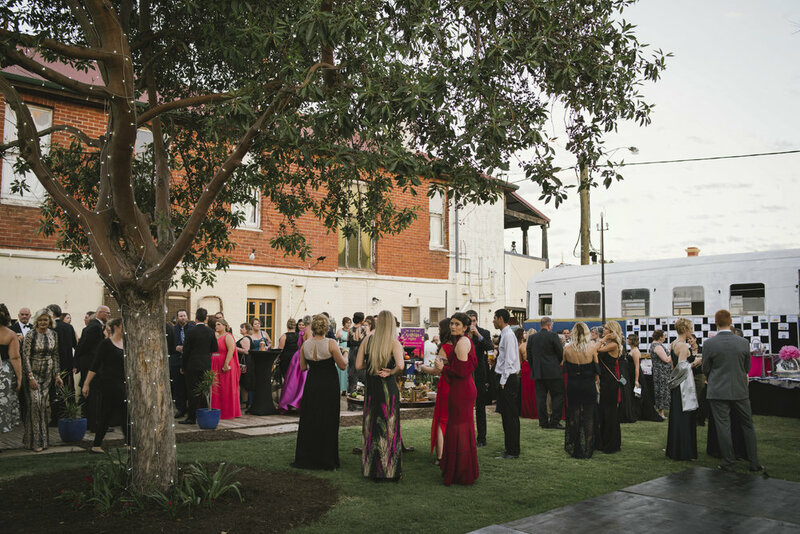 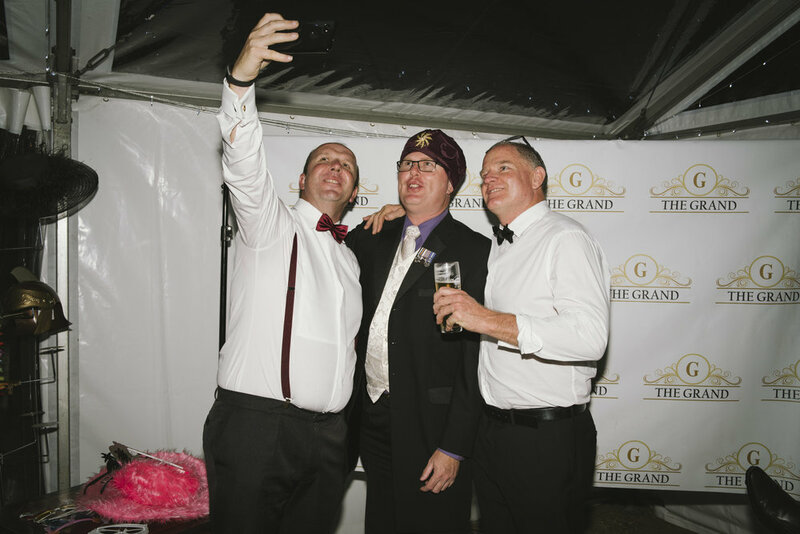 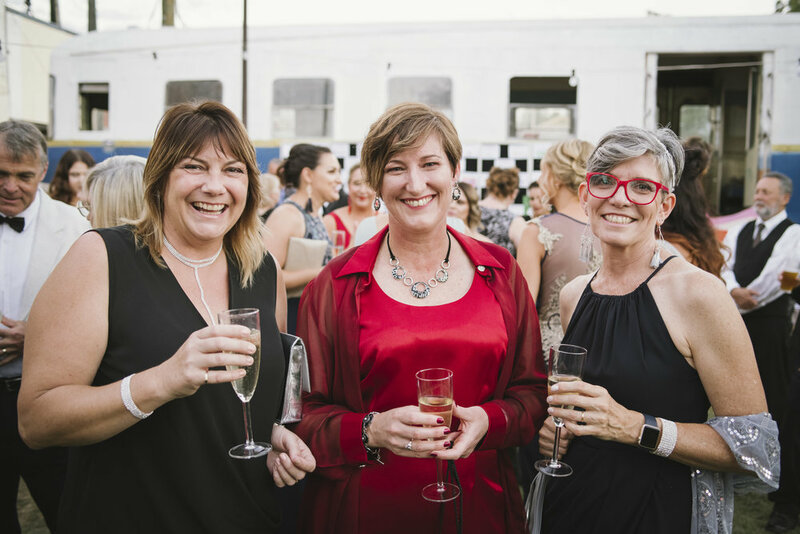 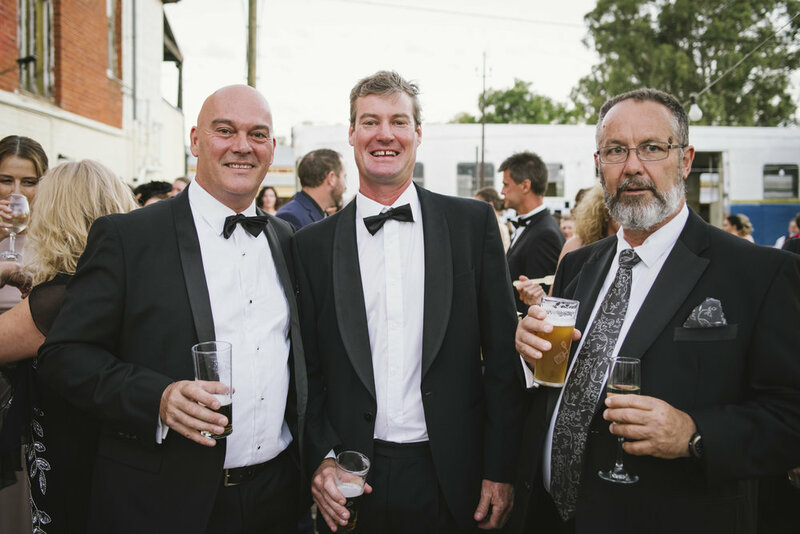 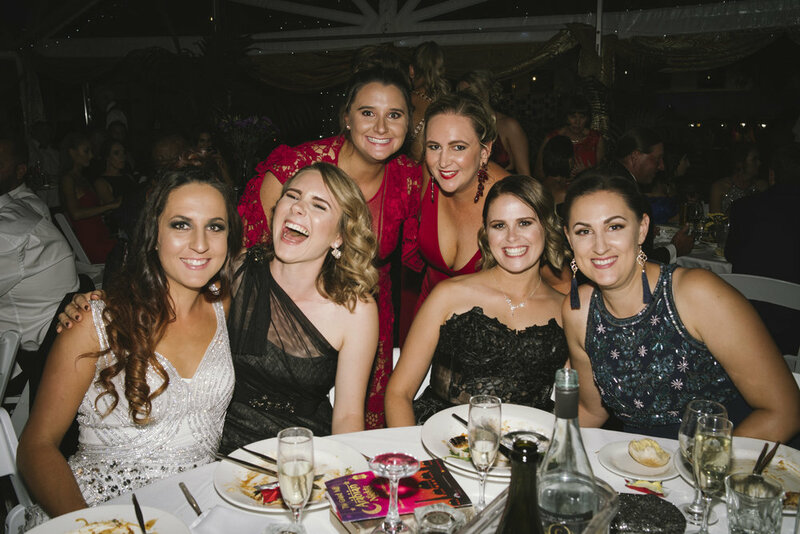 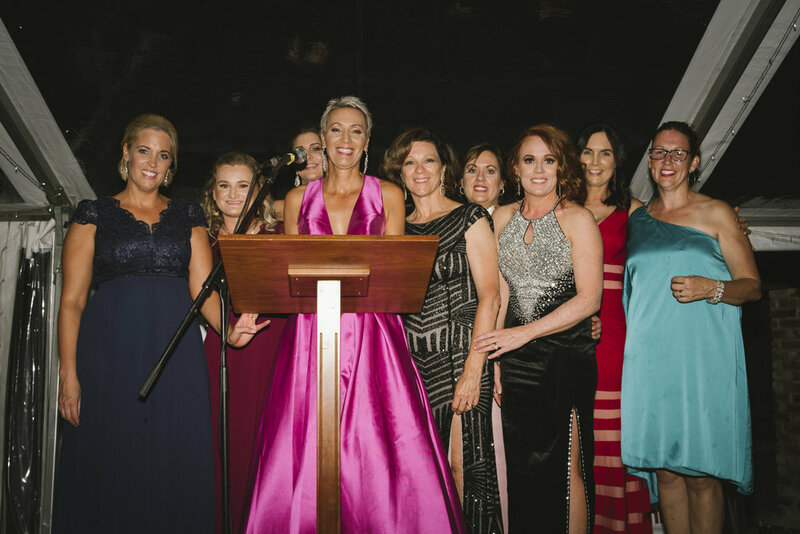 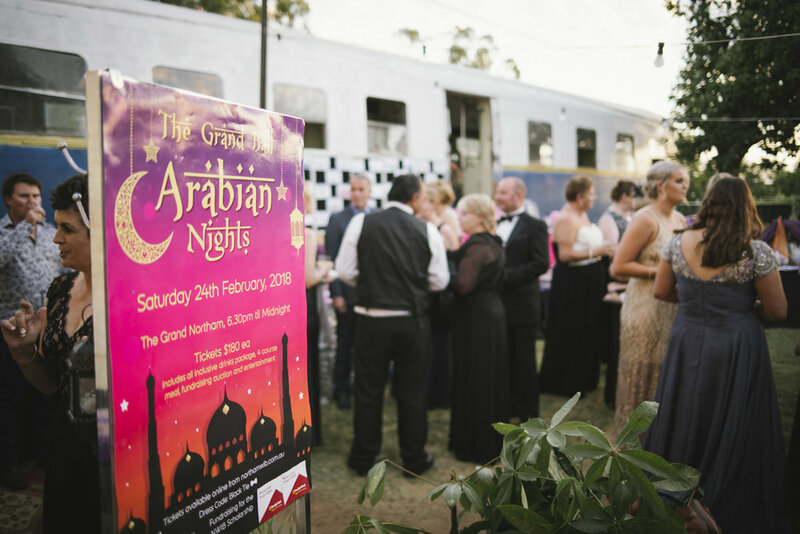 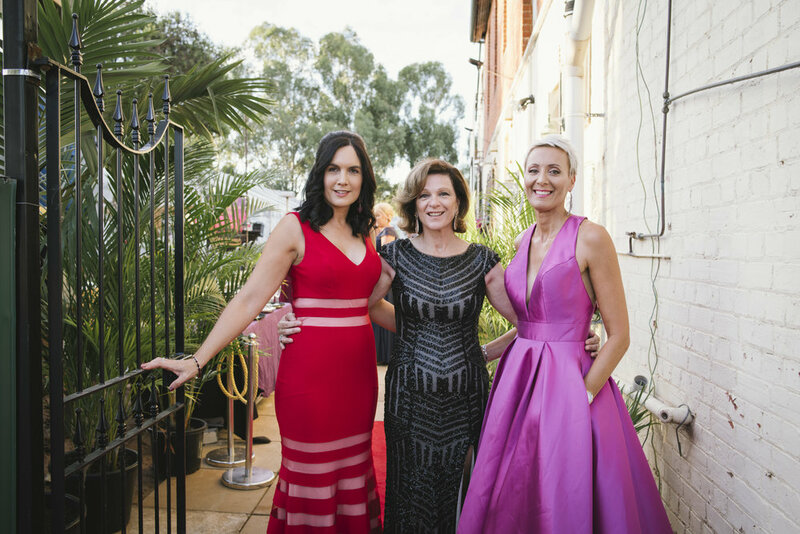 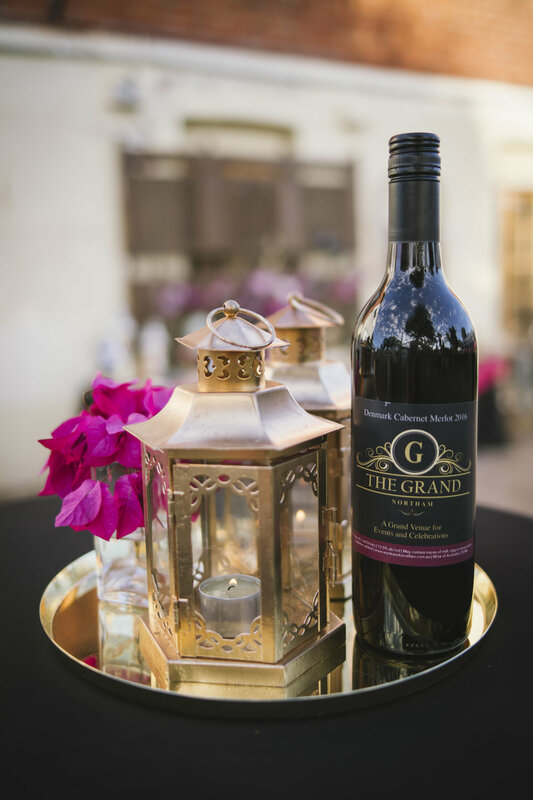 Last Saturday night the Northam Women in Business hosted their second annual Grand Ball, at The Grand, Northam, and what an evening of glitz and glamour it was! 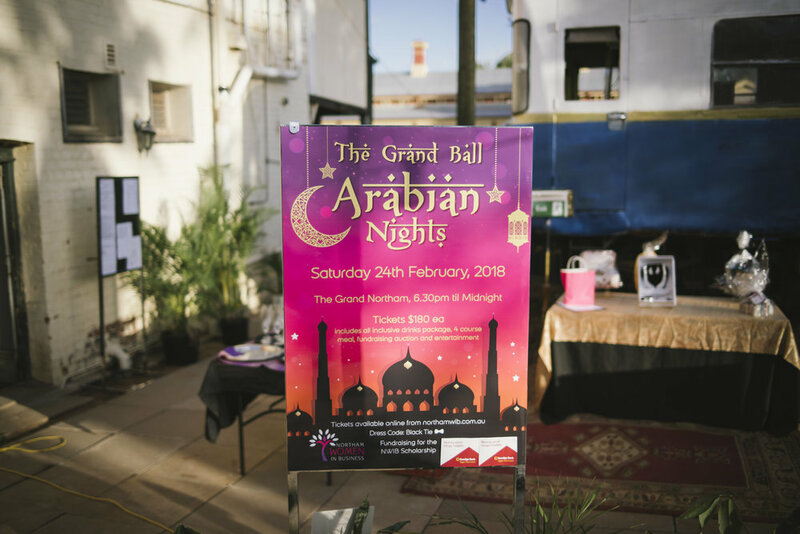 The proceeds of this gala event are awarded in the form of a Business Scholarship, to a local woman looking to open and/or continue to run her own business in the Avon Valley. 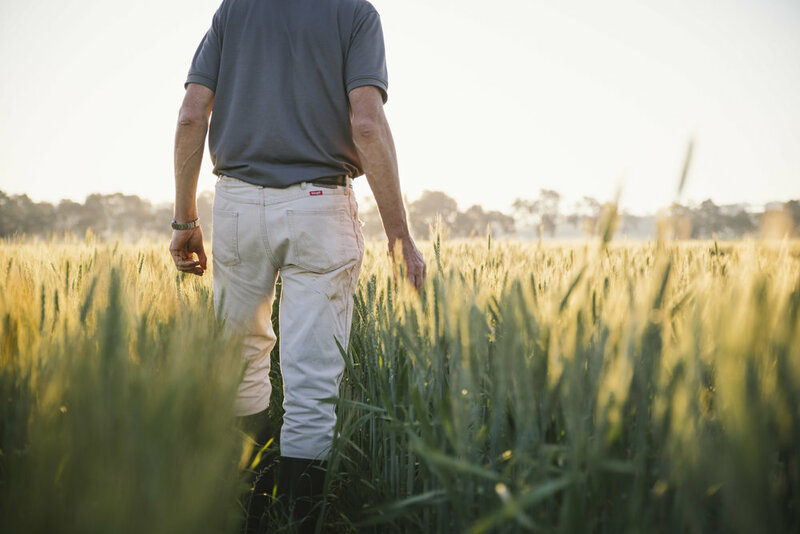 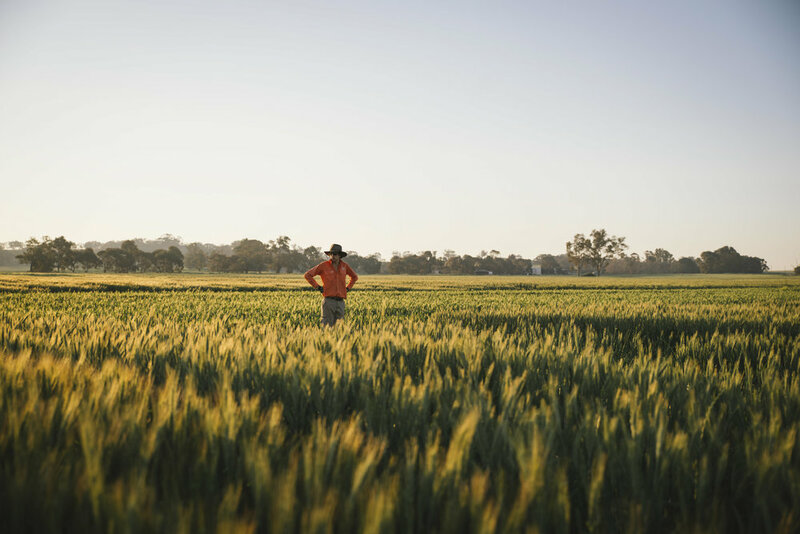 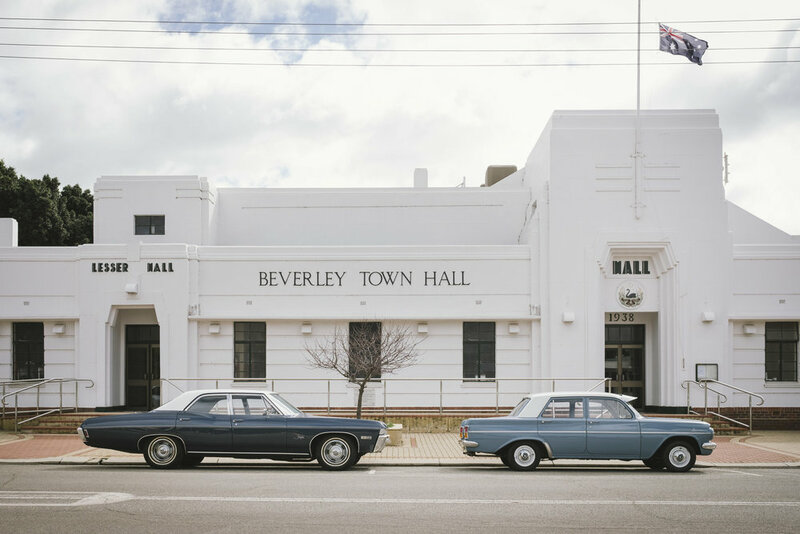 The process for applying includes a written application and interview with a panel of representatives from the Bendigo Bank, The Northam Chamber of Commerce, and the wider business community. 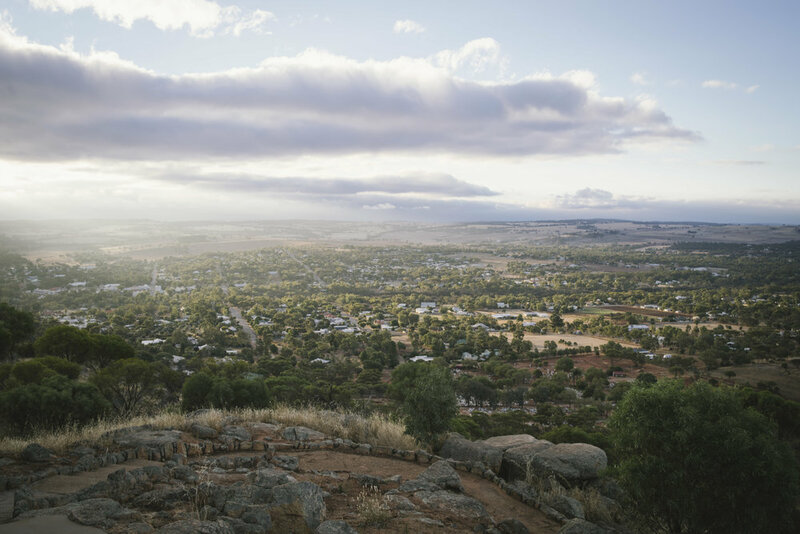 Applicants are required to demonstrate their desire, ability and readiness to either start or continue a career, venture or vocation that will bring wide ranging benefits to the Northam business and social community. 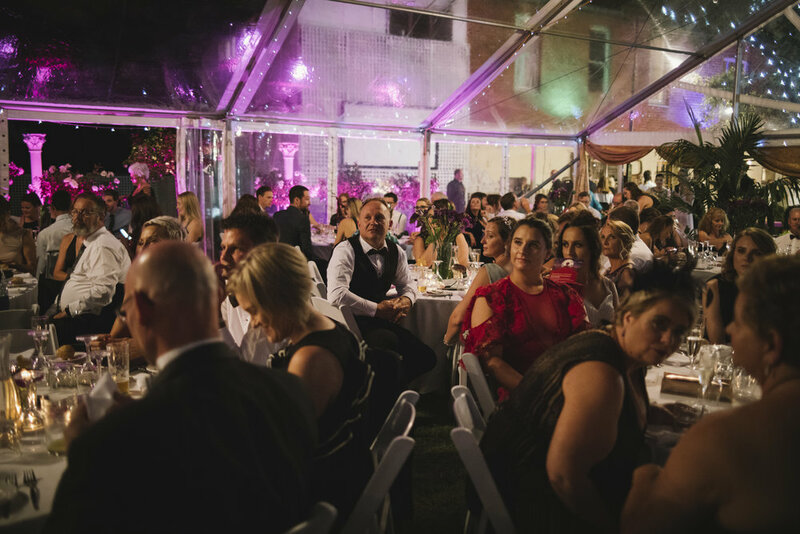 A huge amount of time and effort goes into creating an event like this, with dozens of sponsors, suppliers and donors contributing to make it second to none. 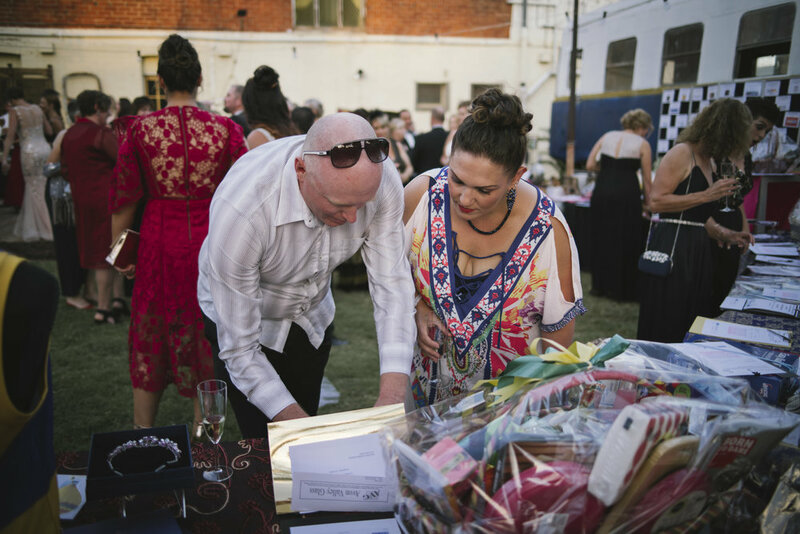 So a big thankyou to all those who donated, especially our Gold Sponsor, the Bendigo Bank, and our Silver Sponsors the Commonwealth Bank, The Grand Northam, SportsPower, West Coast Fireworks, Darren West, Simply Spectacles, and Angie Roe Photography. 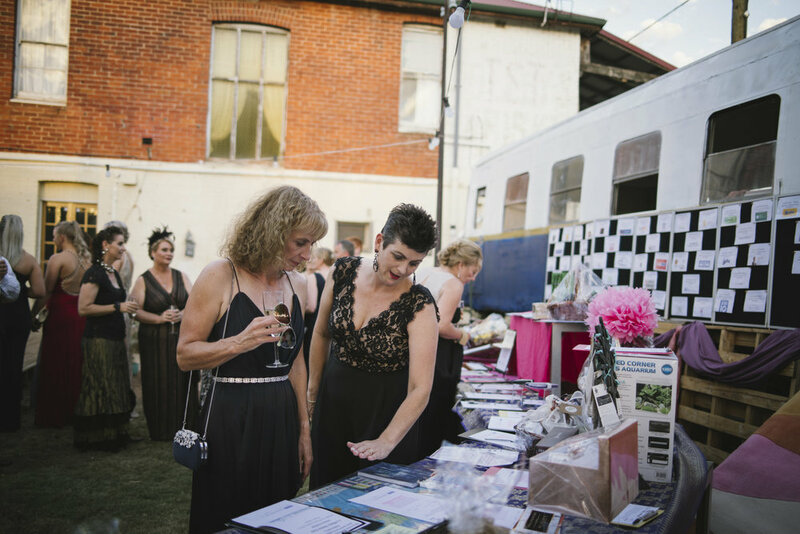 Special thanks also to the following event suppliers, for making it such an awesome evening! 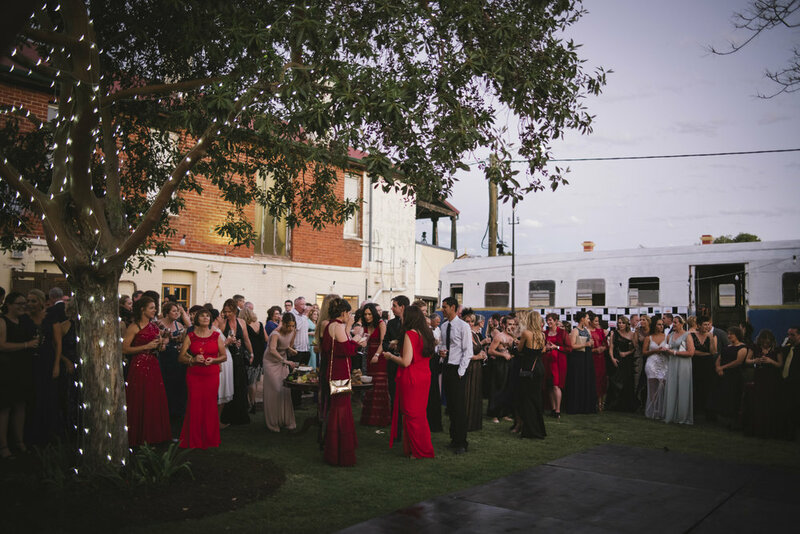 The Grand, Northam, Confetti & Co, Chalk on York, and Studio Luxe Candle Company (venue, styling and decorations), Swift Hound Films (videography), Citrons Catering and Confetti & Co (catering), Rosary Floral Design (flowers), Rhyce Toovey, BellyDance Bombshells Perth and Another Fine Mess (entertainment), WestCoast Fireworks (pyrotechnics), Leeson Digital and Jodie Longmire (marketing and artwork), and Spuds Marquee Hire (marquee). 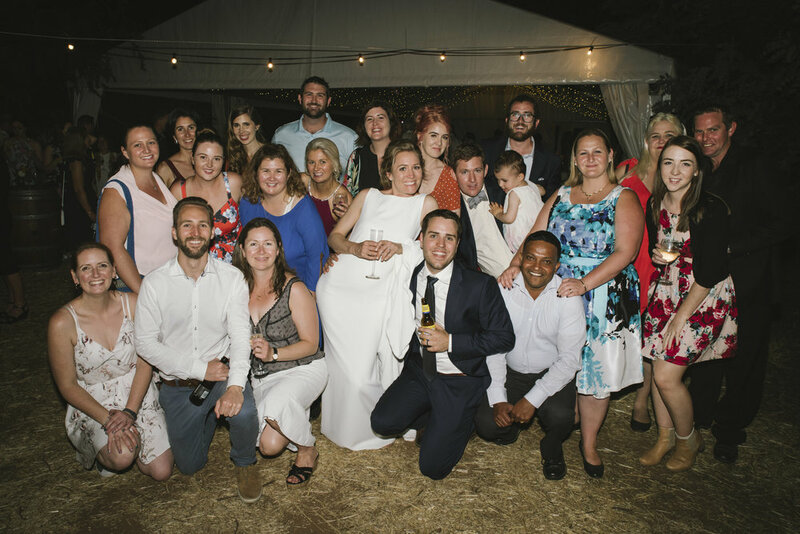 And although I couldn't possibly list you all (there were more than 70 of you! 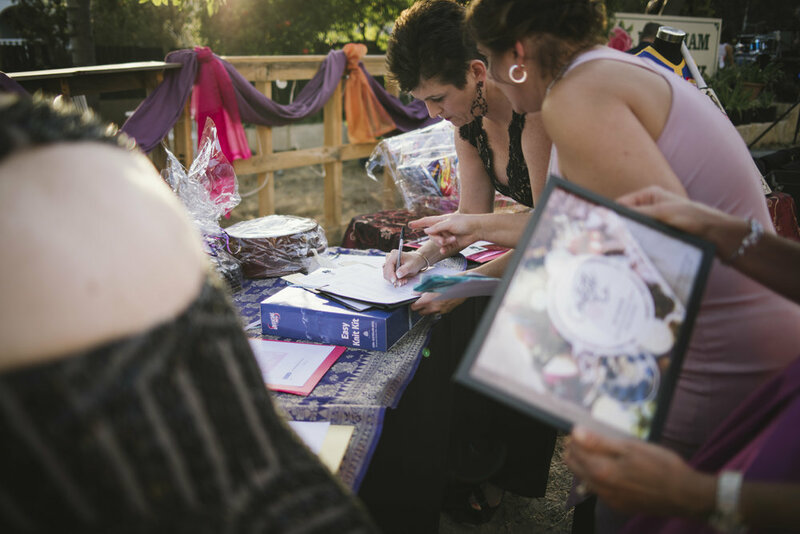 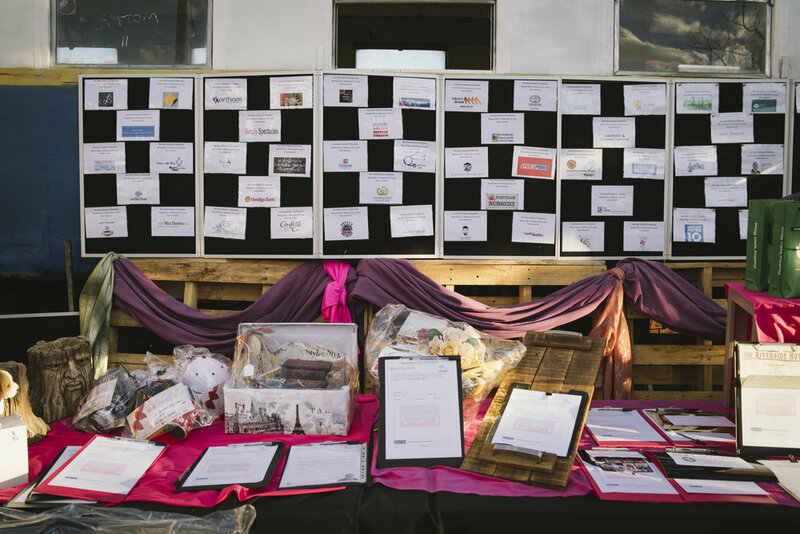 ), a huge thankyou to all the local businesses who donated their wares to both the auction and silent auction which were held on the night, and also to the people who bid on them. 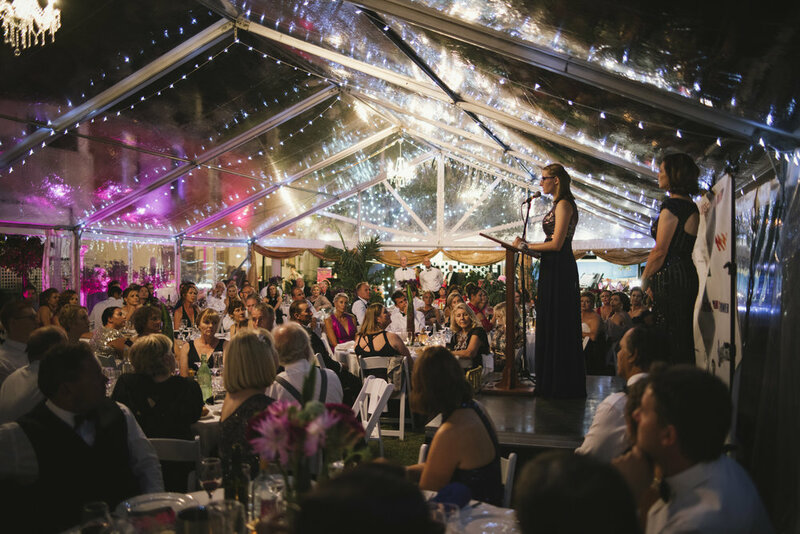 Your generosity contributes a significant amount of the funds required to make both The Grand Ball and the Business Scholarship possible, and we simply couldn't do it without you. 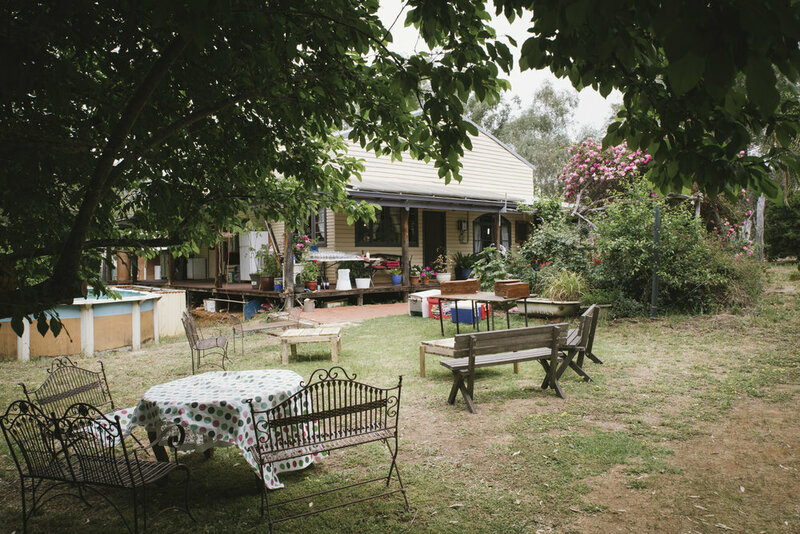 And the result of all this hard work and vision? 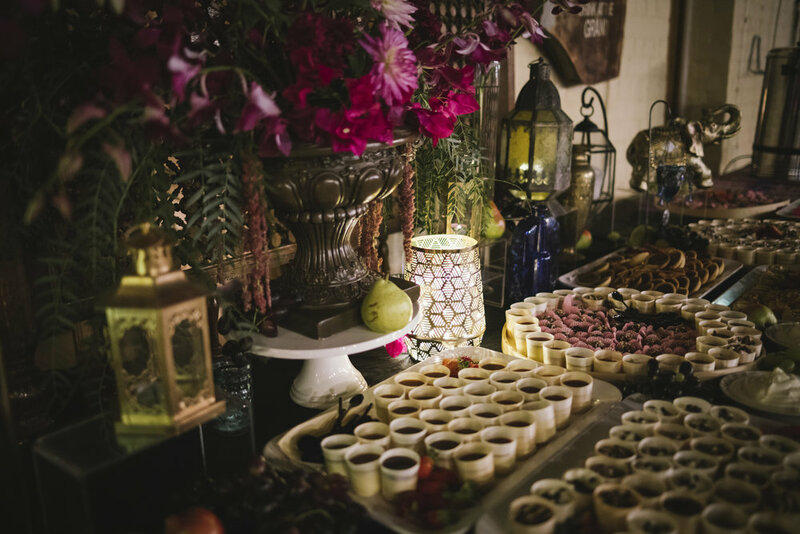 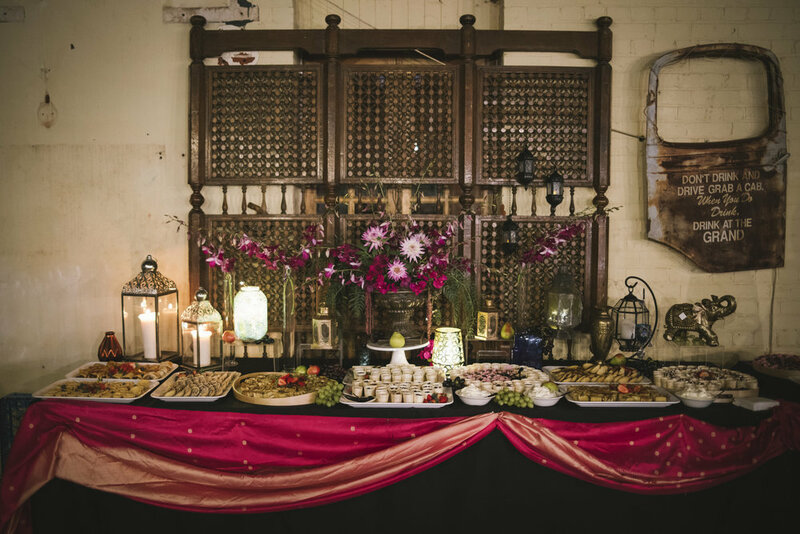 A fantastic night full of glitz and glamour, which saw guests enjoying the incredible grazing and dessert tables (think sweets with names like pear and almond frangipani flan! 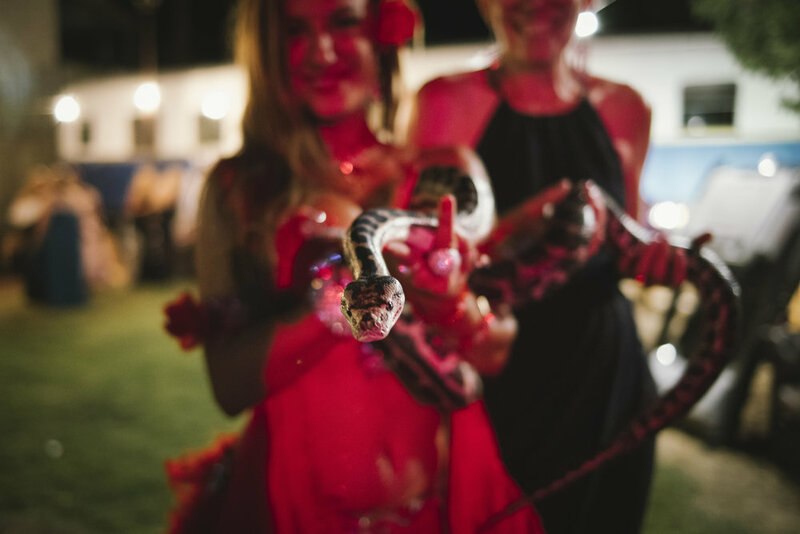 ), and a host of entertainers, including Rhyce and the band, and our gorgeous belly dancers, who even brought their own snakes along - as you do! 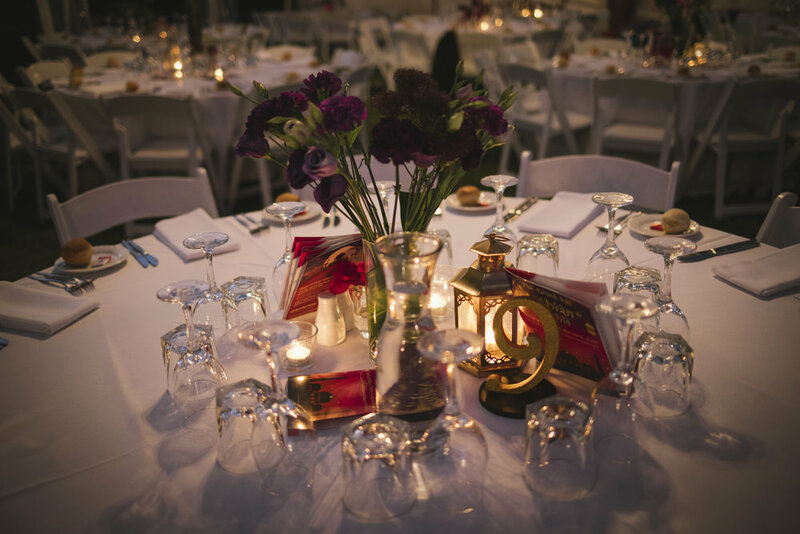 Now all that remains to see is who wins the scholarship! 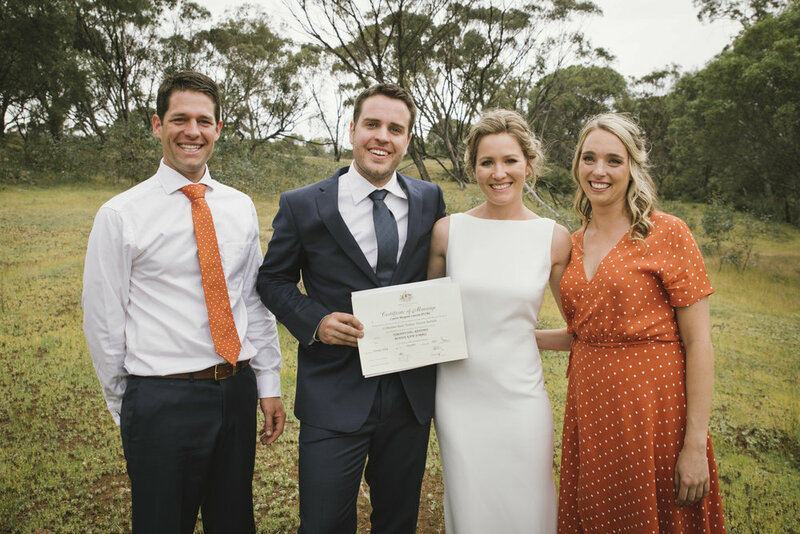 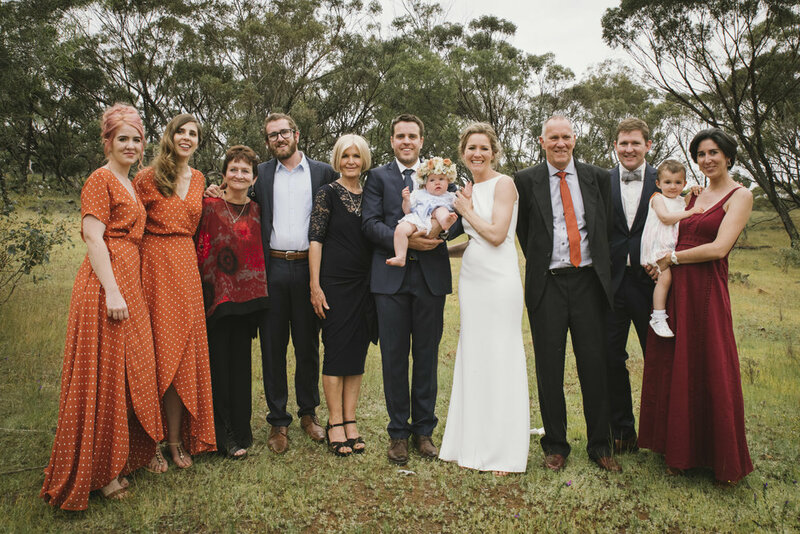 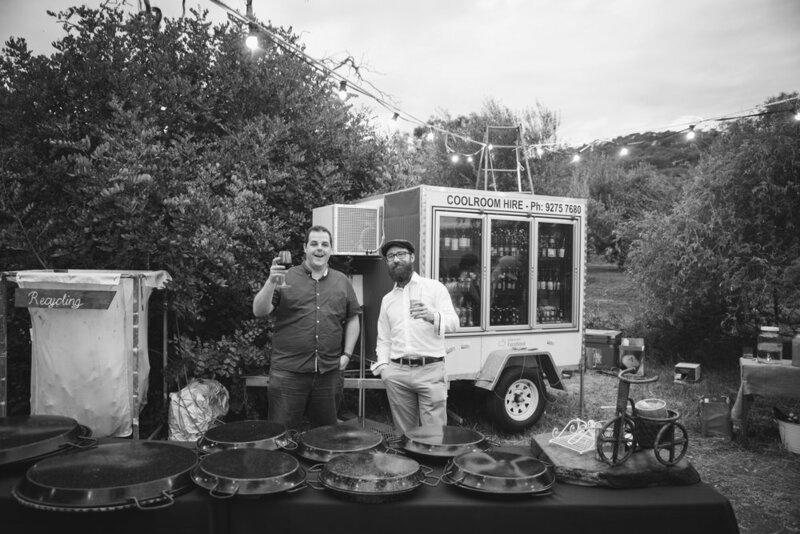 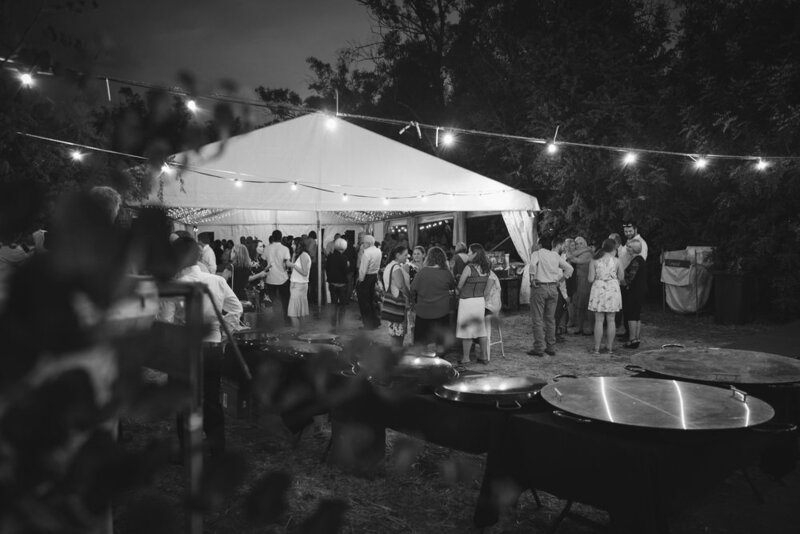 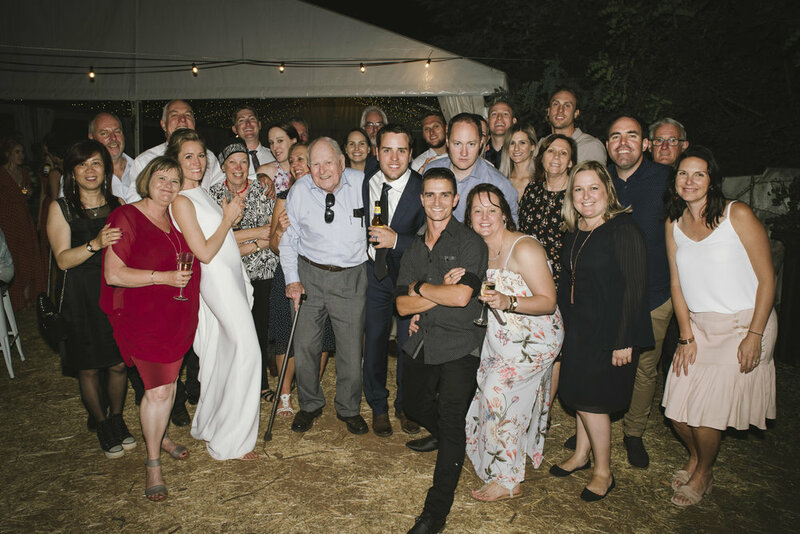 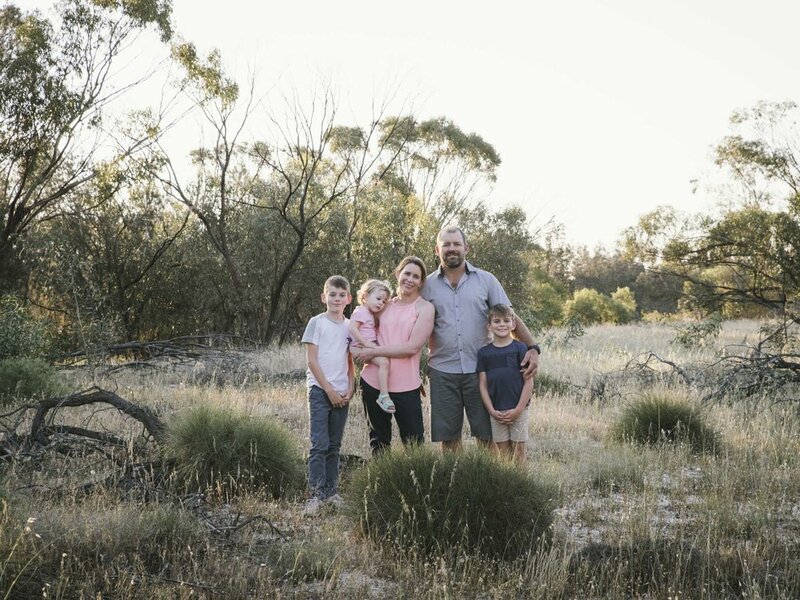 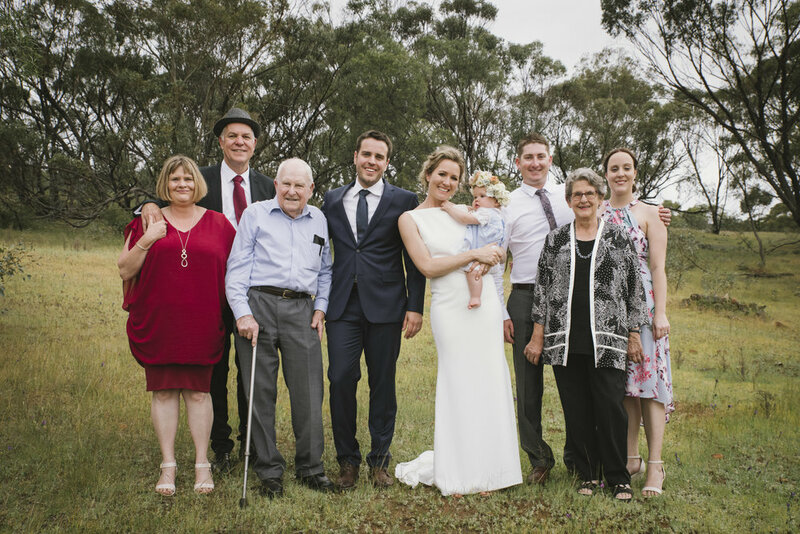 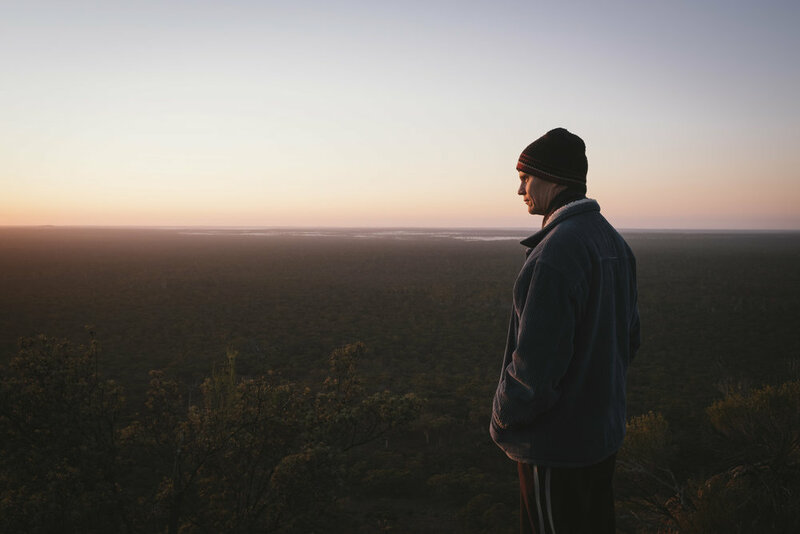 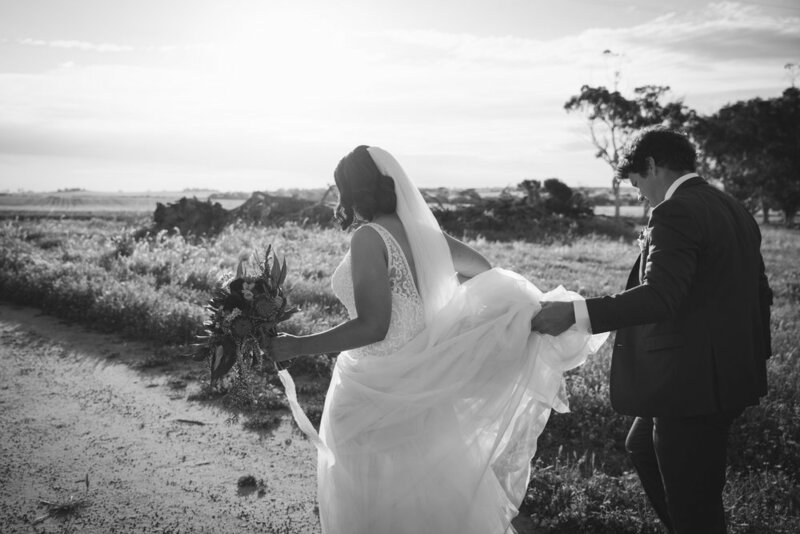 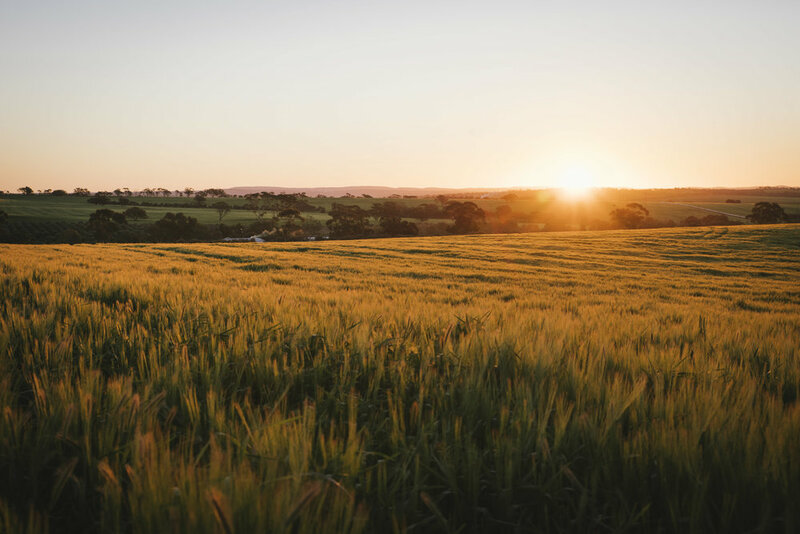 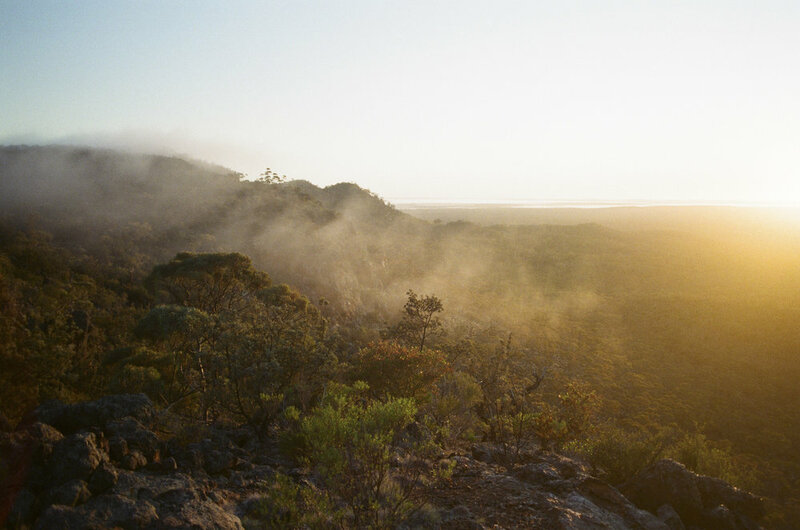 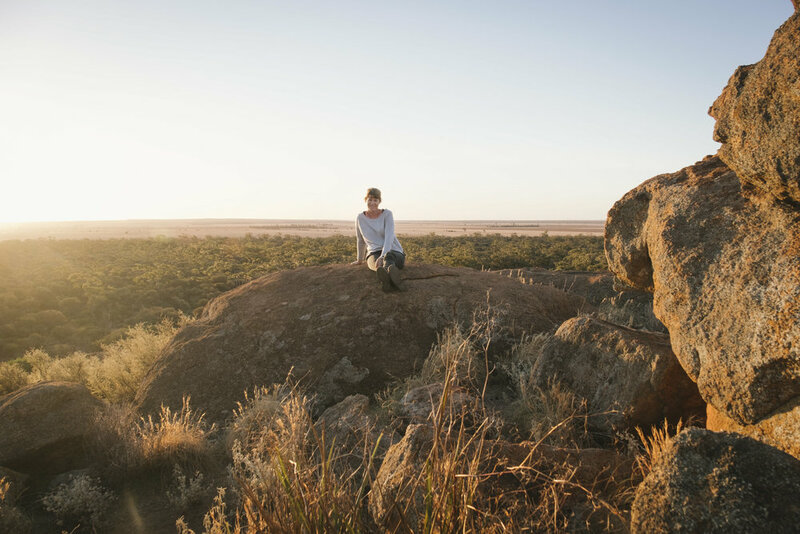 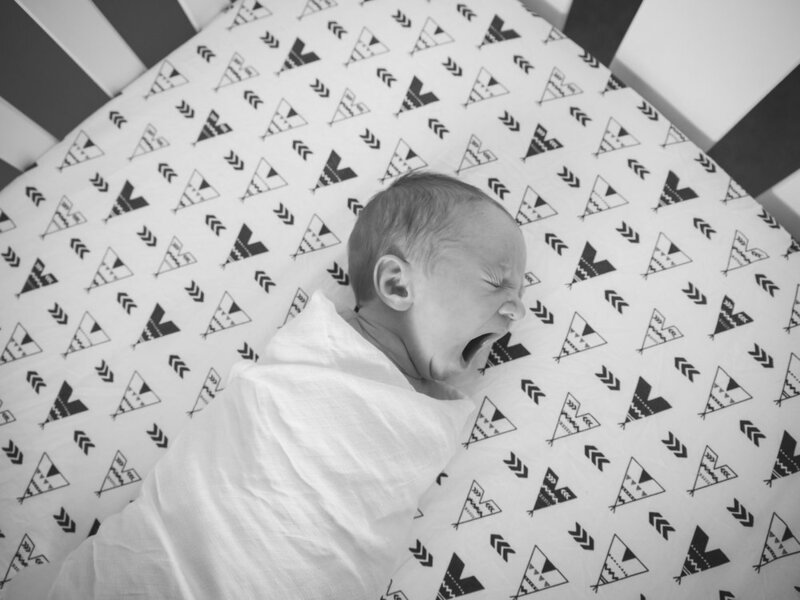 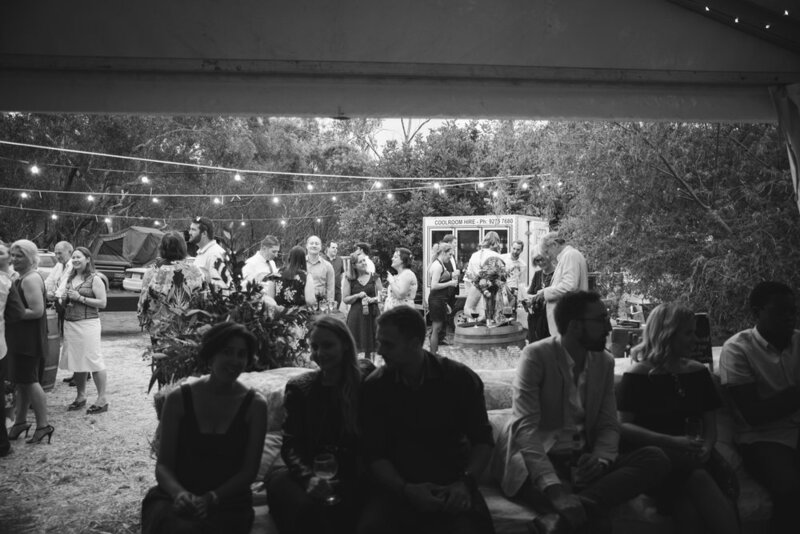 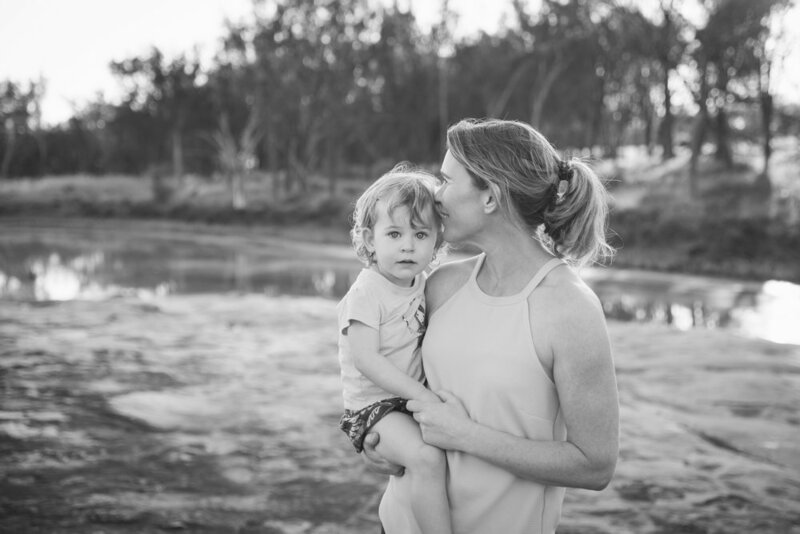 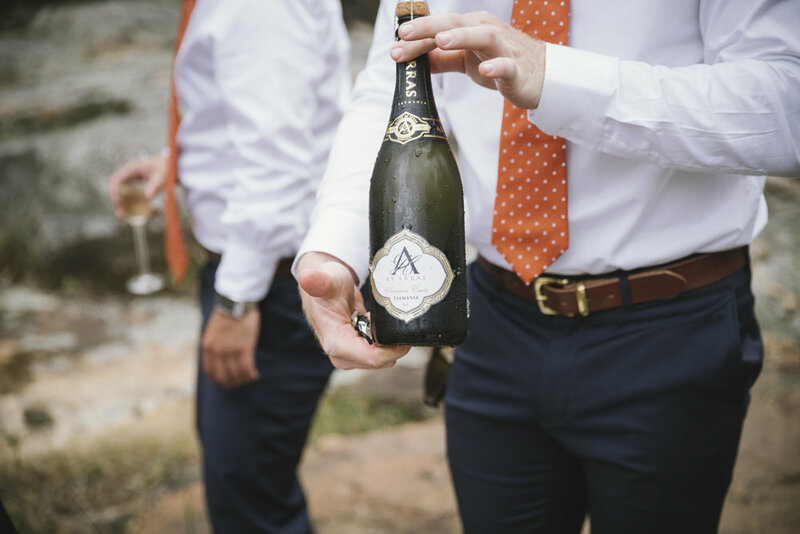 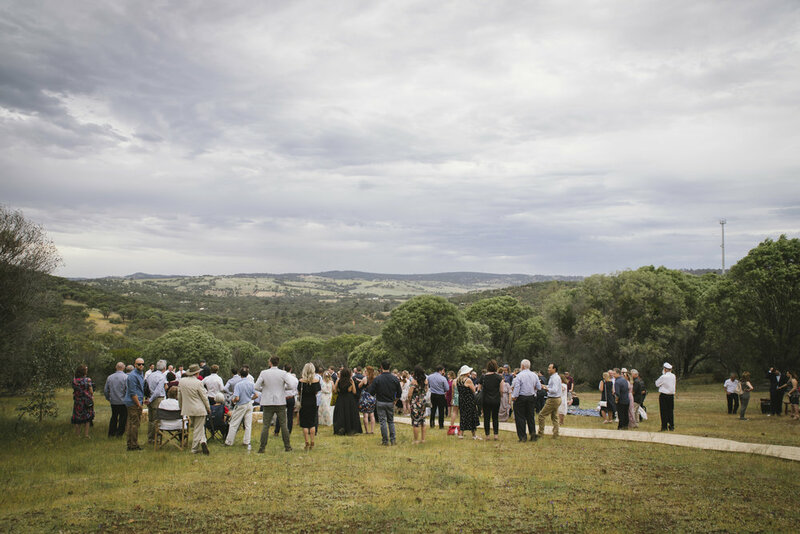 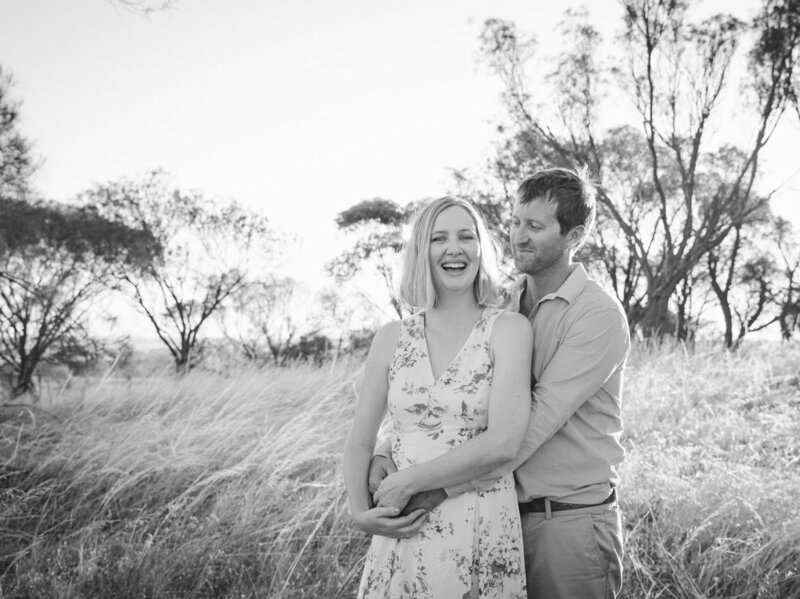 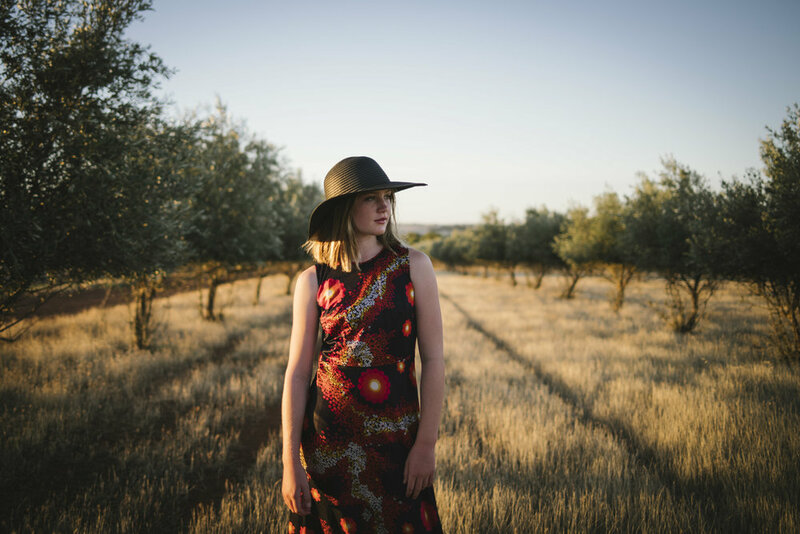 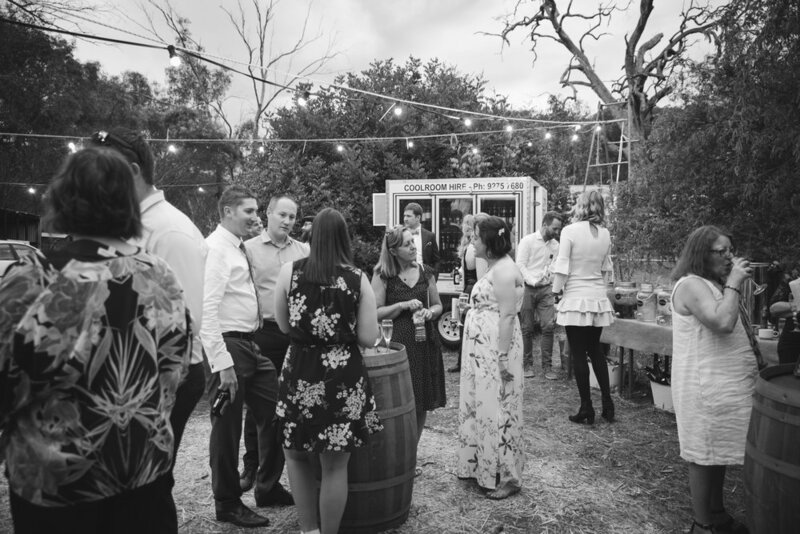 The Wheatbelt Collective has now been established for just over 6 months, with the aim of seeking out the best of our local Avon Valley and Wheatbelt talent, in order to provide both city and country folk with a host of quality suppliers to choose from, when planning a wedding or event in a rural area. 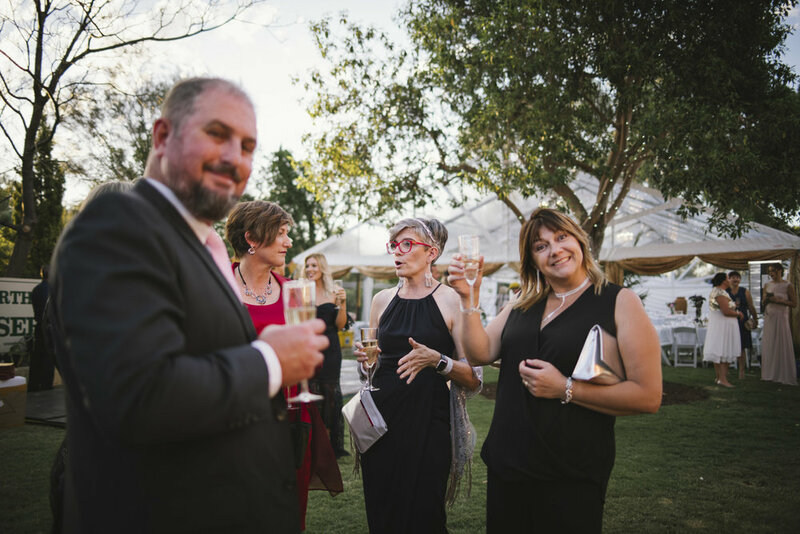 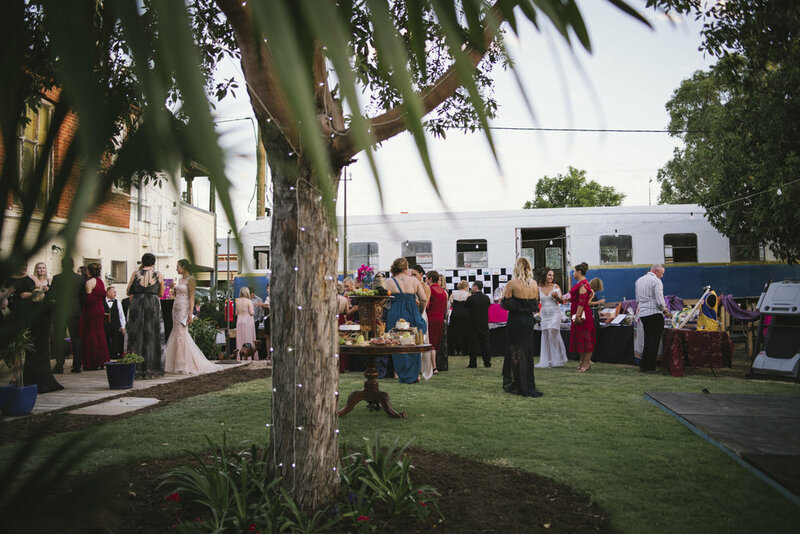 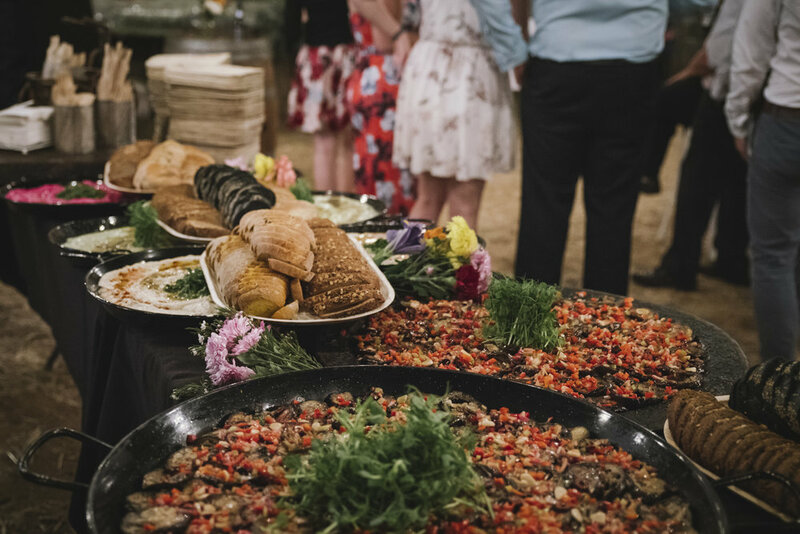 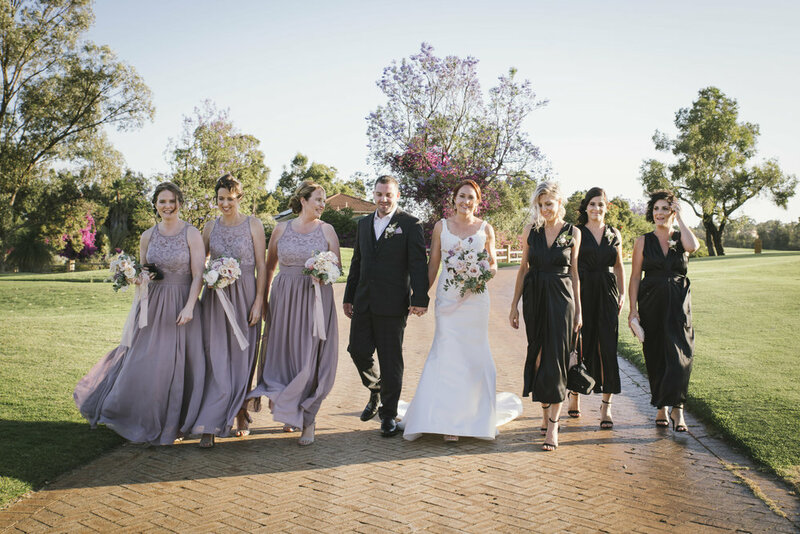 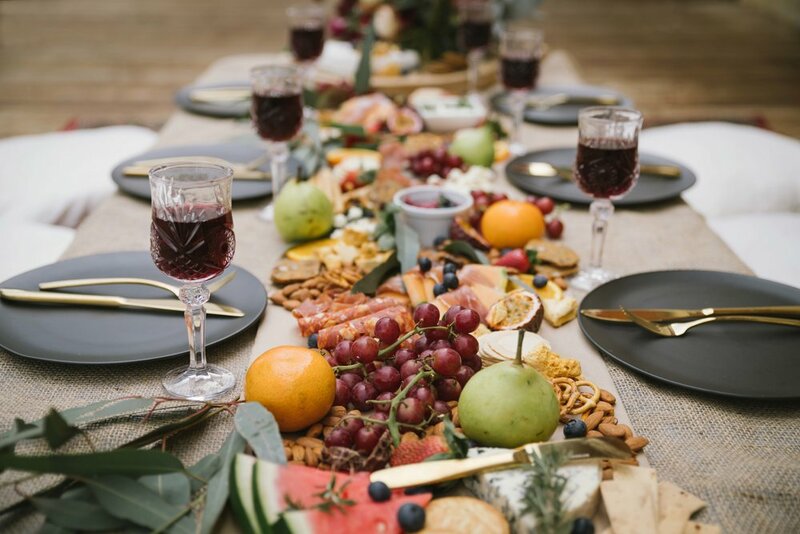 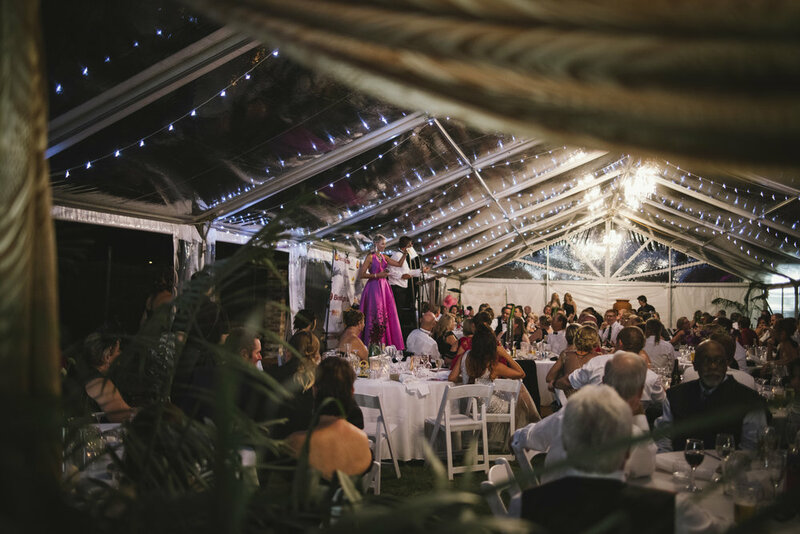 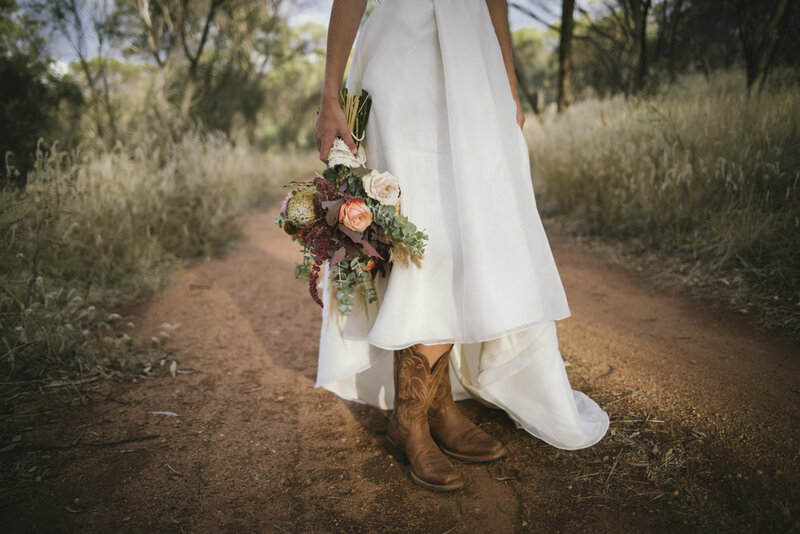 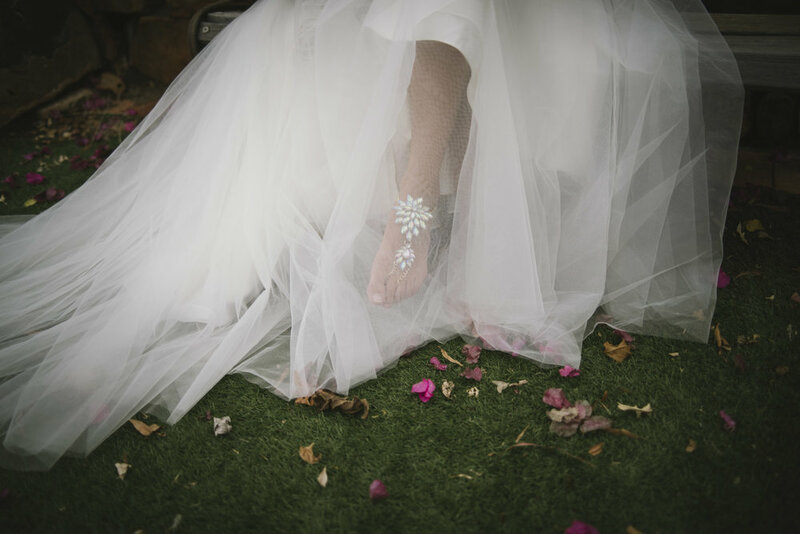 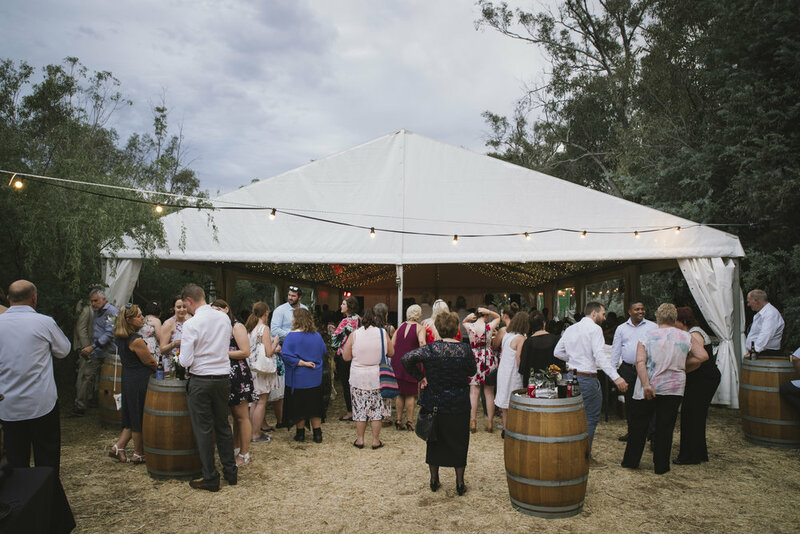 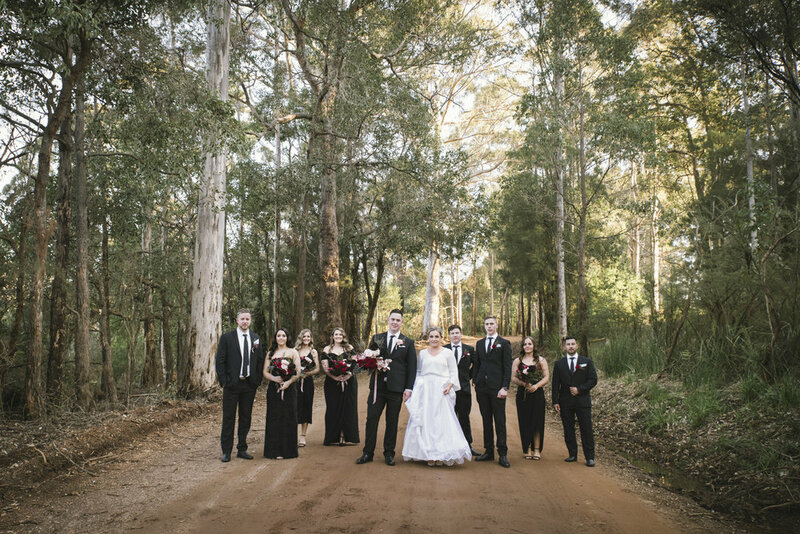 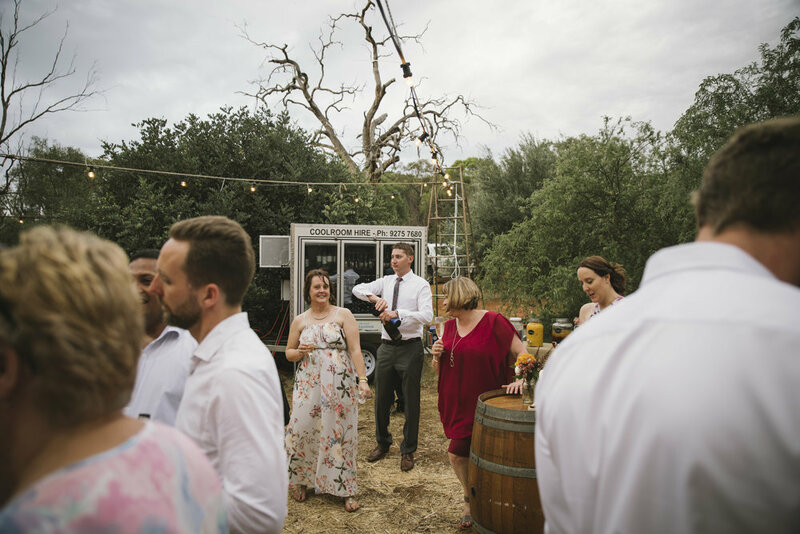 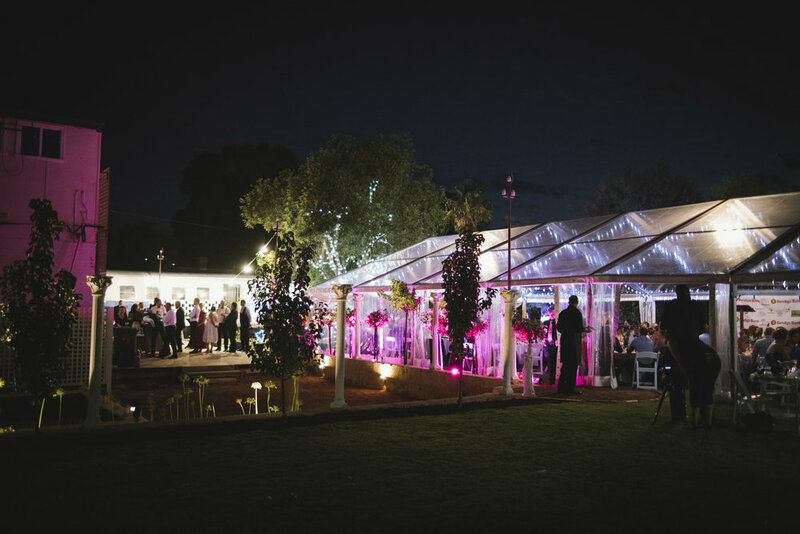 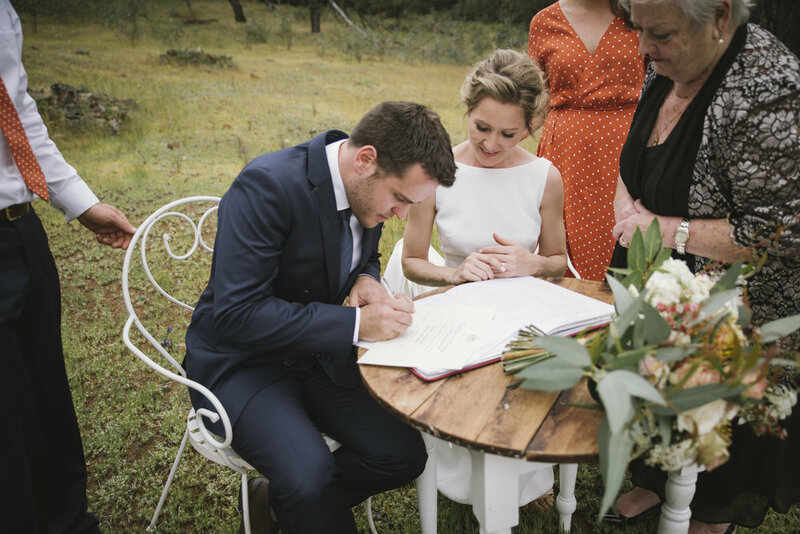 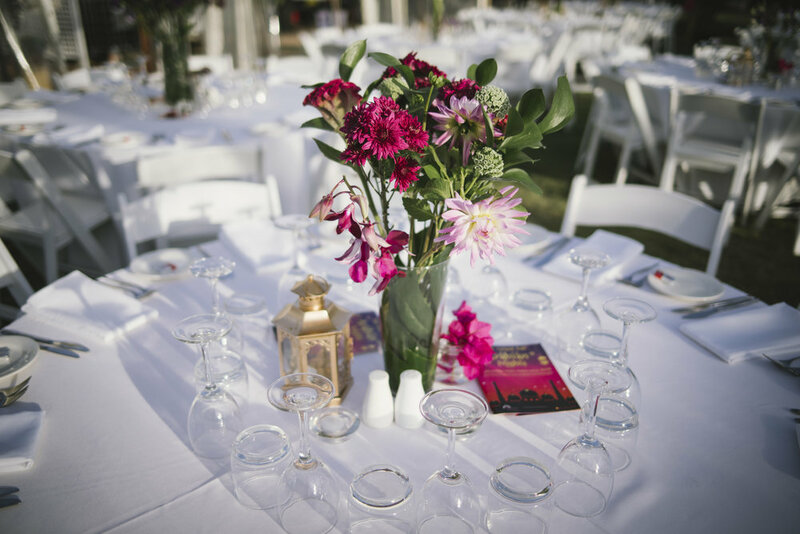 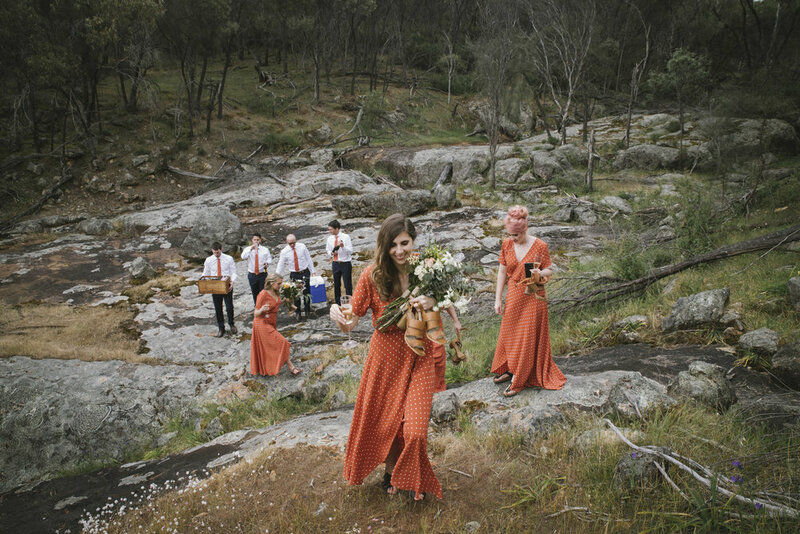 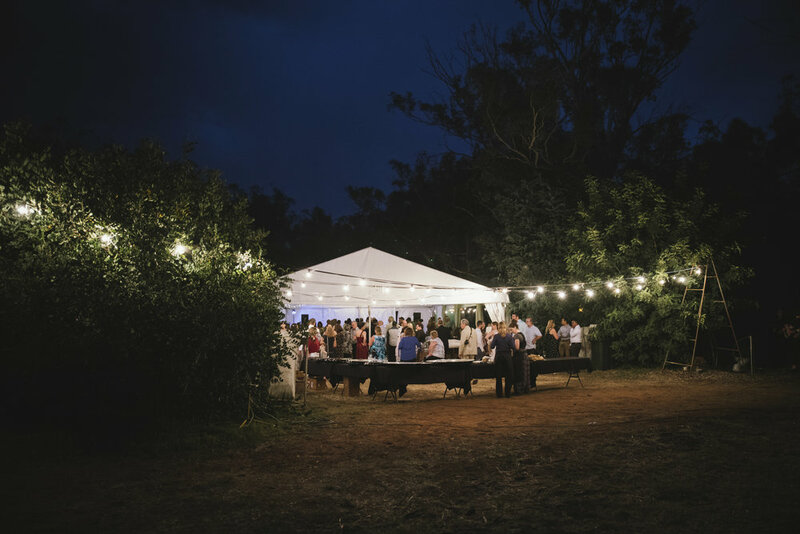 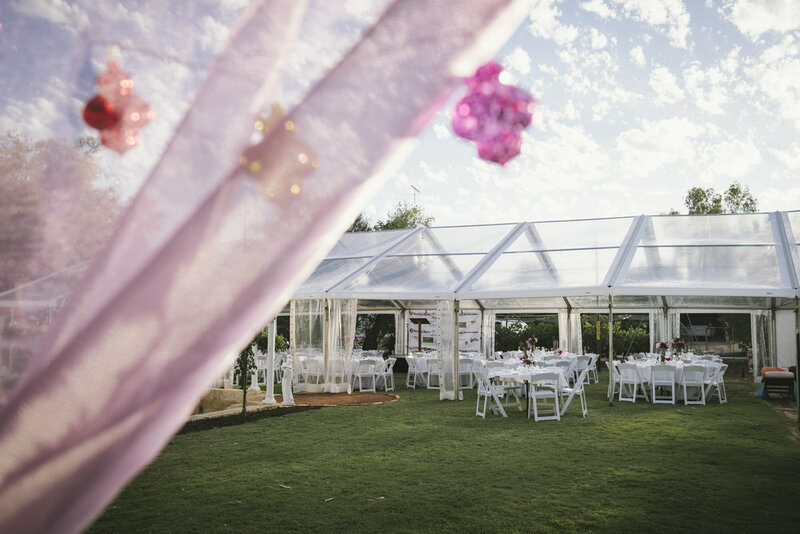 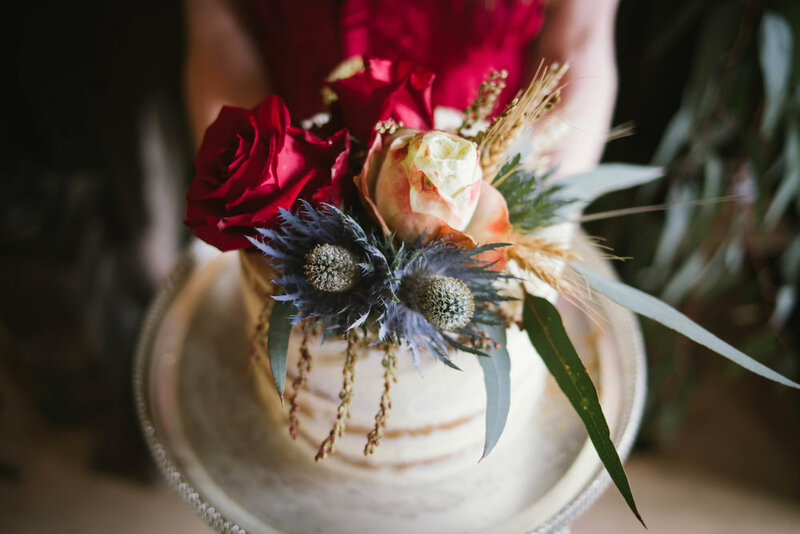 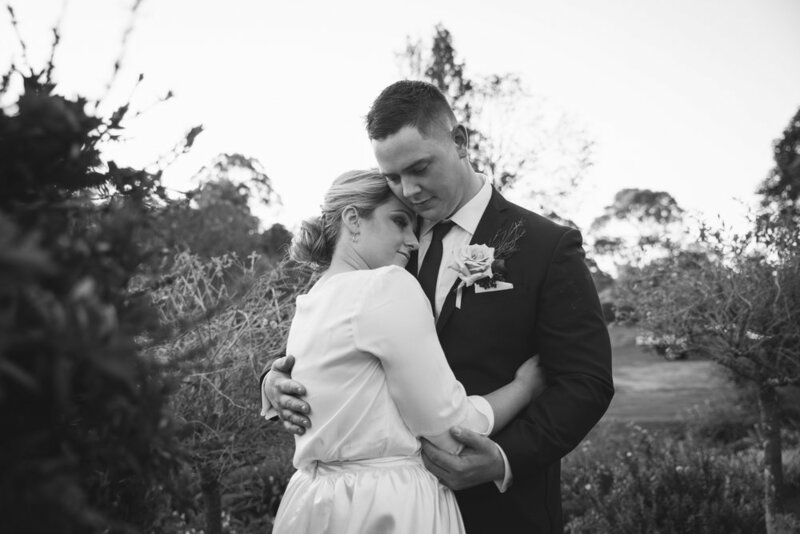 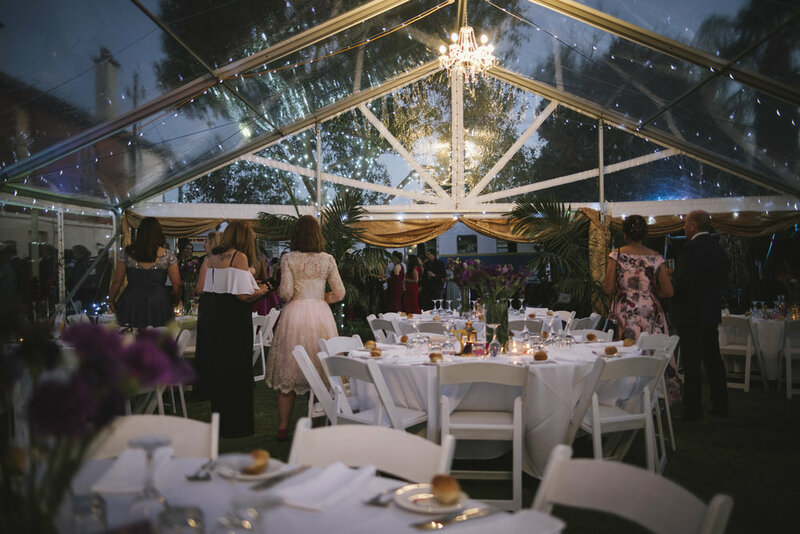 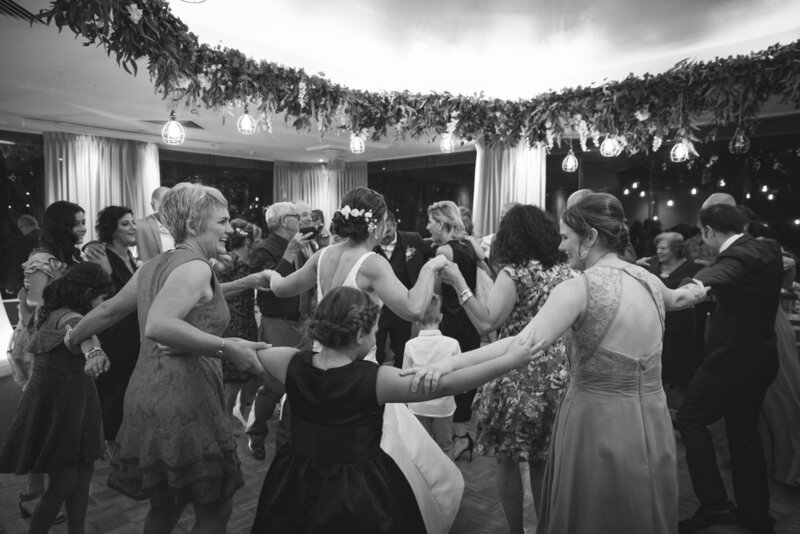 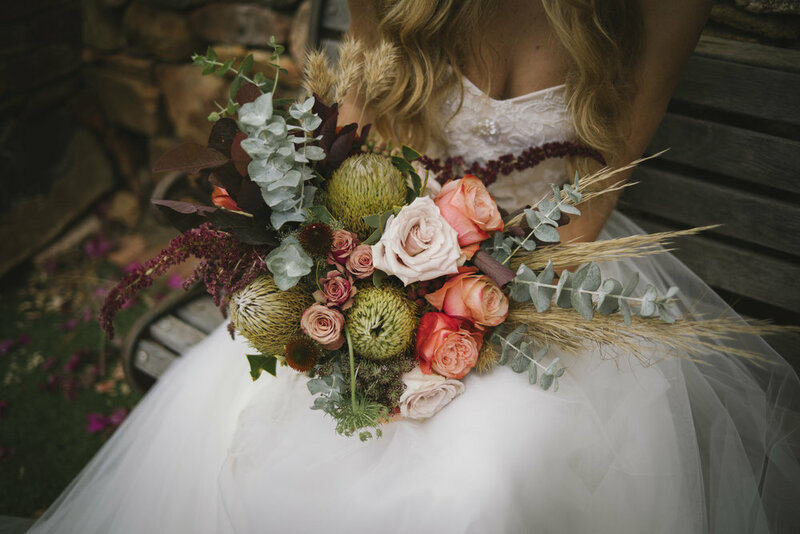 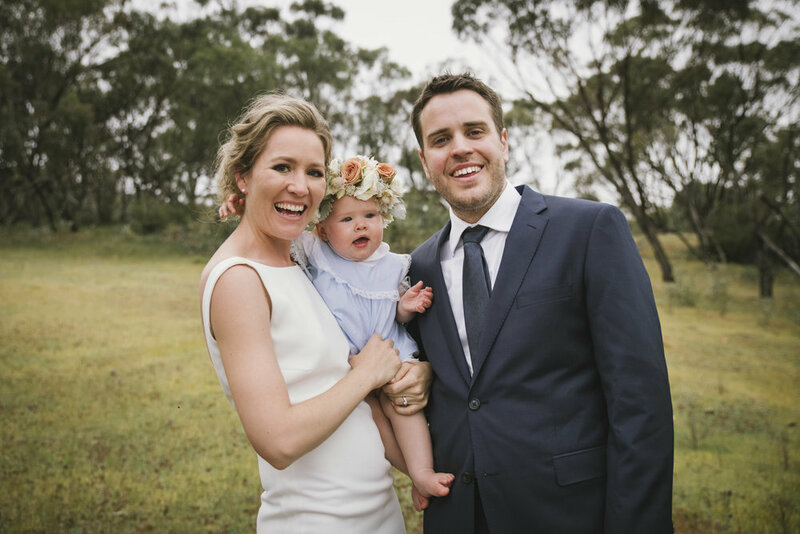 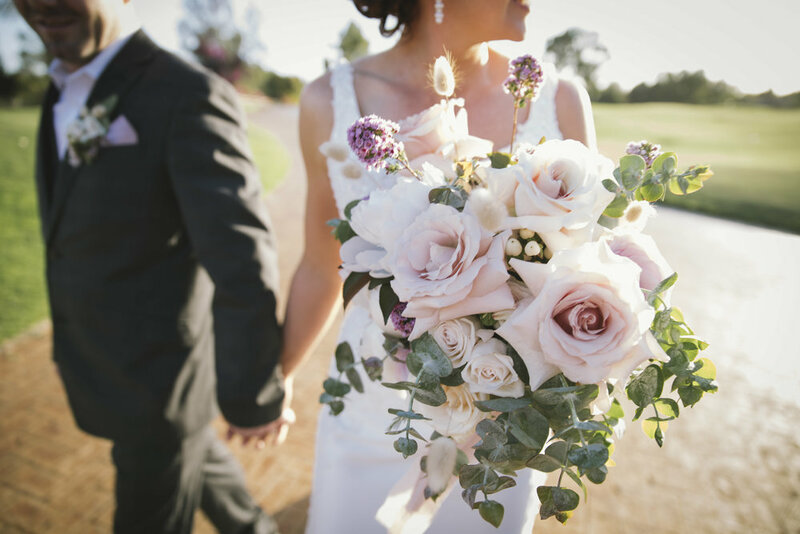 Founded by myself and the lovely ladies from Confetti & Co and Petallica Flower Co, the Wheatbelt Collective is a collaboration between like minded wedding and event specialists, based in the Avon Valley, just east of Perth in WA. 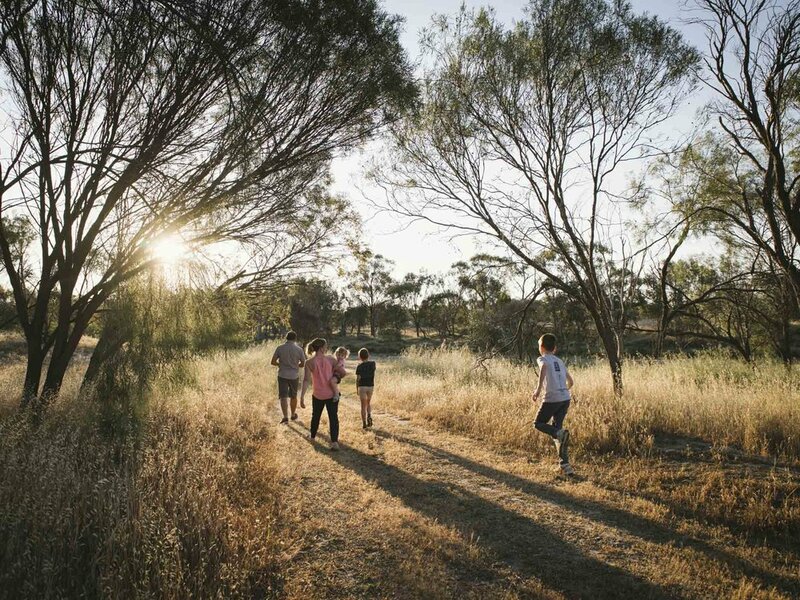 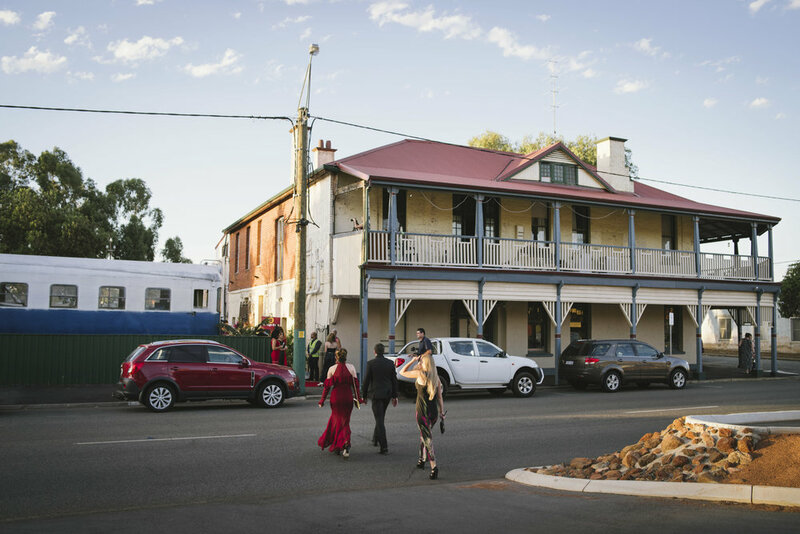 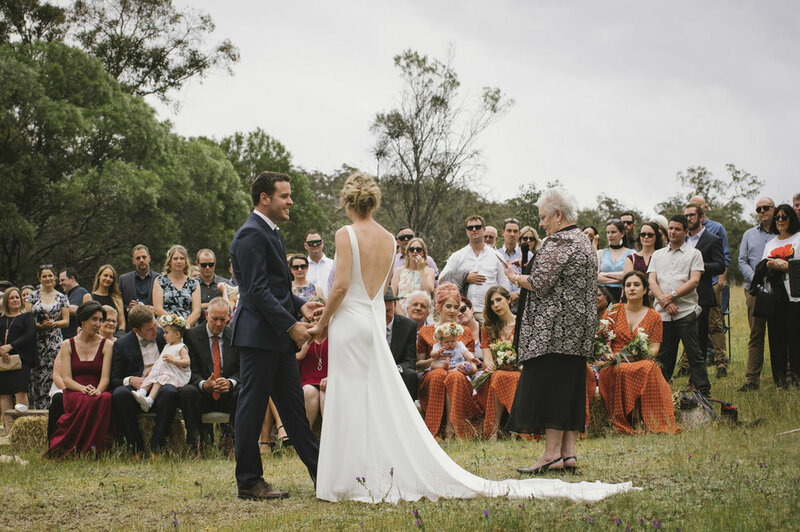 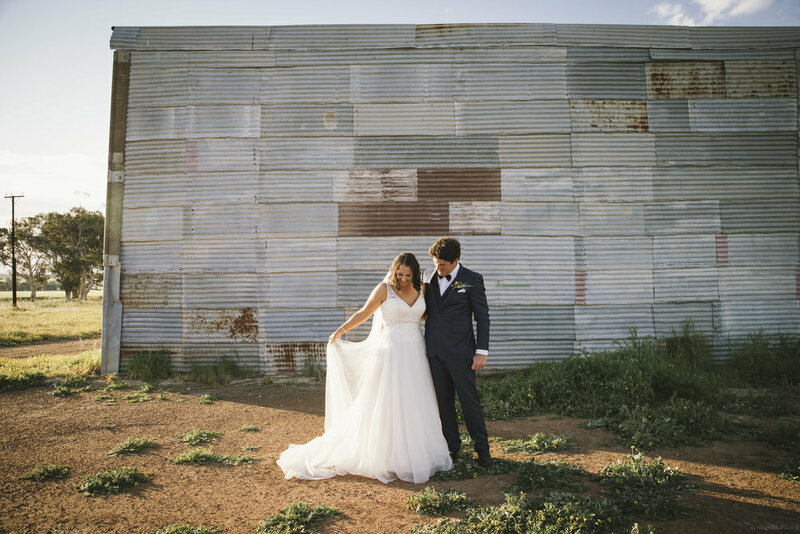 The Avon Valley and Wheatbelt offer a stunning backdrop to any style of wedding or event, and being local to these regions, we have an intimate knowledge of rural venues and suppliers, which means that together, we can help you plan a unique and exciting day that runs smoothly, is loaded with personality, and most importantly, reflects you and your event. 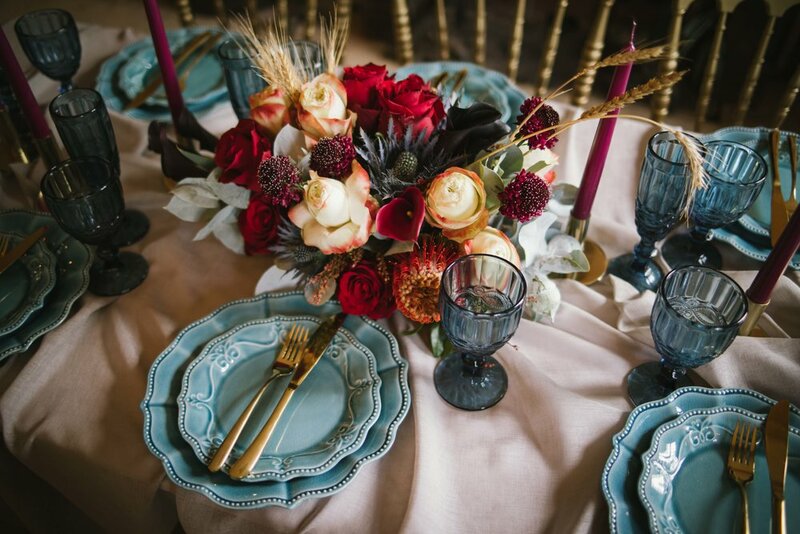 We are not a directory of suppliers as such, but rather, a bunch of creatives who love to work together, and who take our recommendations seriously, which is where our styled shoots come in. 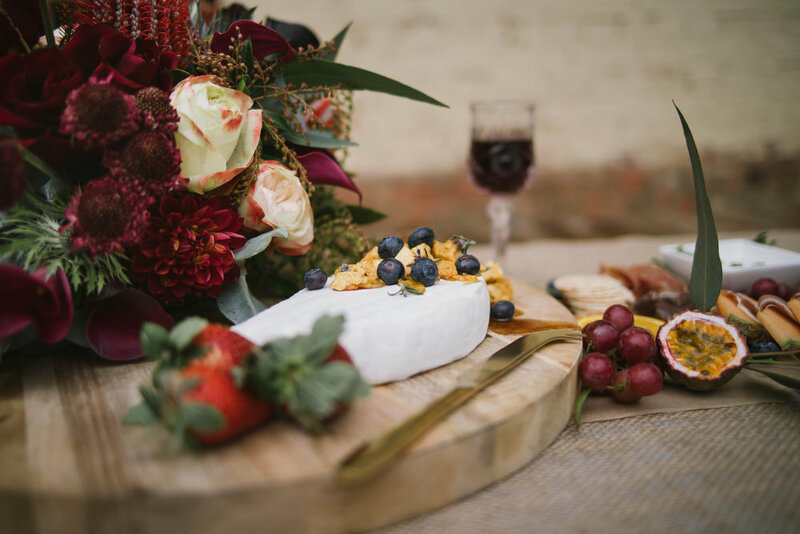 The aim of these shoots is to not only have fun creating something awesome, but to allow us the opportunity to work with local suppliers we may not have worked with before, and in turn, showcase both them, and what we can offer you in the country, should you choose to keep it local. 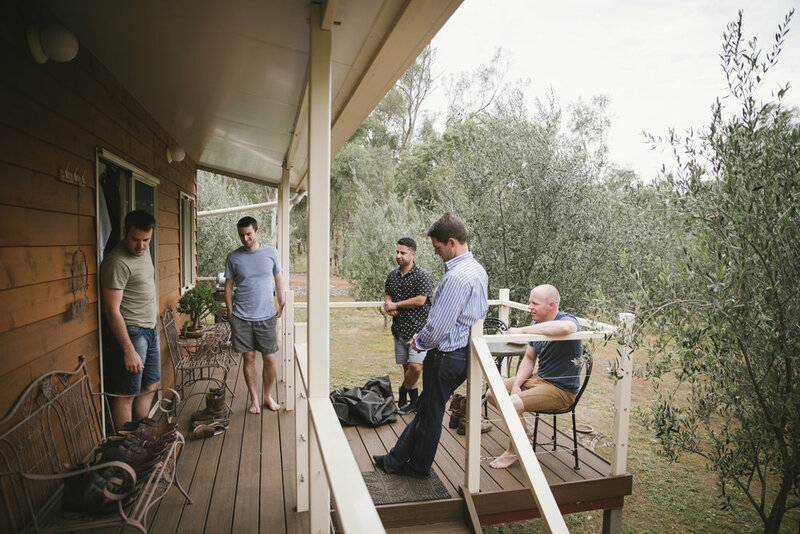 So in preparation for our summer shoot, we put our heads together to brainstorm something uniquely suited to our region, and invited an amazing bunch of both new and old businesses to contribute. 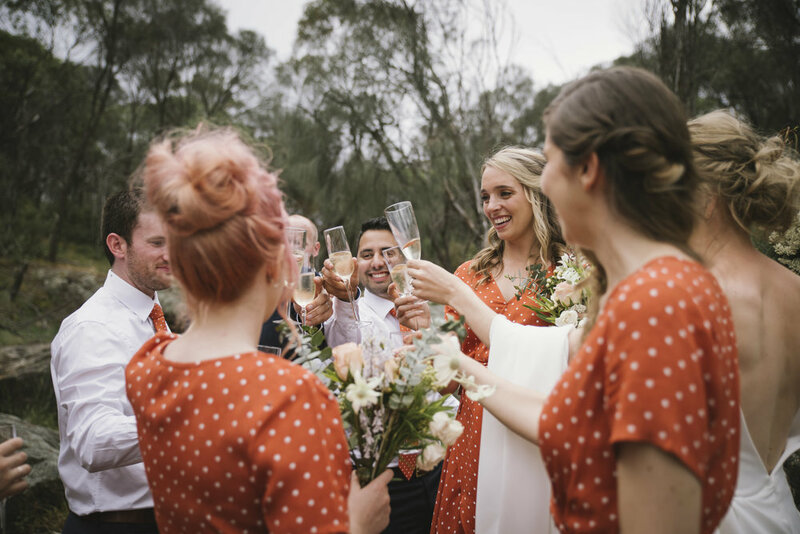 And not only did they all do an incredible job, but they were also totally lovely to work with, which means we'll definitely be recommending them in the future! 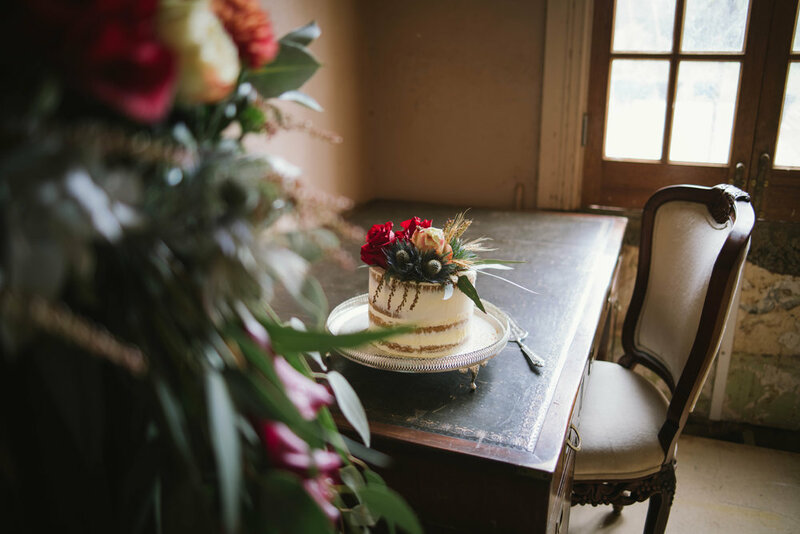 So a huge thanks to Nola at Faversham House for providing such a perfect backdrop (and a beautiful cool room to get ready in, on a very hot, sticky day!). 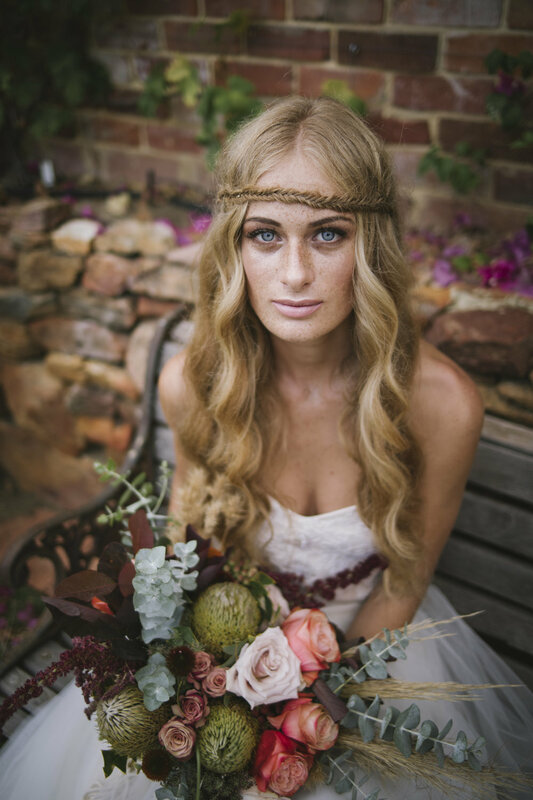 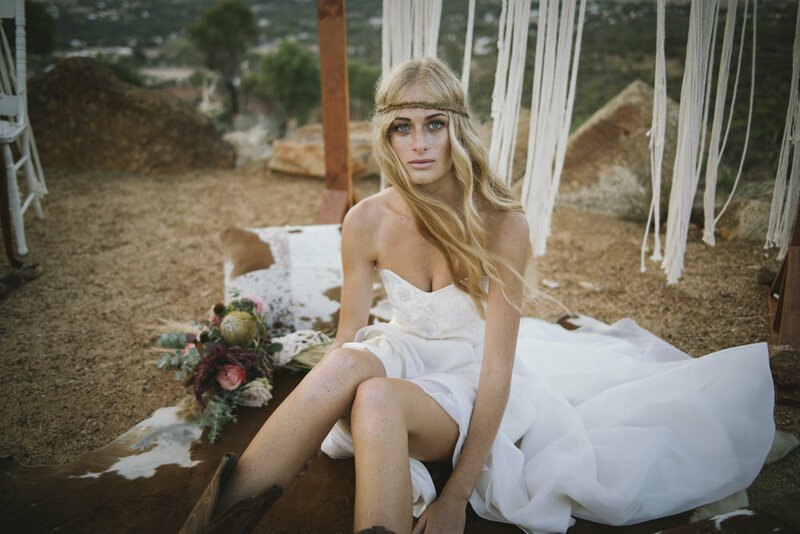 And to Jasmine Fowler for her incredible hair and makeup work with our fabulous model, Ash, to create a natural, summery boho look. 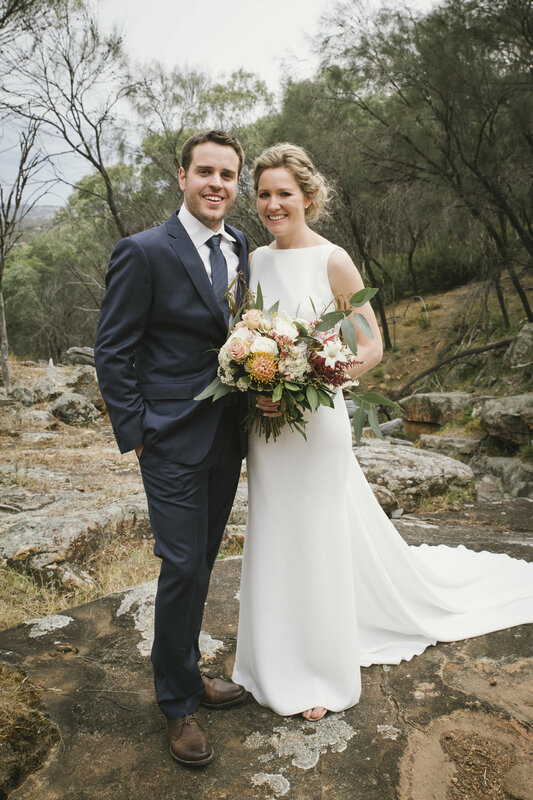 And to Kimberley from Blue Silk Design Studio for not only providing a stunning gown, but for tailoring it to Ash on the day. 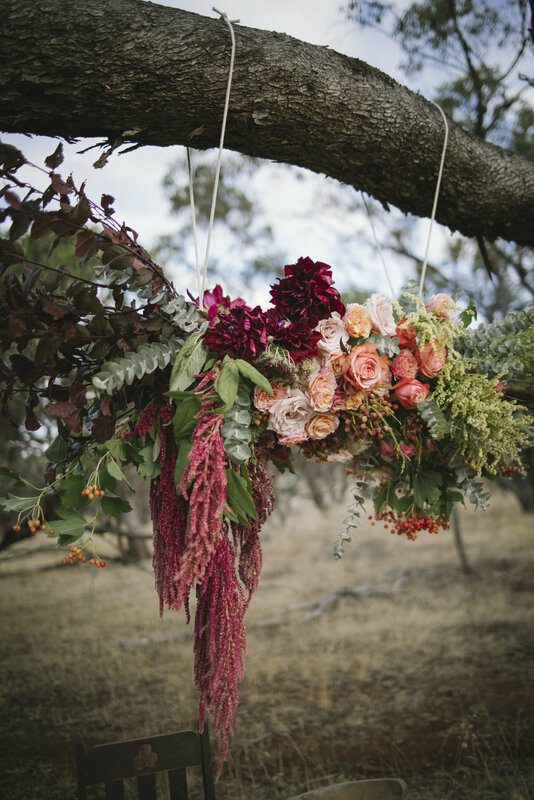 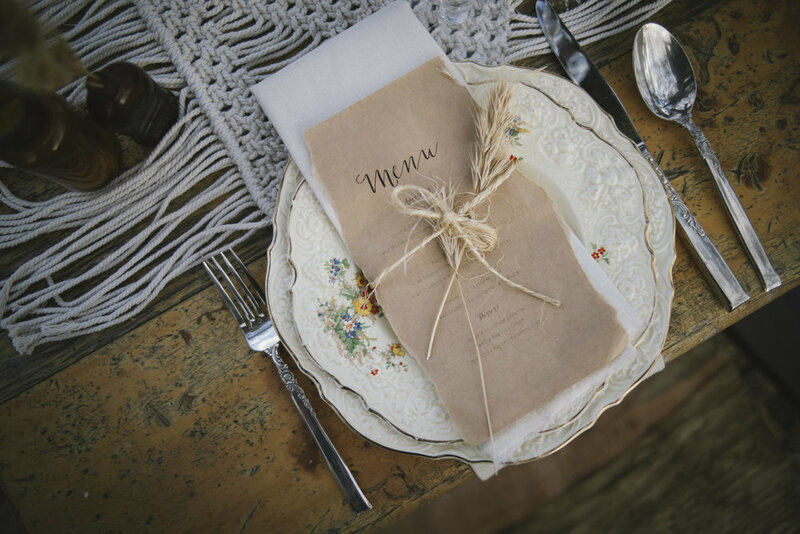 Also to Sue from Birdsnest Gallery of Old and New Things for all her gorgeous rustic knick knacks for our table styling, and to Angela from The Knotty Kiwi for her stunning macrame backdrop, flower wrap, table runner and chair pieces. 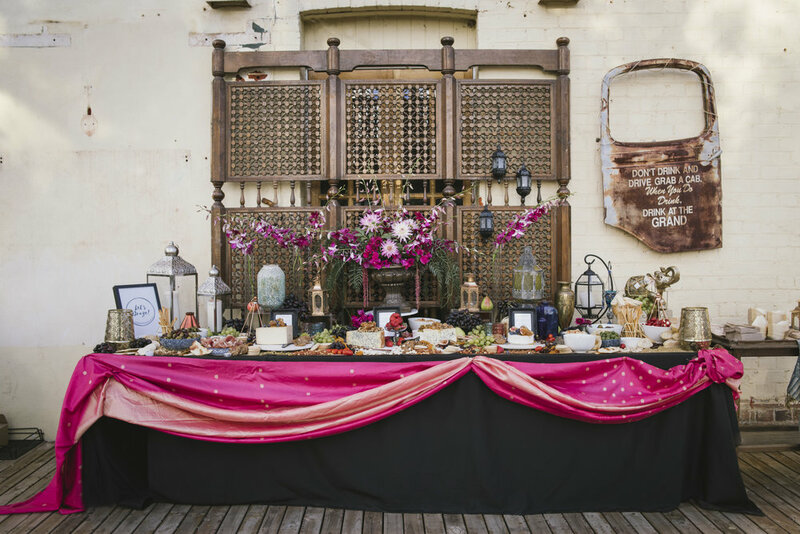 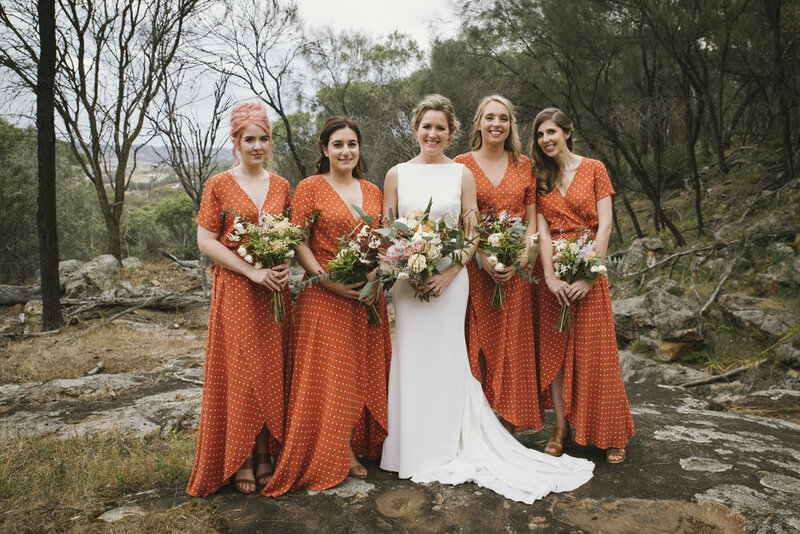 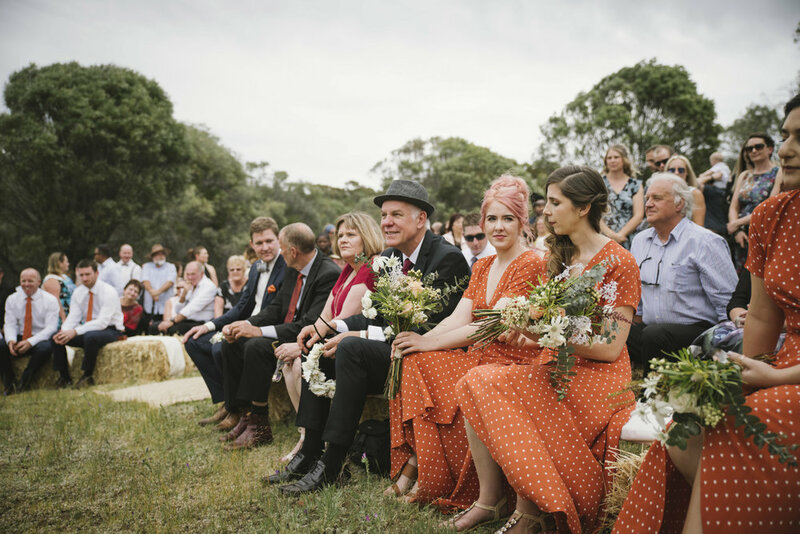 And of course, to Sarah and Holly of Confetti & Co for providing the brief for a rustic, summery, vintage boho look, full of natural tones and pops of pink, peach and copper, and for their fabulous table and arbour styling on the day. 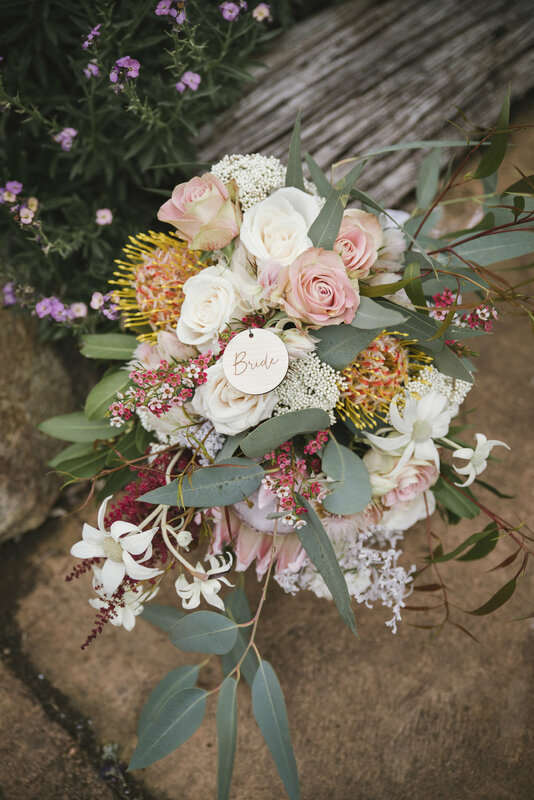 And to Sarah from Petallica Flower Co for all the beautiful blooms you see, and finally, to Lauren and Ben from Swift Hound Films for their incredible film footage, which I really can't begin to describe, so seriously, just watch it, people! 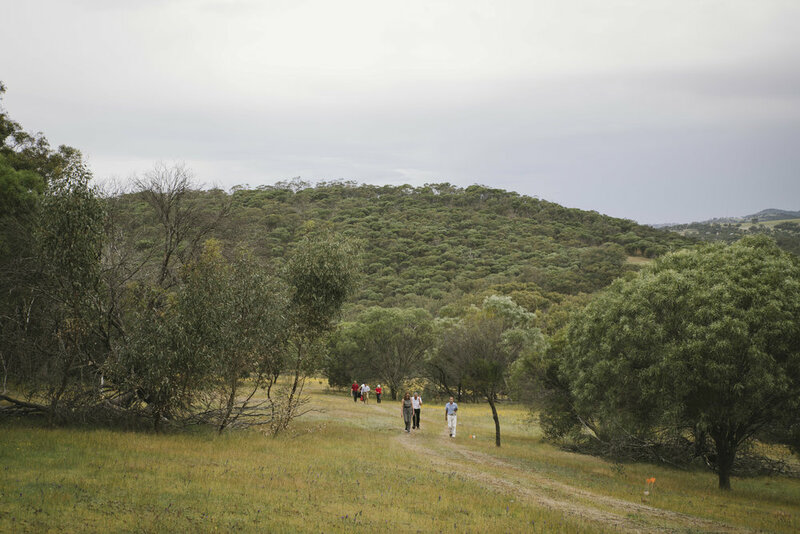 And following is the result. 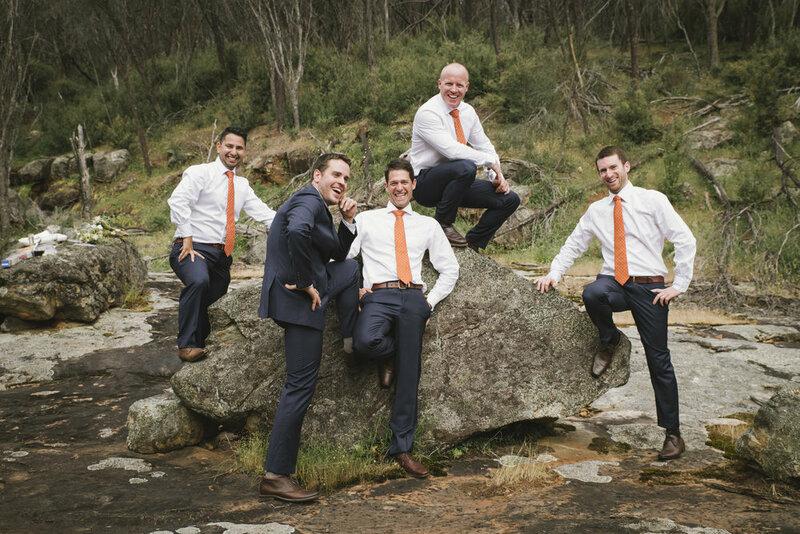 Which I have no words for. 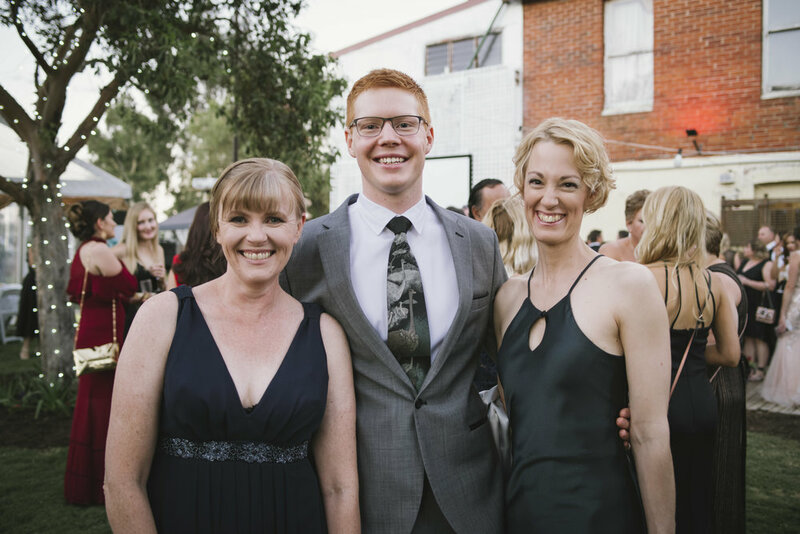 Except to say that I feel immensely proud (and lucky) to be surrounded by so many wonderful personalities, and such talent, right here where I live. 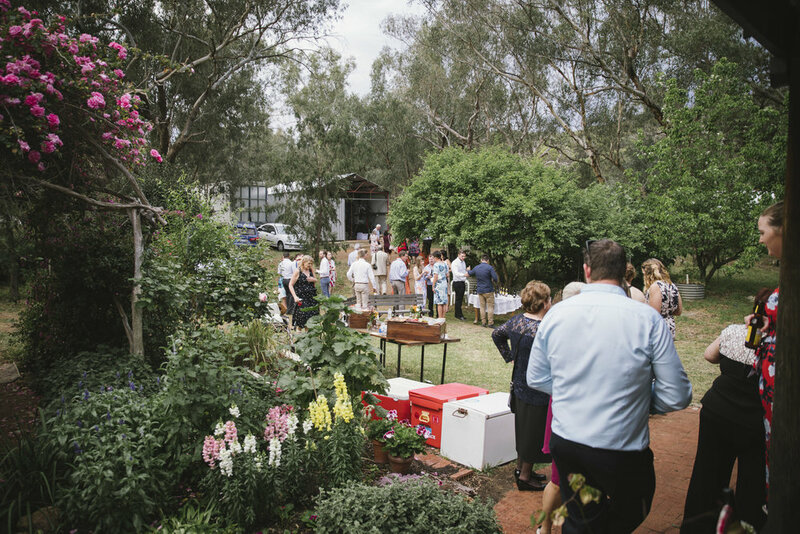 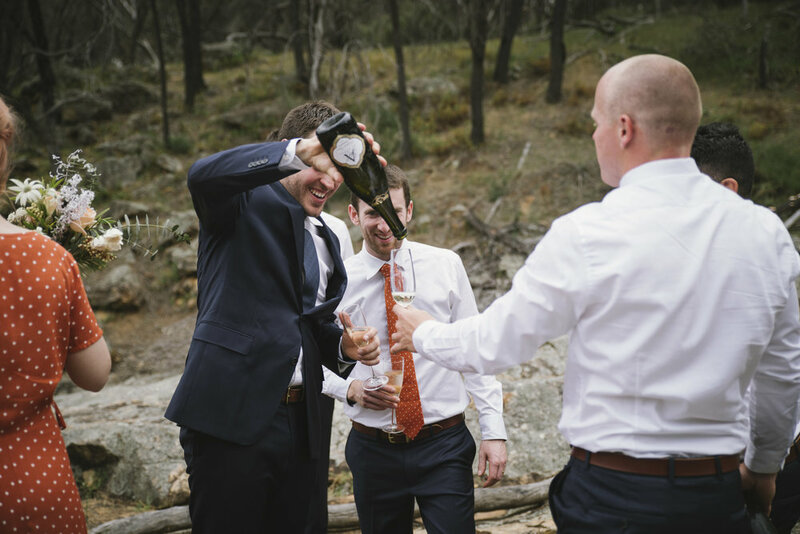 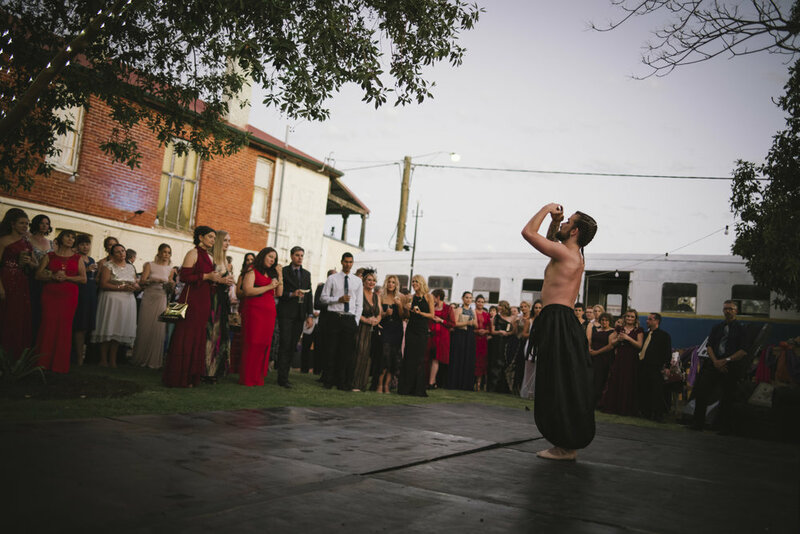 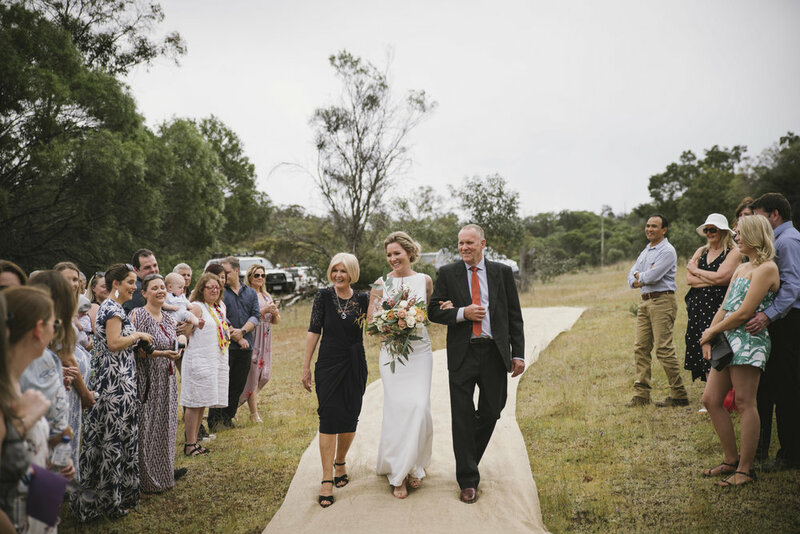 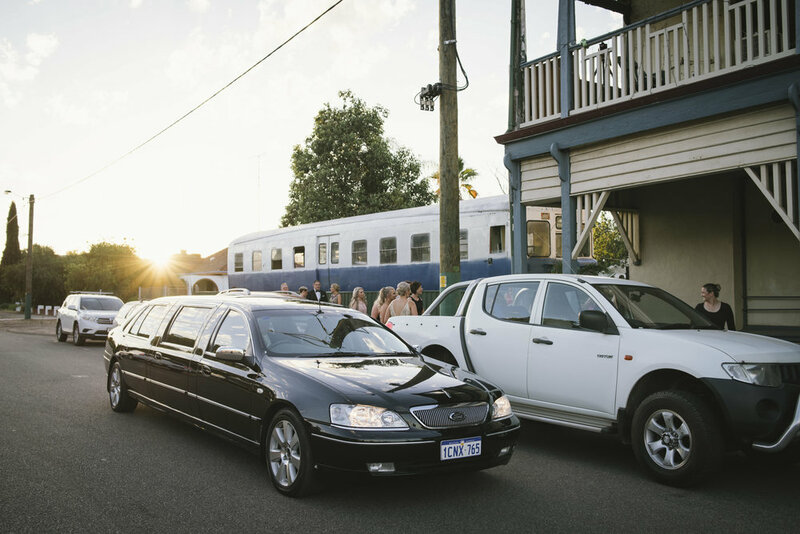 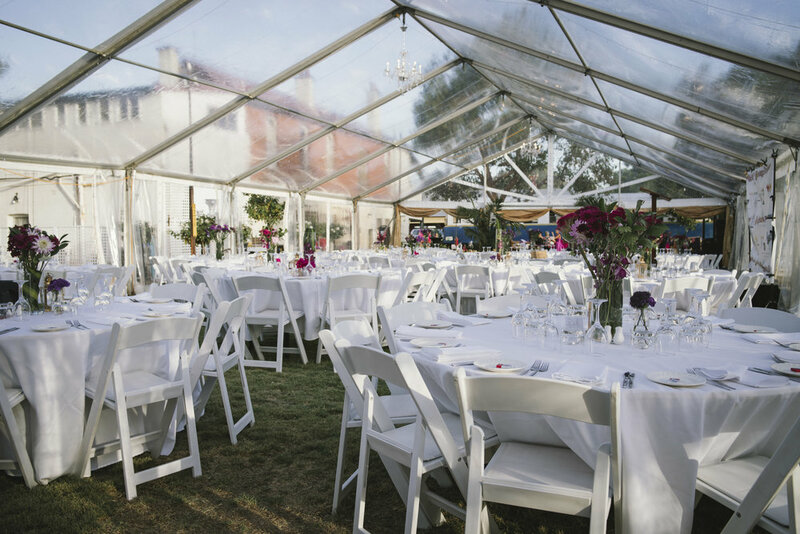 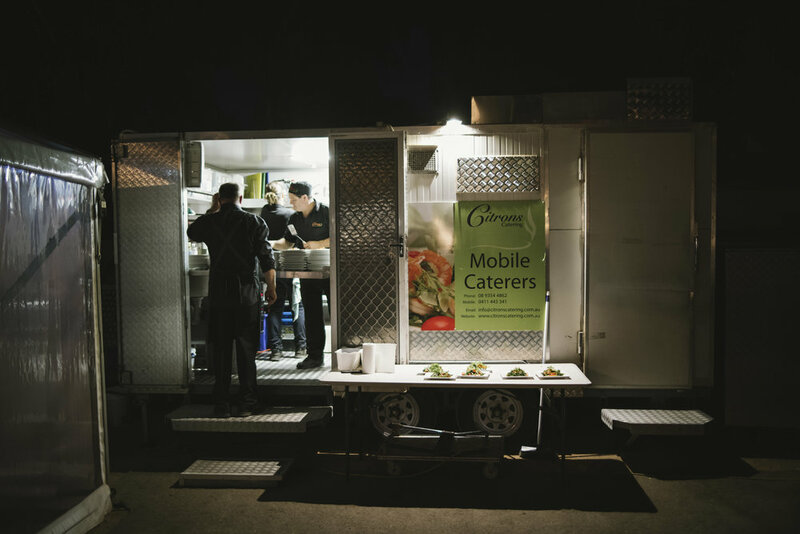 This is what we are capable of out here, and I think you'll agree, there's really no need to go to Perth, or to source your suppliers from the city, when planning a wedding or event in the Avon Valley or Wheatbelt! 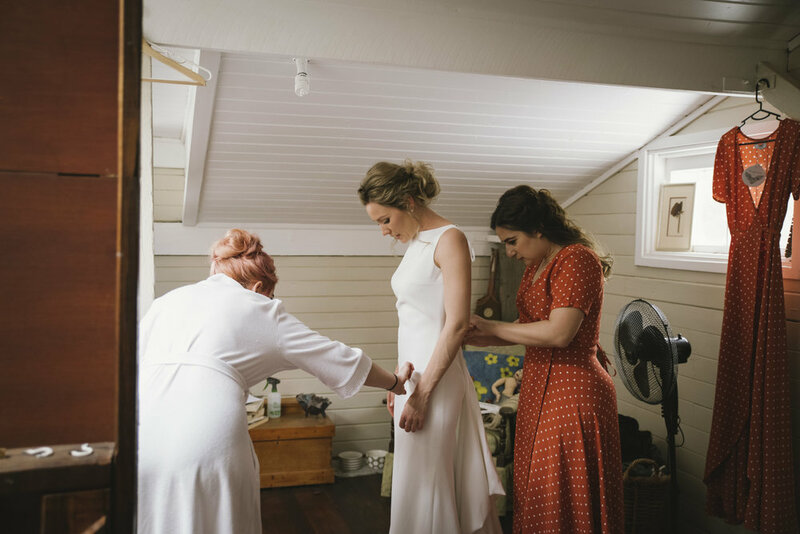 Despite the rise of social media, and the abundance of wedding photographers that can now be found online, personal referrals are still (and always will be) the best way to find a photographer who will produce amazing images, and gel with you on the day. 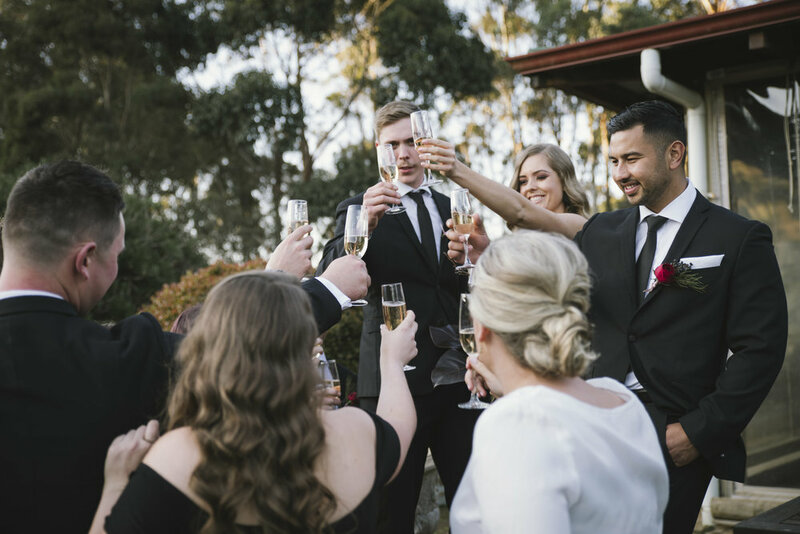 If your friends were happy with them, there's a good chance you will be too. 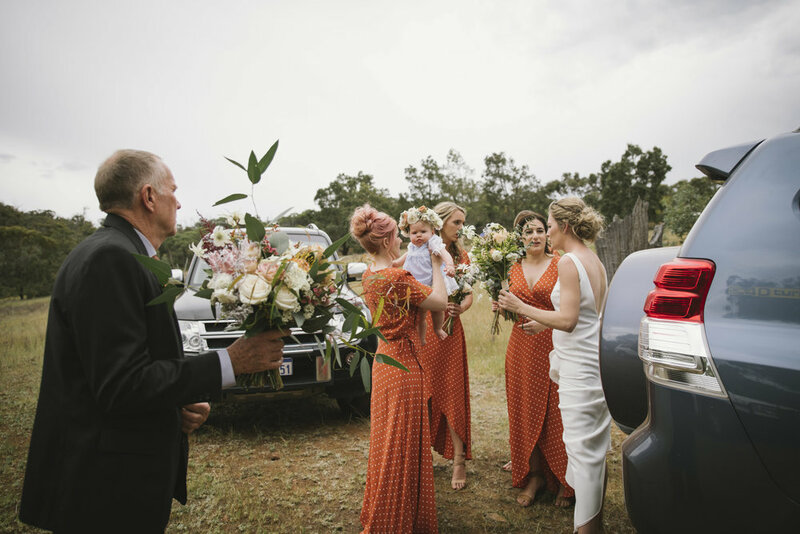 Plus you can ask them lots of questions that you might not feel like asking the photographer directly, like whether they were cool and easy going, or loud and overbearing on the day! 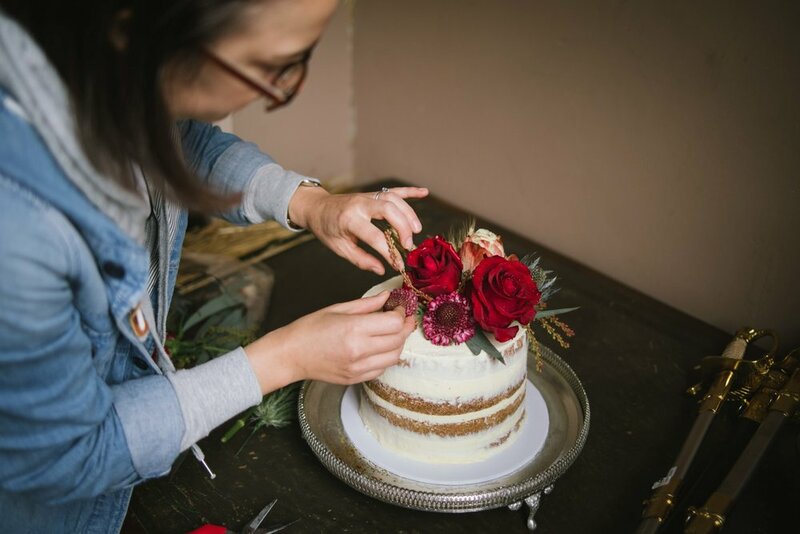 And if you've found someone whose work you love, but you don't know anyone who has used them previously, try asking around in Facebook group forums, or searching for testimonials online - you'll soon find out what they are like to work with! 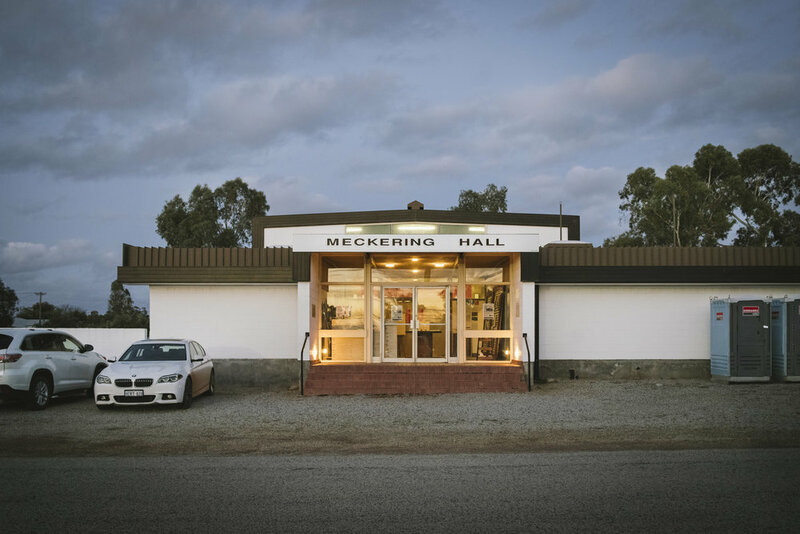 This doesn't necessarily mean meeting in person - I get it, we're all time poor! 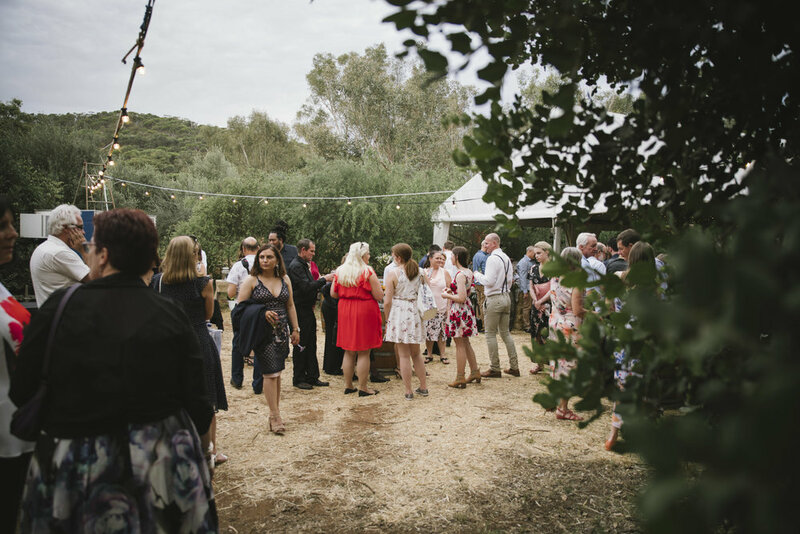 But there are a number of ways you can get to know the photographer you are considering booking, before you part with that hard earned cash. 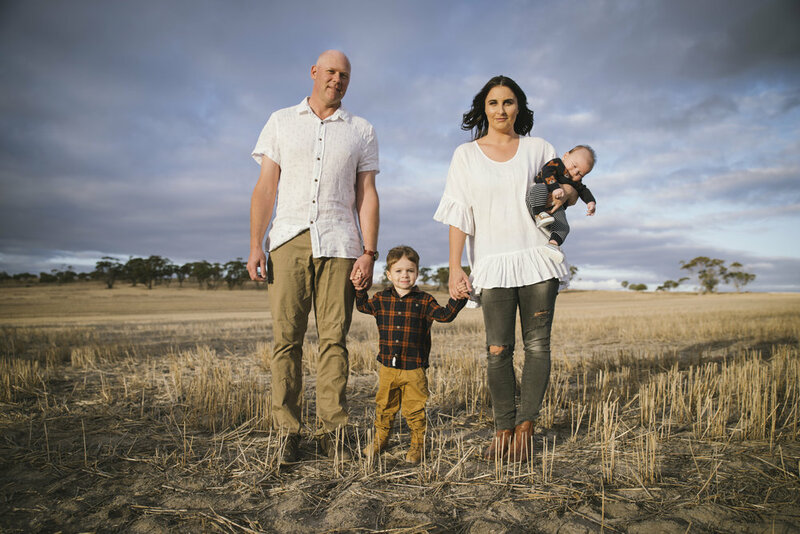 Follow their work on social media. 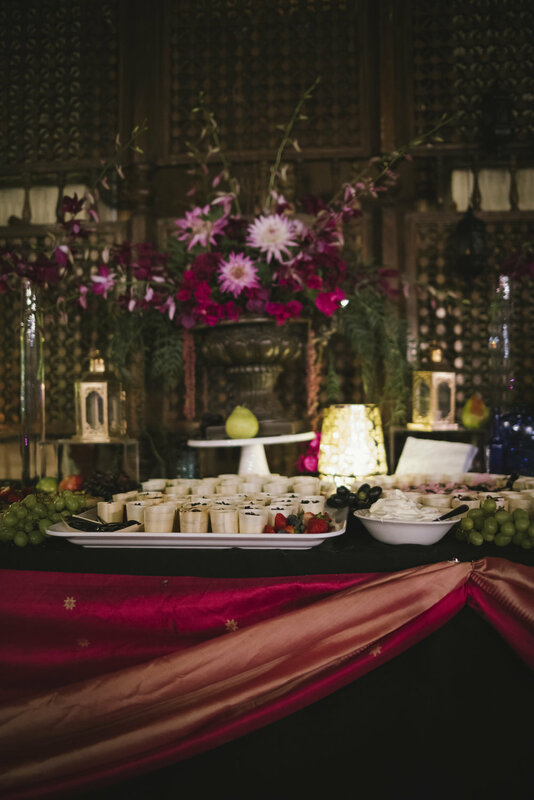 Read the comments and any reviews and testimonials. 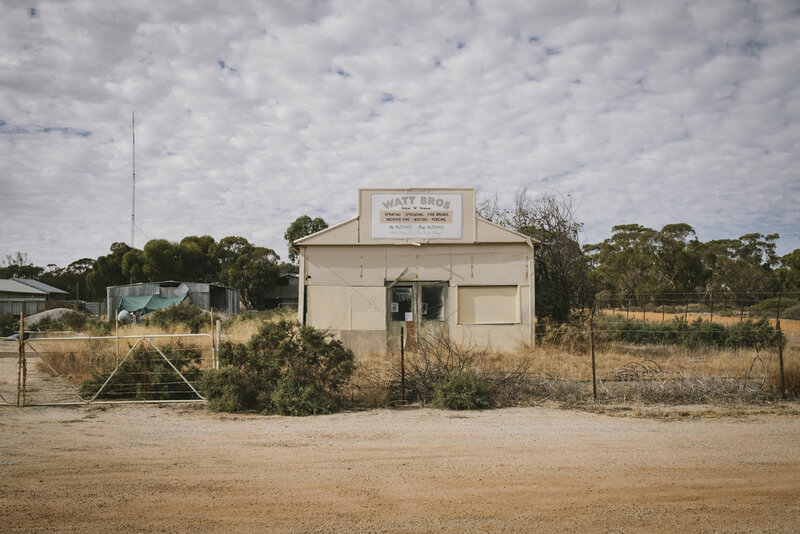 Give them a call, or Skype them for a chat. 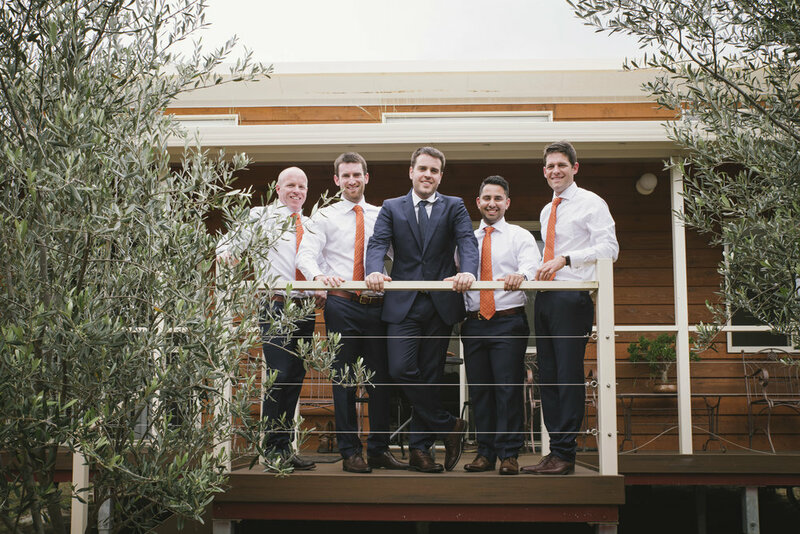 Or send them an email - all will give you an idea of what they are like both personally and professionally. 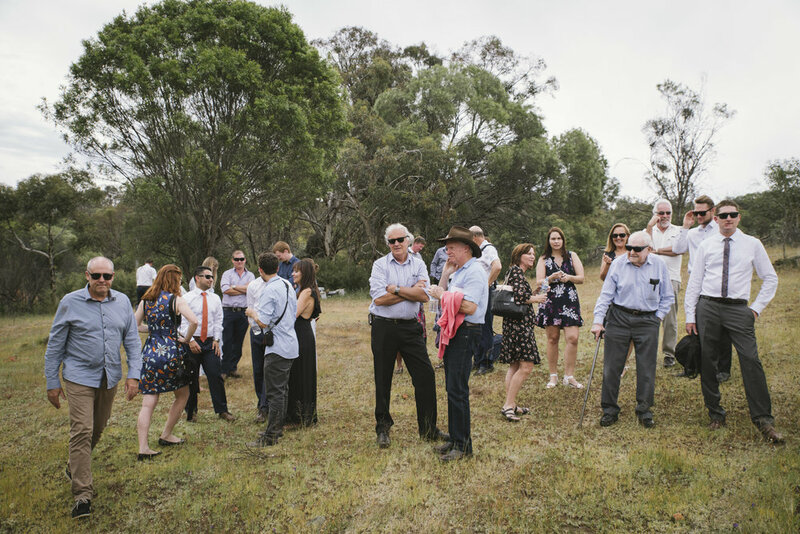 And then if it's possible, arrange to meet up for a coffee and chat in person. 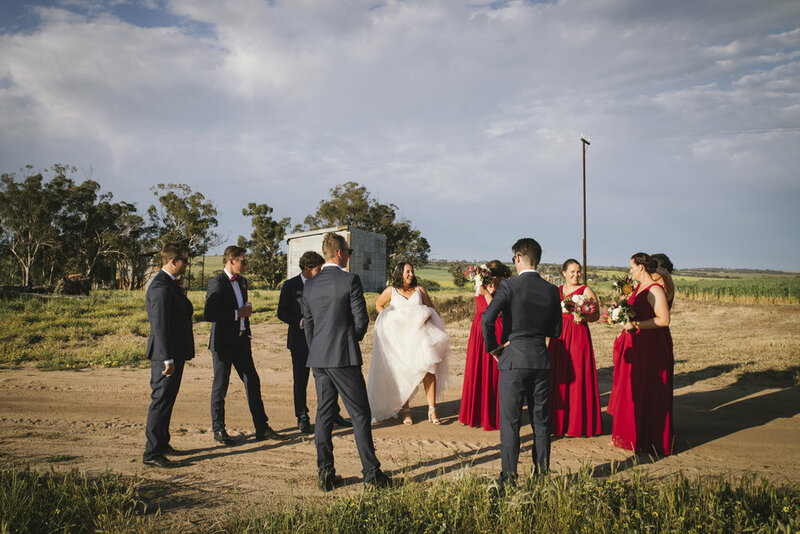 Most photographers will have a portfolio full of gorgeous images on their website, as well as individual client galleries, which show a larger number of images from recent weddings. 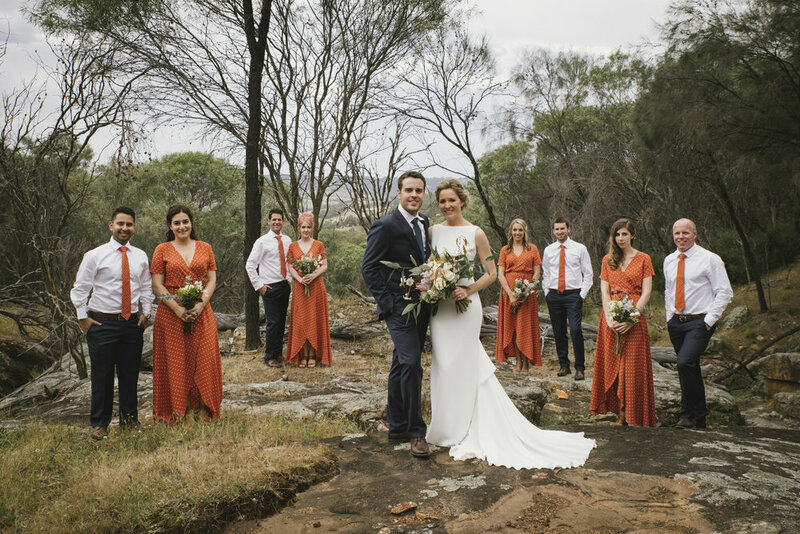 Have a good look through their work, and ask yourself if the images look consistent (in both shooting and editing style), if they appear sharp and correctly exposed, and if the colour and overall toning appeals to you. 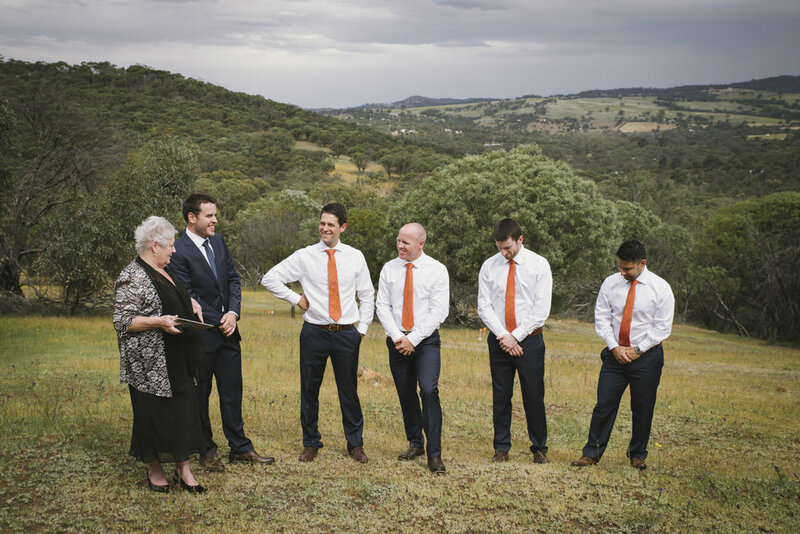 Then when you contact them, ask to see a couple of full wedding galleries, showing all images which were delivered to the client. 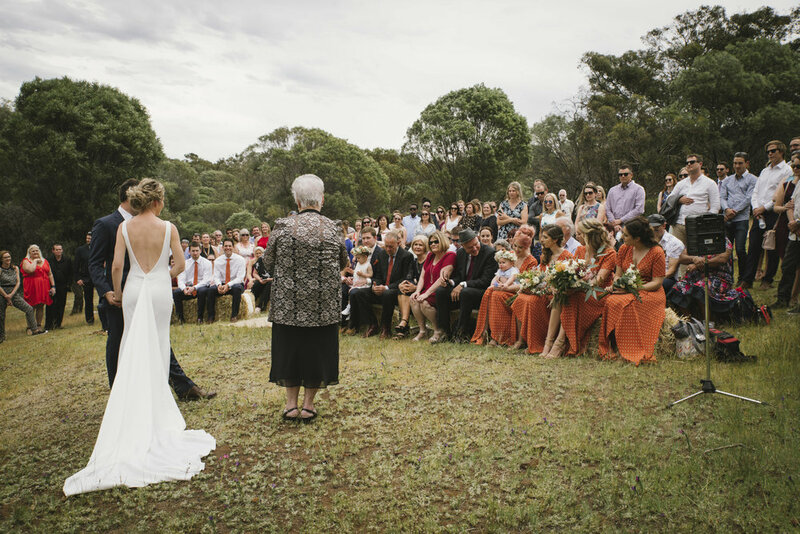 This is the best way to see how they shoot a wedding from start to finish, and to get a feel for the storytelling aspect of their wedding photography. 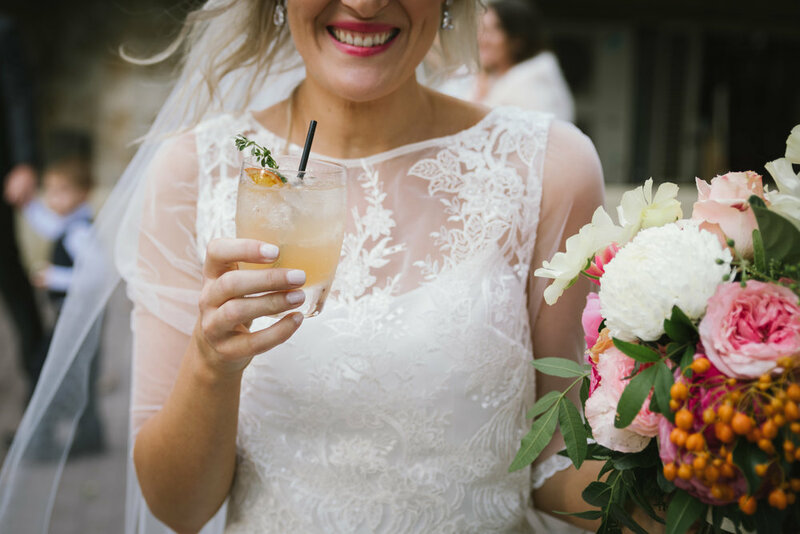 It's also a good way to get a feel for what 'x' number of images delivered looks like - you'll soon realise that 300 beautifully edited images covering all aspects of the day, is way better than 1000 poorly edited images with parts missing! 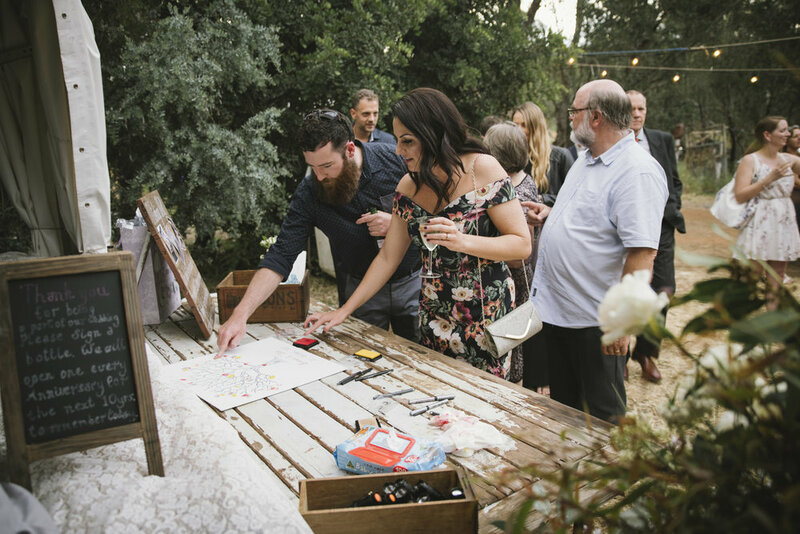 Viewing their images online will often be enough to help you decide whether or not they are for you, but if you do meet in person, ask them to bring some example albums and/or prints along, so you can see what their work looks like in print. 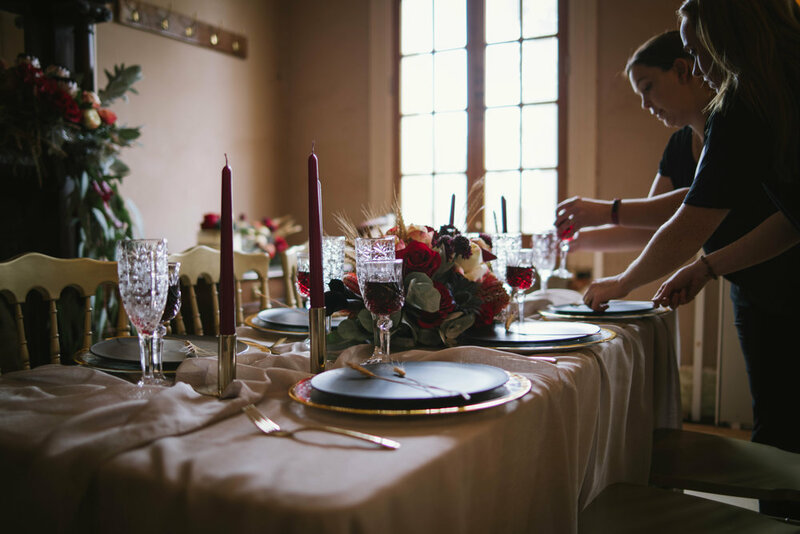 A glance at the portfolio on their website should give you an idea of whether or not they've shot many weddings, but if it doesn't, ask them. 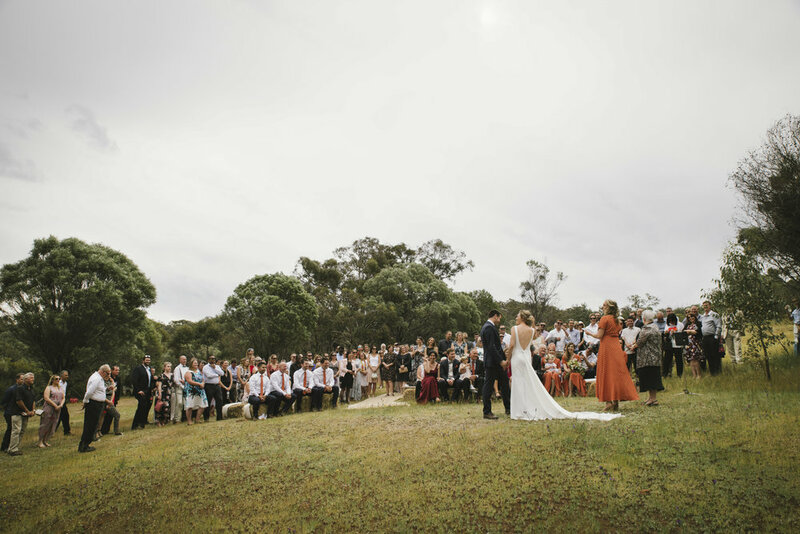 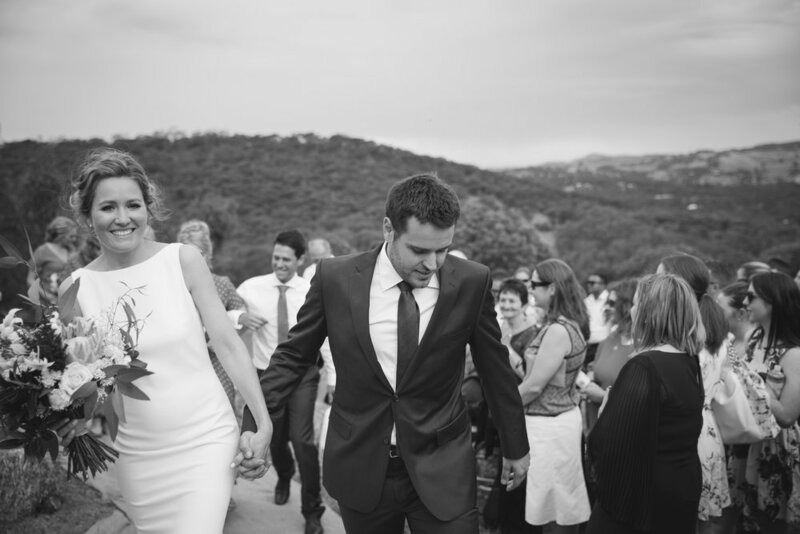 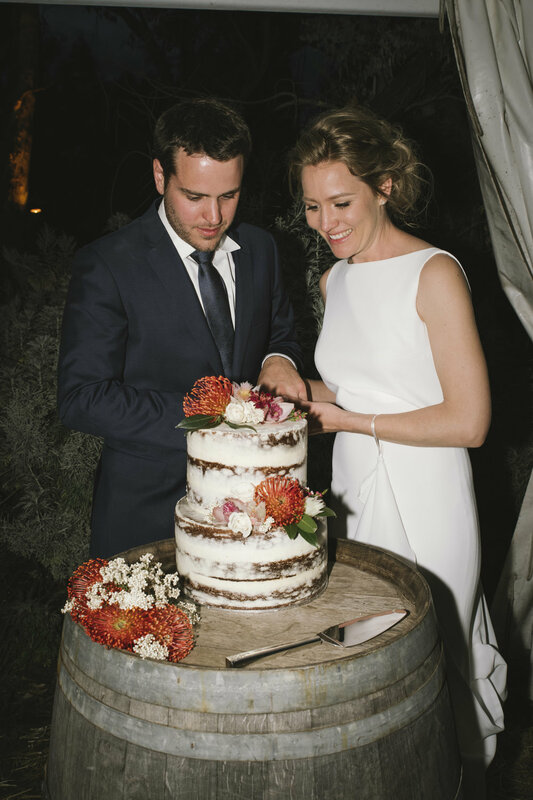 Weddings are fast paced, and often throw curveballs, like rain (and sometimes lots of it!). 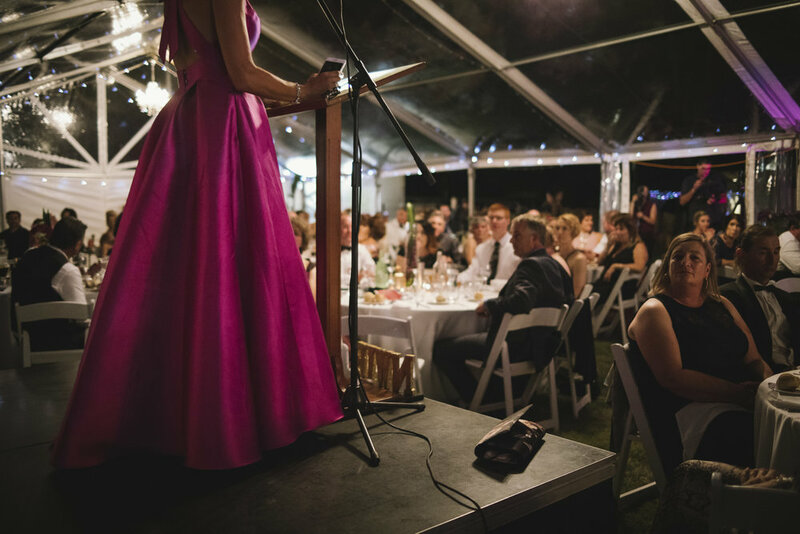 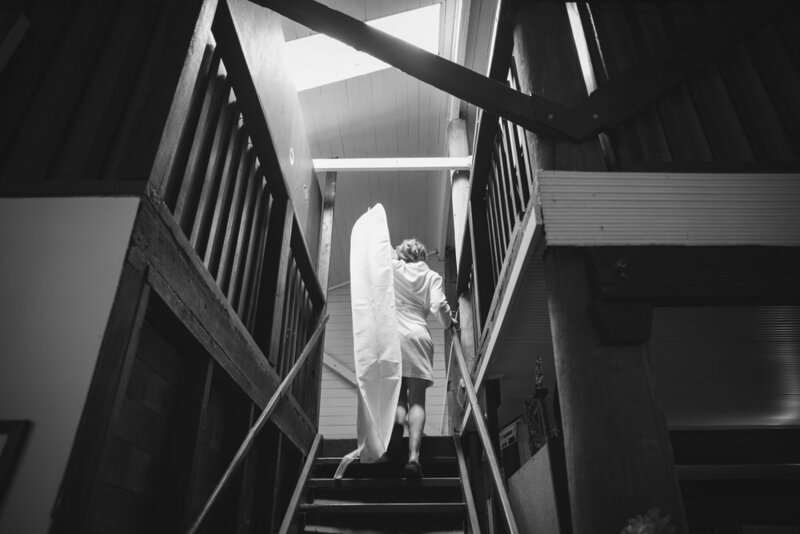 Wedding photographers need to know their gear, and they need to be able to work quickly and effectively in stressful situations. 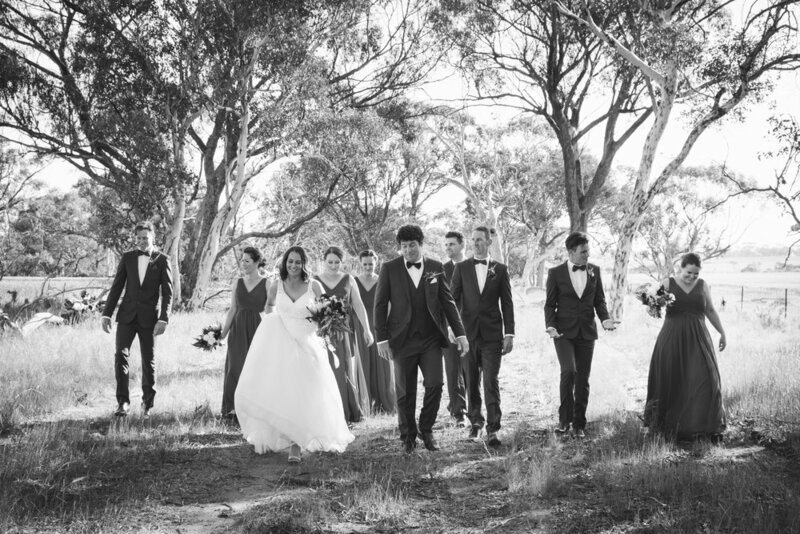 They also need to know how to direct and pose non-models like yourselves, so ask them how long they have been shooting weddings for, and roughly how many they've done. 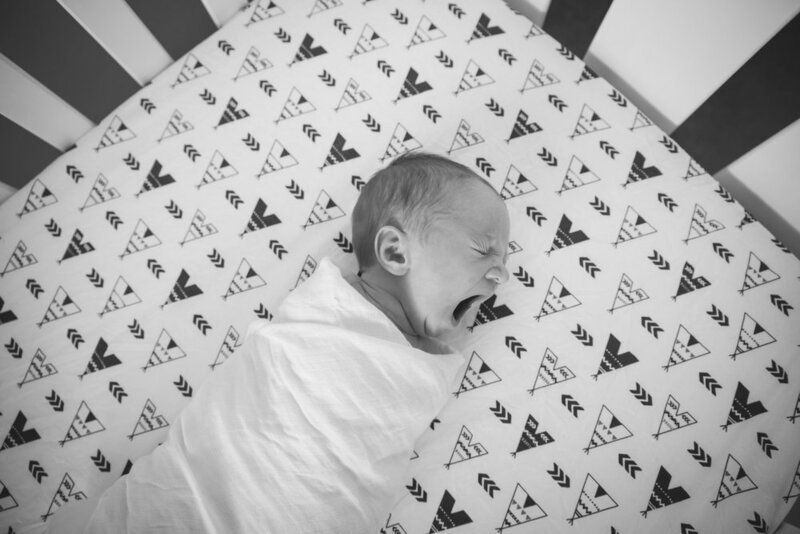 This is a great way to start an argument amongst photographers, who generally fall into one of two camps - either Canon vs Nikon, mirrorless vs DSLR, full frame vs cropped sensor, or whatever. 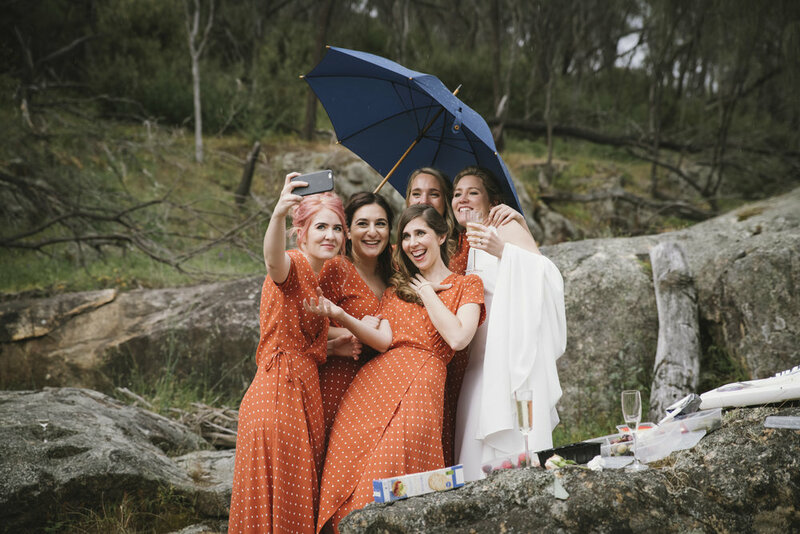 I firmly believe that it is the photographer who creates the image, not the camera, so I don't really think this is a big one for you to worry about. 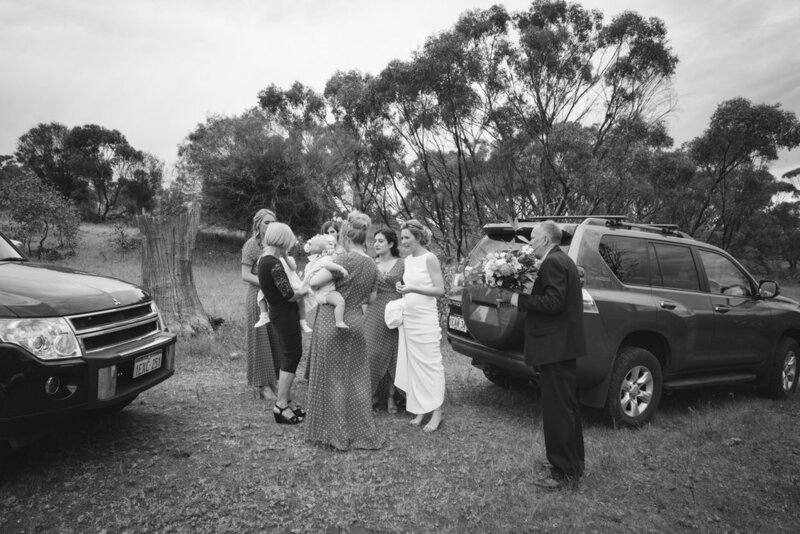 Whatever their choice of equipment, they are producing the beautiful images you have just seen on their website. 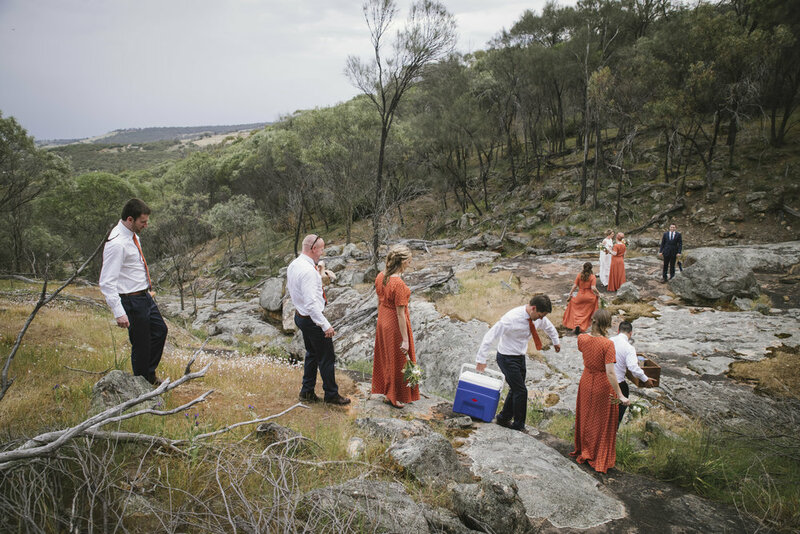 But what is important, is that they bring a backup of every piece of equipment they'll be using to capture your gorgeous wedding images, on the day. 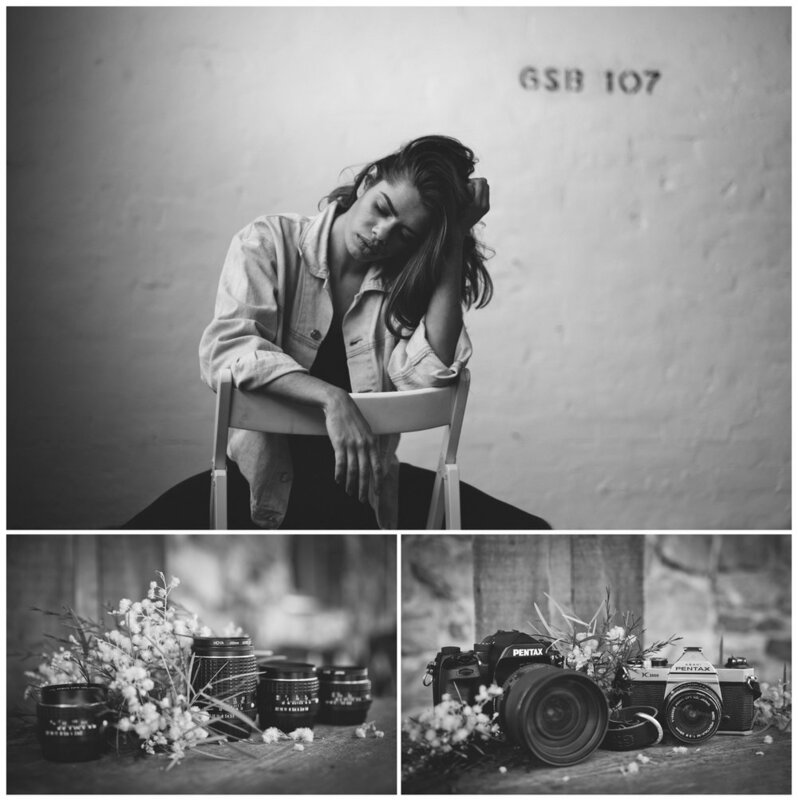 This means at least two camera bodies (I prefer three), two flashes, or lighting systems if they use lights, multiple lenses, batteries and memory cards. 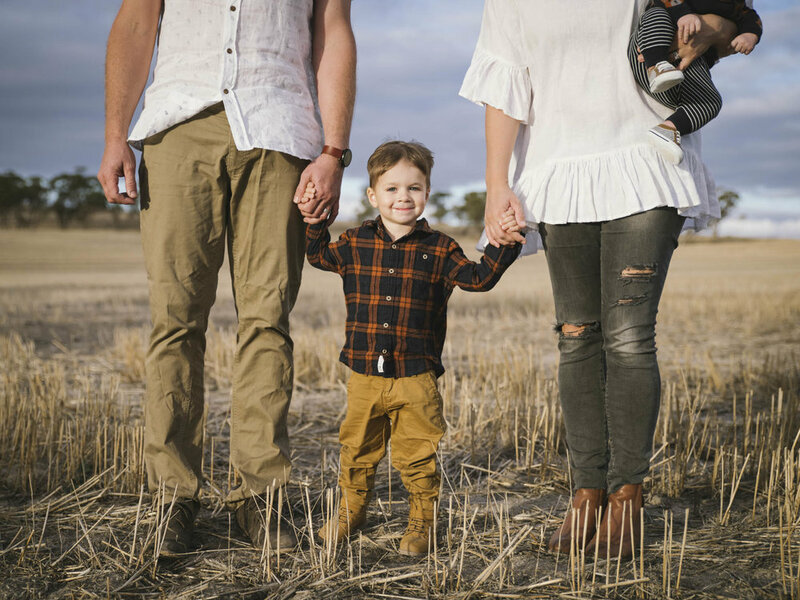 And their camera bodies should most definately have dual card slots. 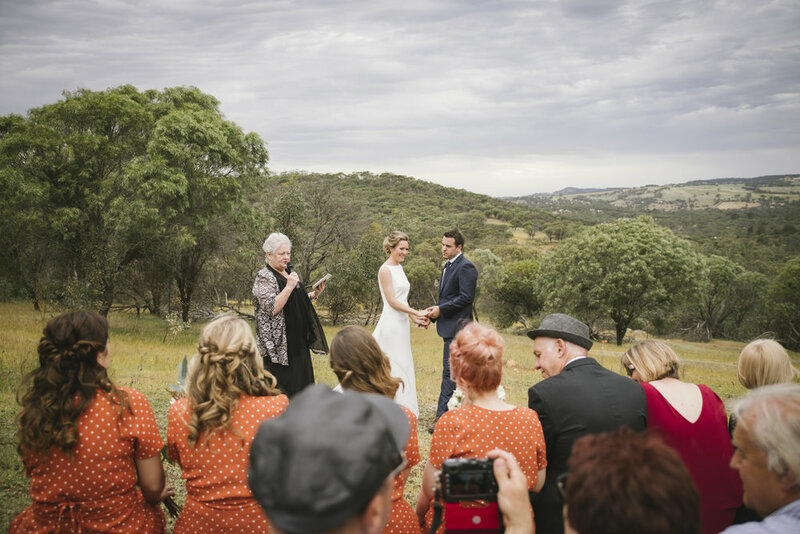 This allows your photographer to write to one card, and backup to the other, so if a card fails, your images will be safely stored on the other card. 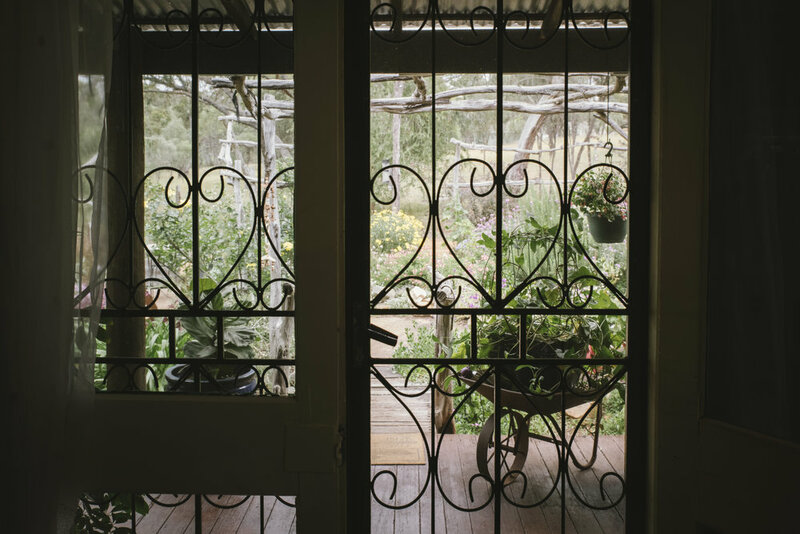 It also allows them to keep one card in the camera, and one elsewhere once they have finished the job, which reduces the risk of loss through theft or fire. 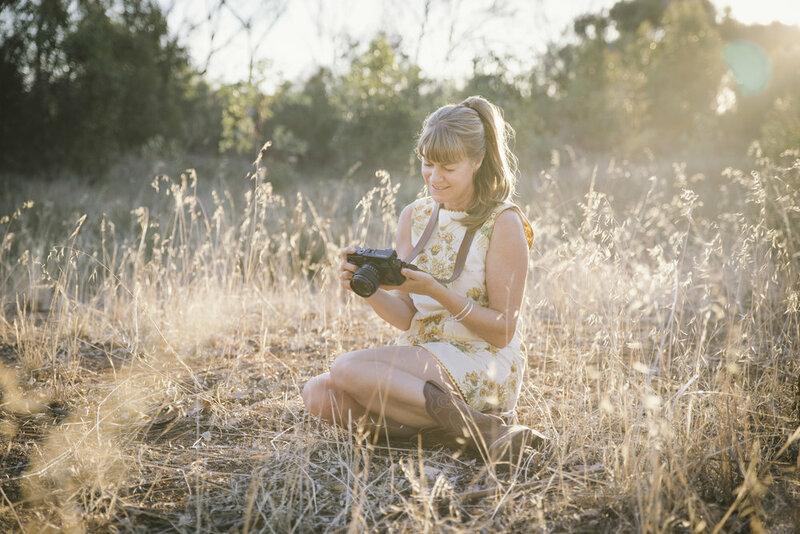 Which means your images will always be safe - phew! 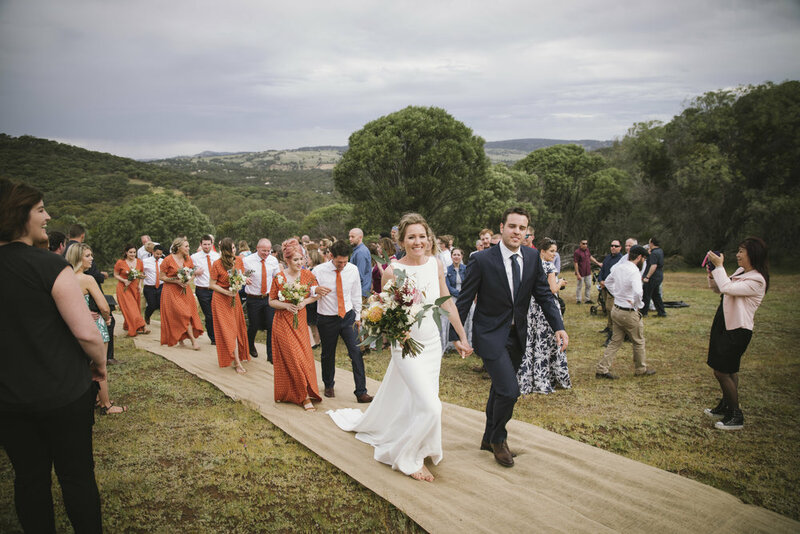 So there you go, my five tips to get you started on the hunt for the perfect wedding photographer. 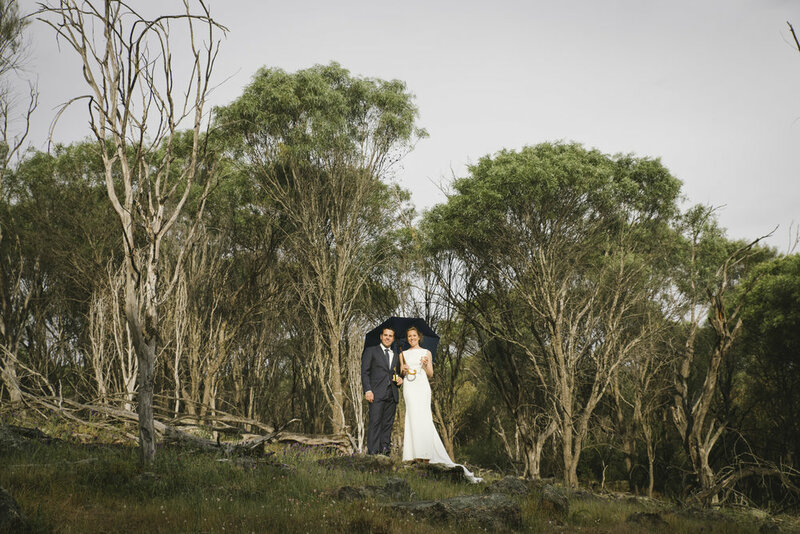 Have a totally awesome day, and enjoy those photos, both on the day and in years to come! 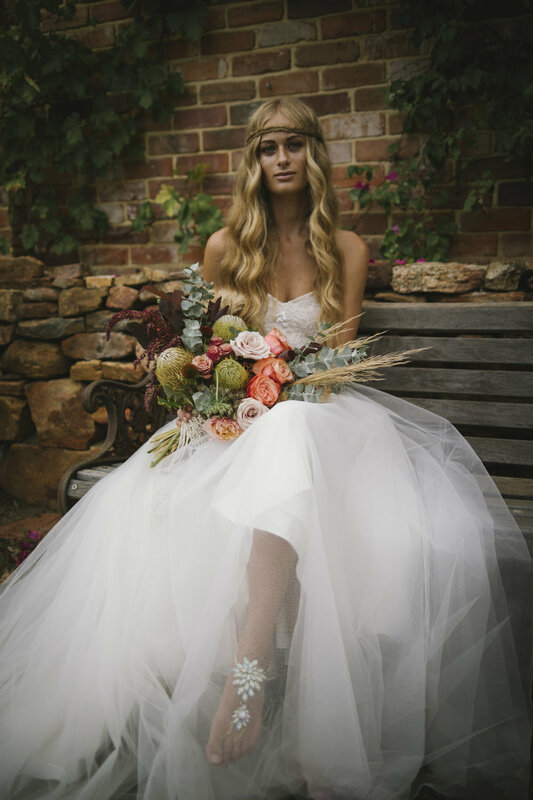 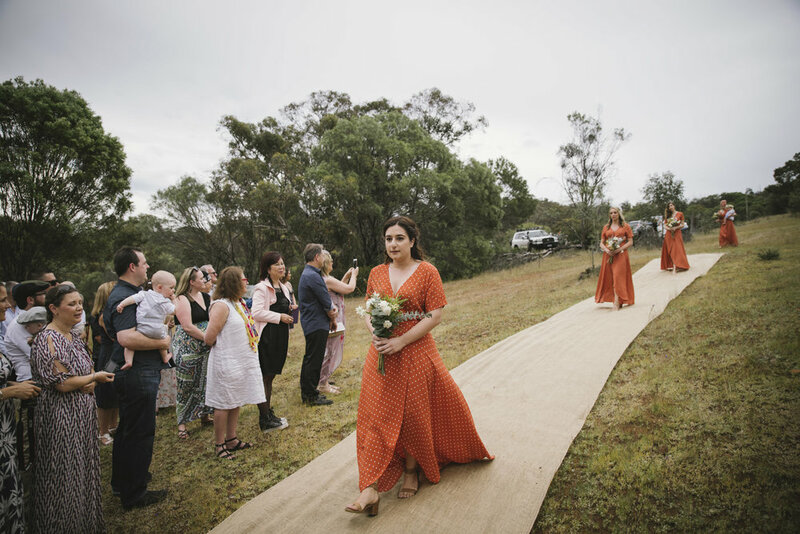 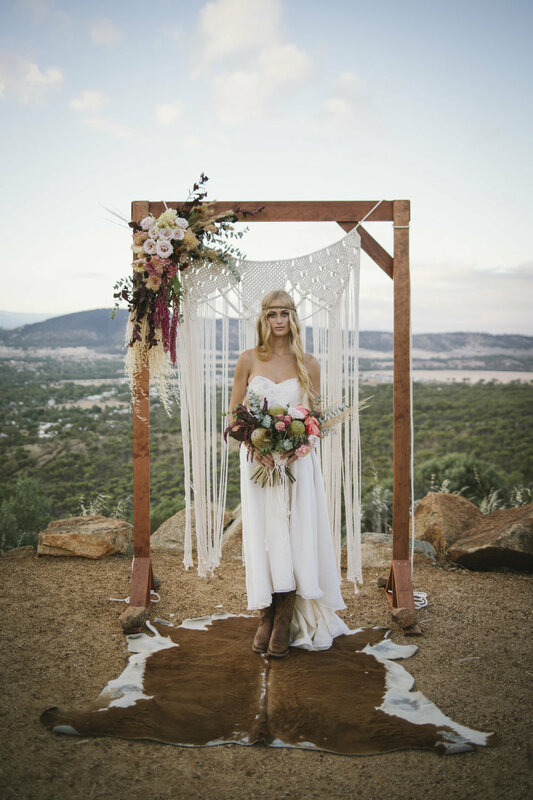 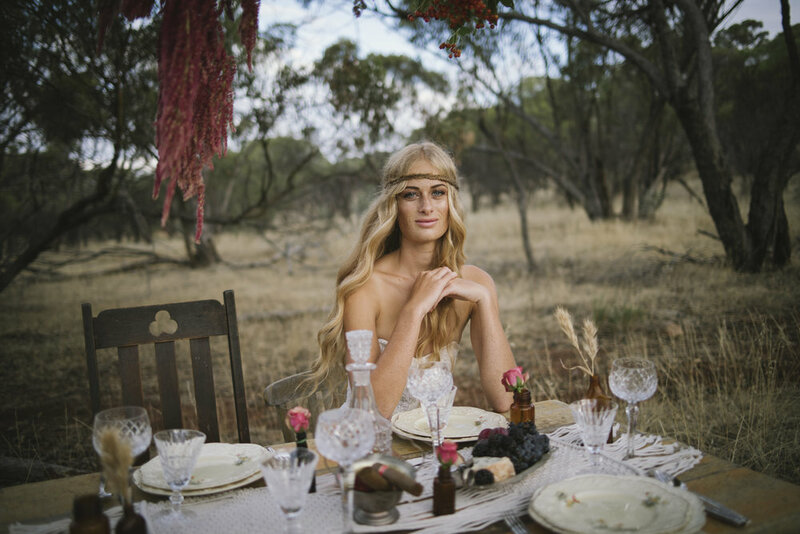 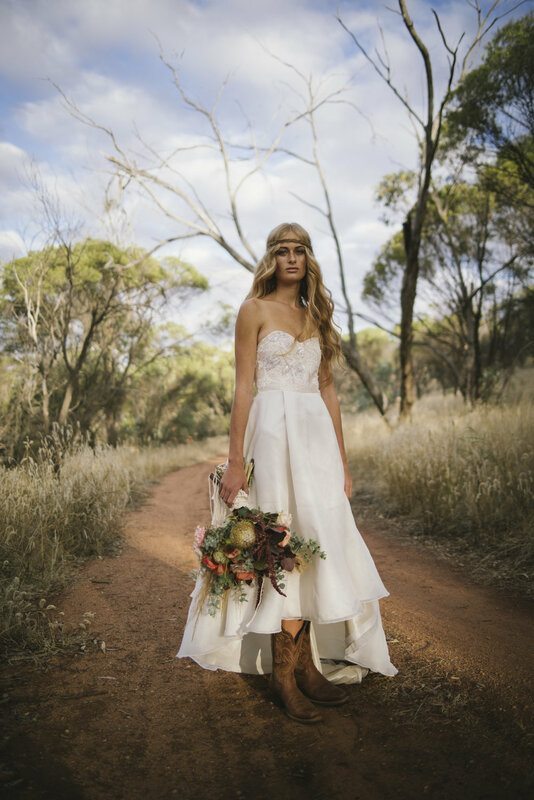 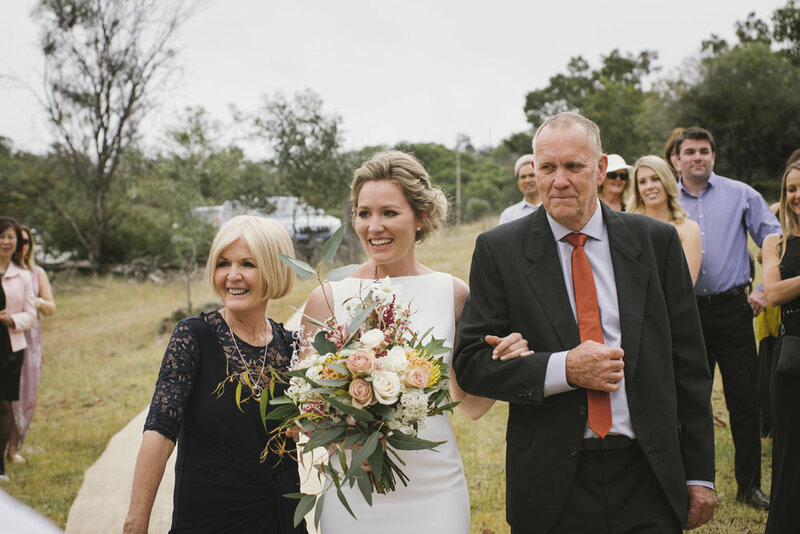 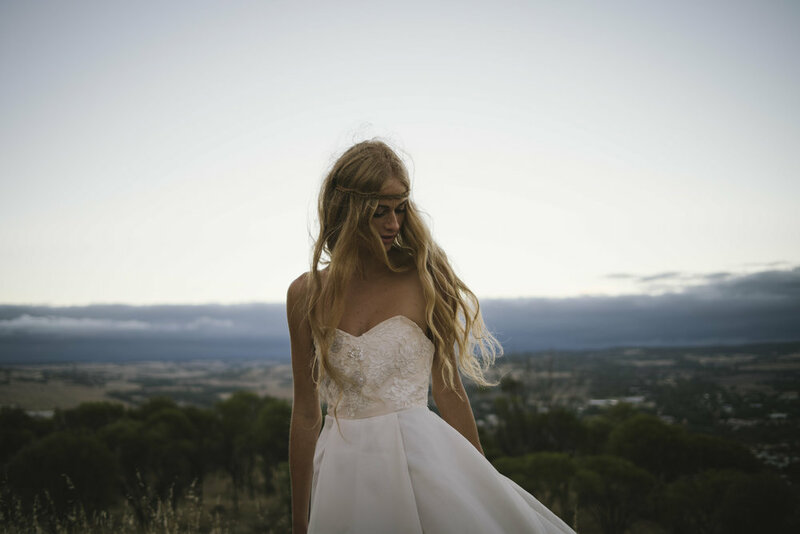 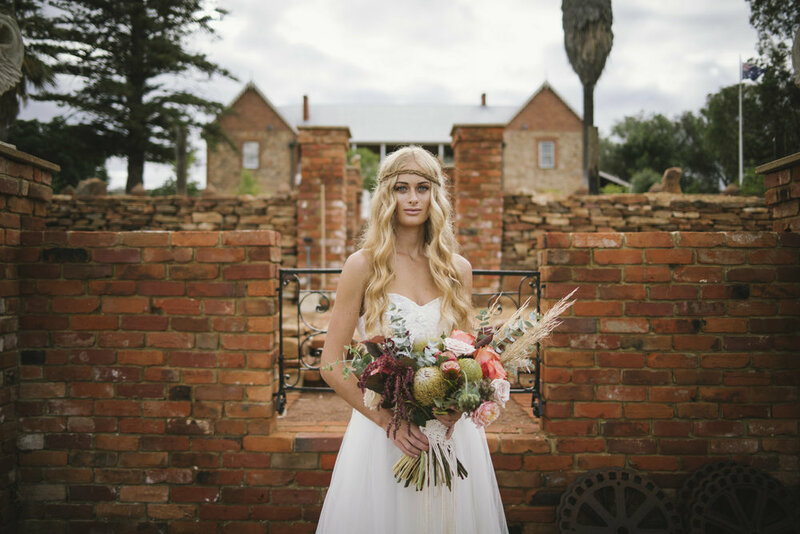 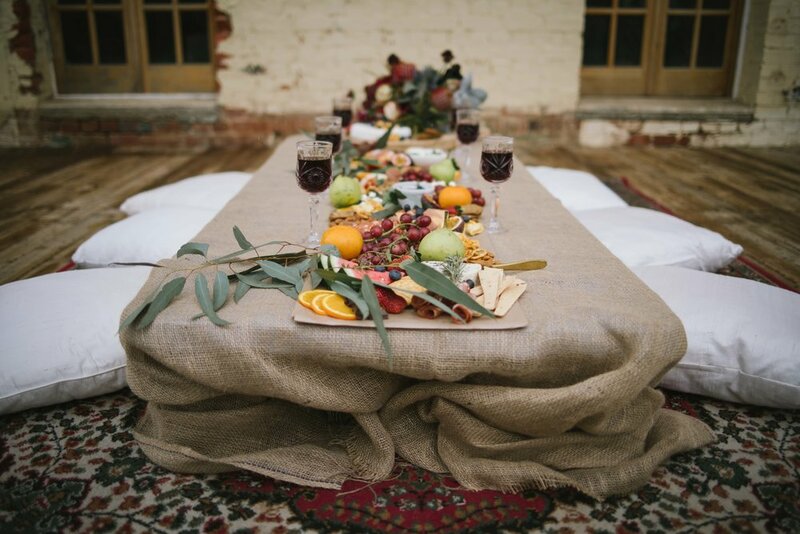 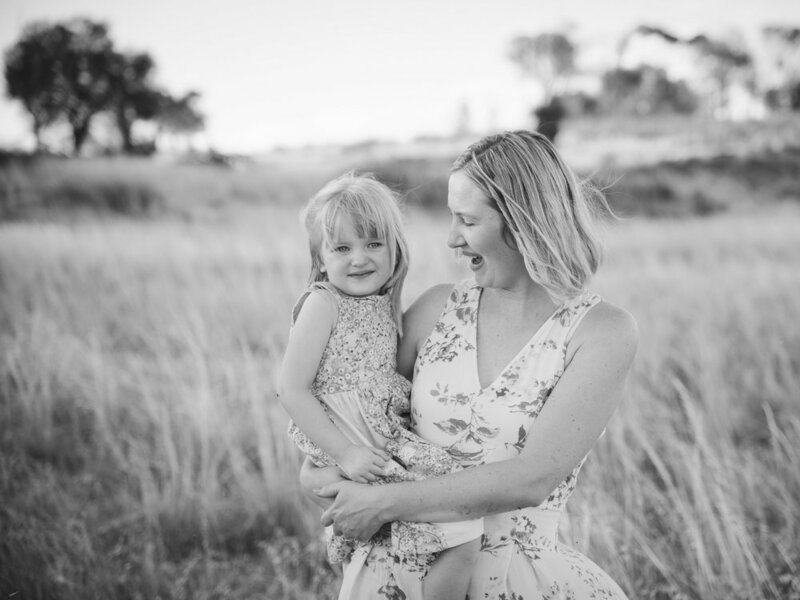 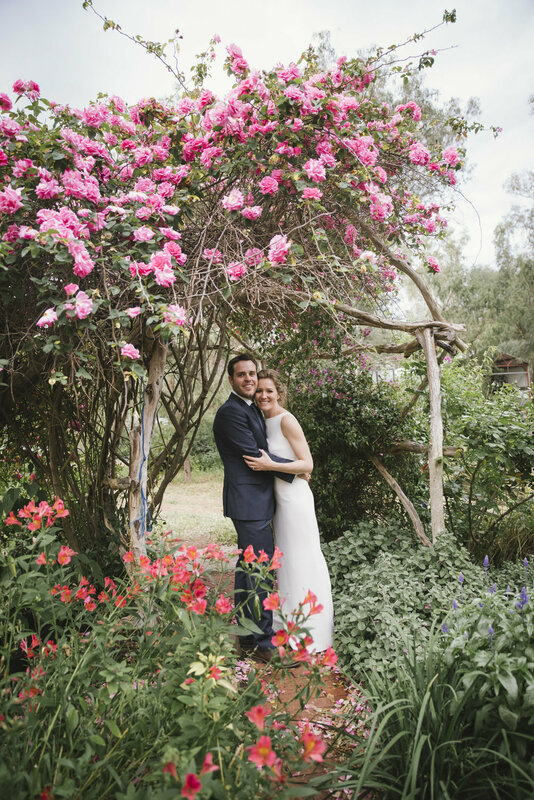 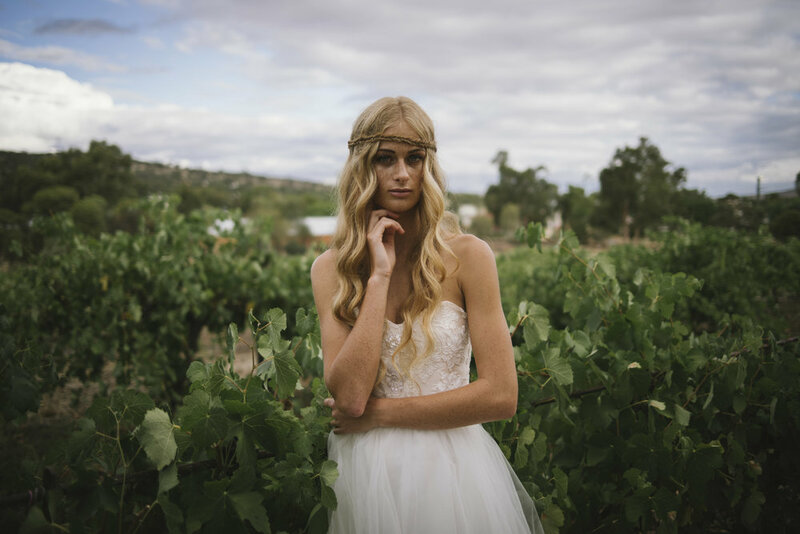 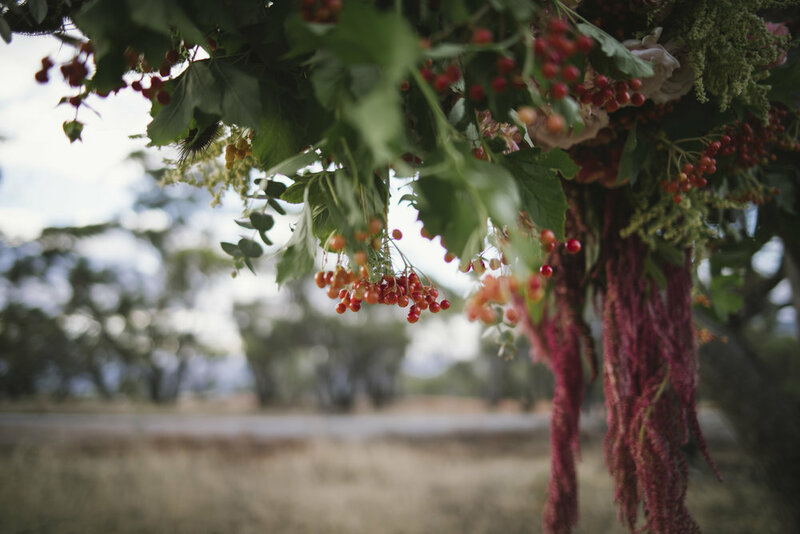 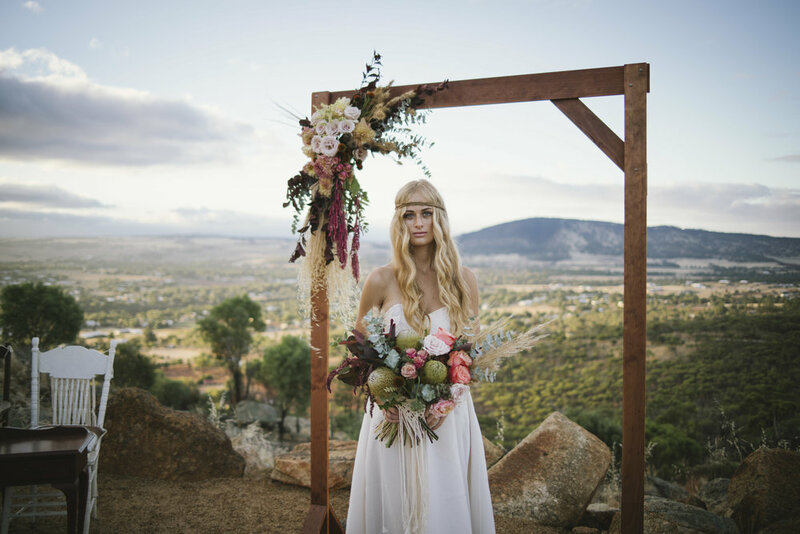 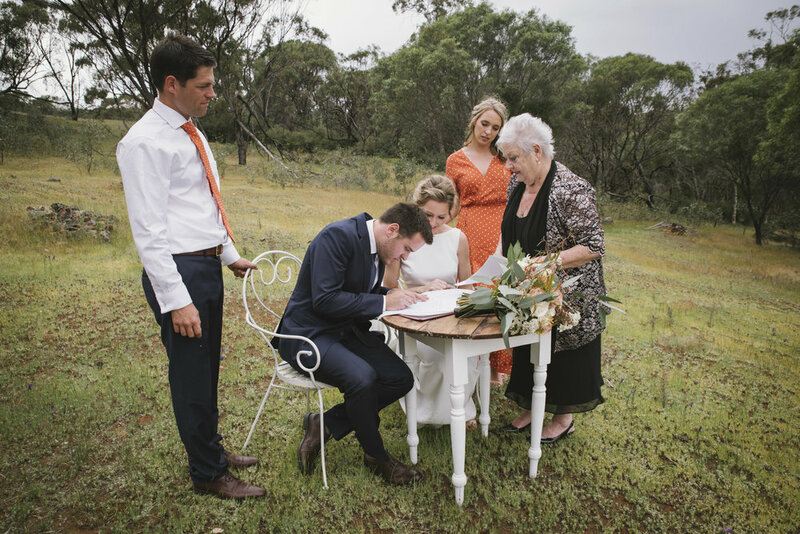 Recently, I teamed up with the lovely ladies from Confetti & Co and Petallica Flower Co, to form The Wheatbelt Collective, a collaboration between like minded wedding and event specialists, based in the Avon Valley, just east of Perth in WA. 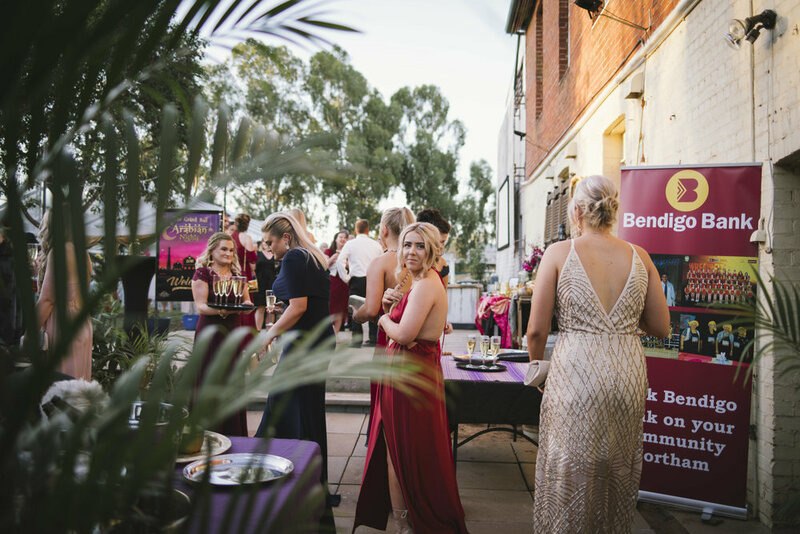 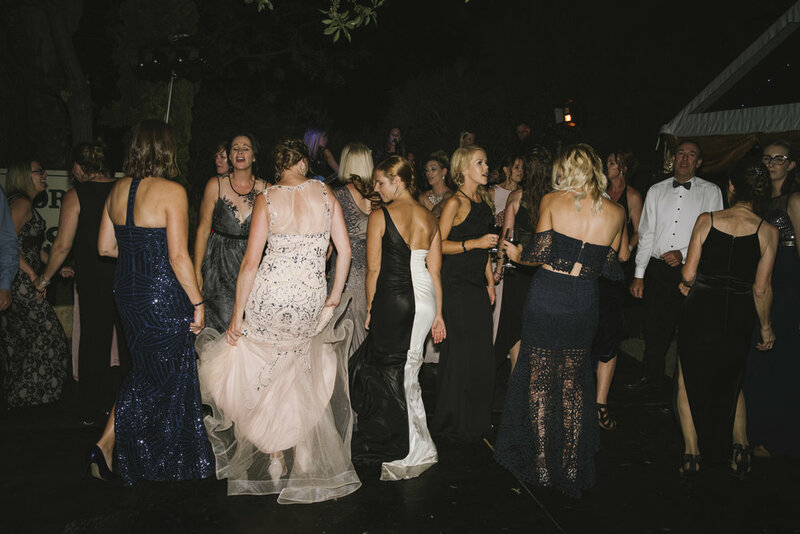 A stylist (Sarah & Holly), a photographer (Angie), and a florist (Sarah), we aim to provide an innovative and fresh approach to weddings and events held in both rural and urban areas, but with a particular focus on events held in the country. 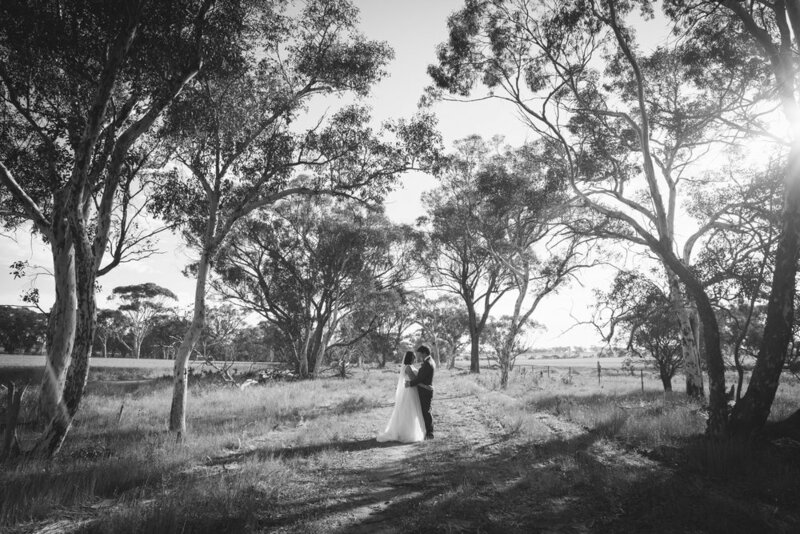 The Avon Valley and Wheatbelt offer a stunning backdrop to any style of wedding or event, and being local to these regions, we have an intimate knowledge of rural venues and suppliers, which means that together, we can help you plan a unique and exciting day that runs smoothly, is loaded with personality, and most importantly, reflects you and your event. 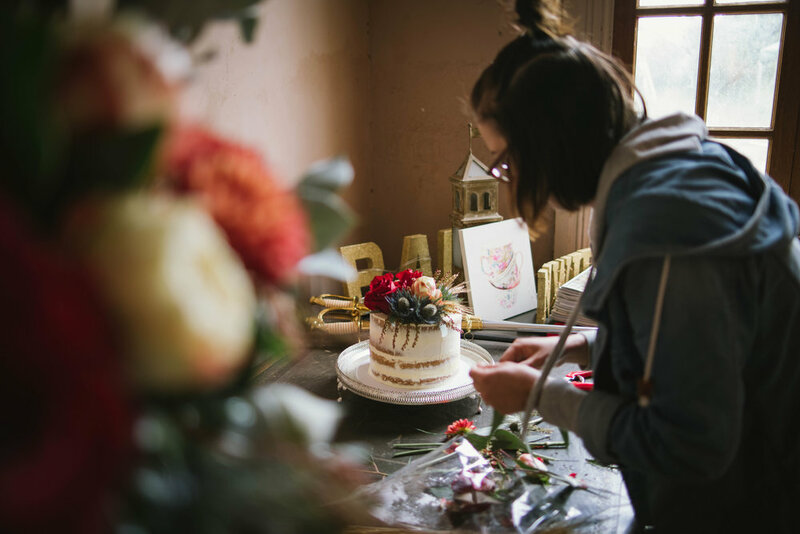 So in preparation for our launch, we put our heads together to produce our first styled shoot, which was held at The Grand Northam, an incredible old hotel, currently undergoing renovation as a wedding and event venue, right here in our beautiful Avon Valley. 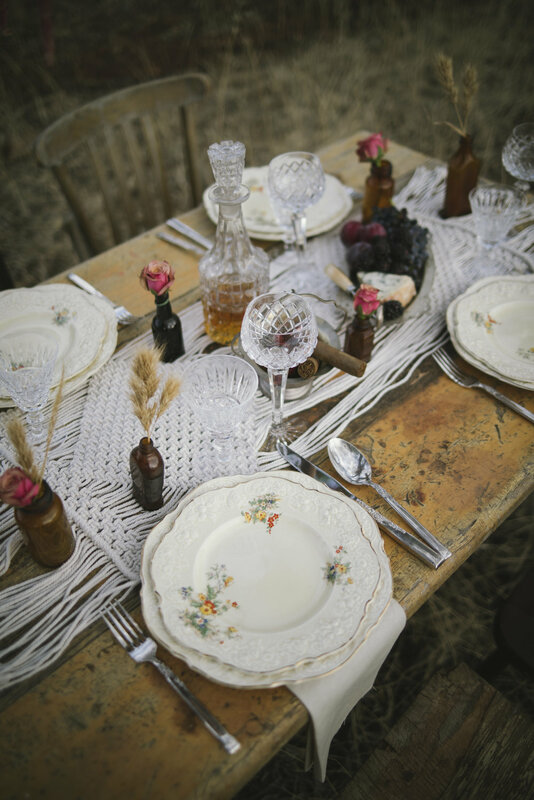 The aim of this shoot was to showcase what we can offer you in the country, should you choose to keep it local. 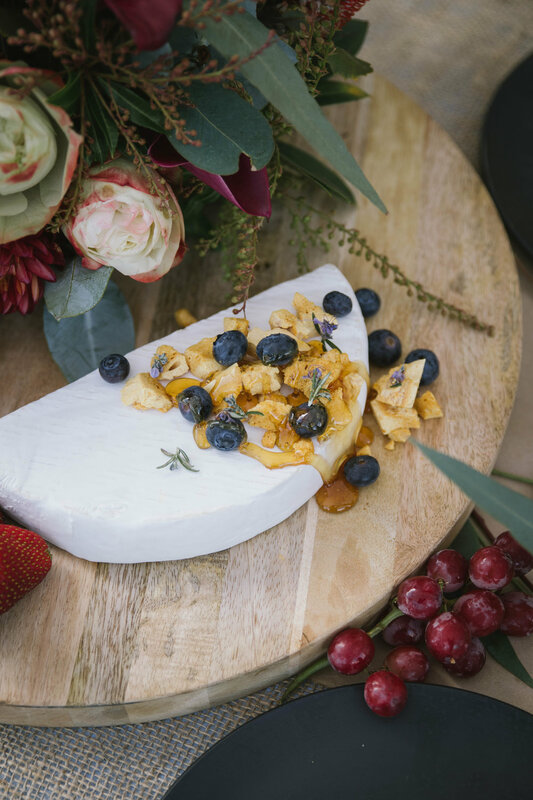 We wanted it to be fresh, creative and unique, and to incorporate some local product, which might not be found easily in the city. 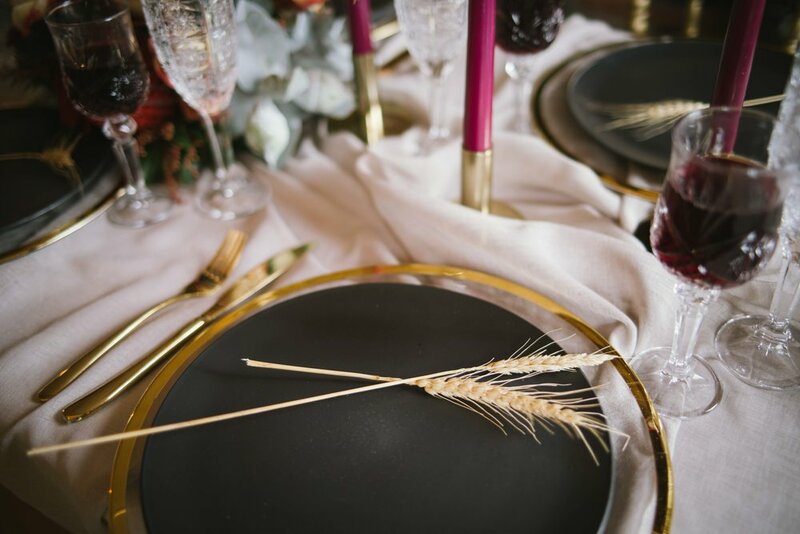 Hence the amazing venue, and the golden wheat heads and lustrous macrocarpal that Sarah used in her floral creations! 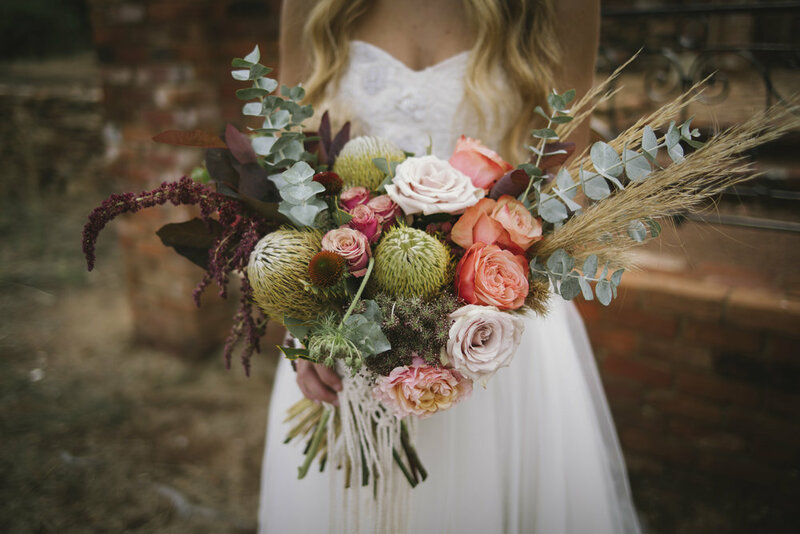 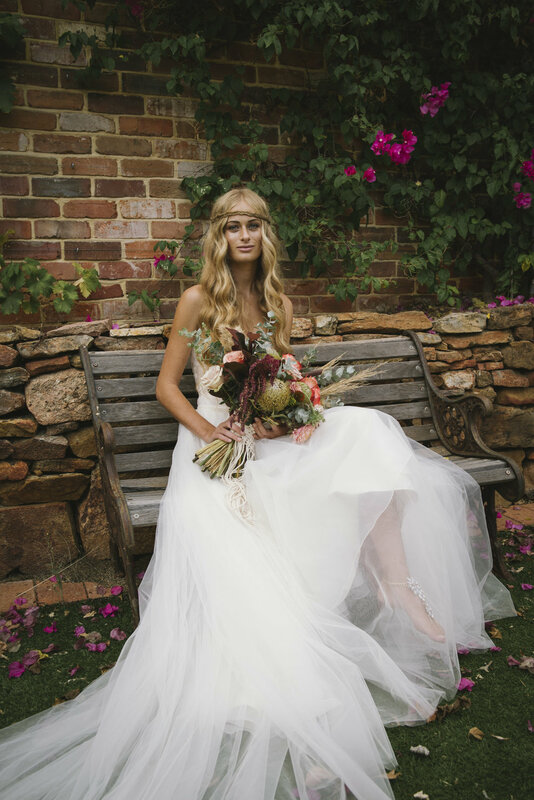 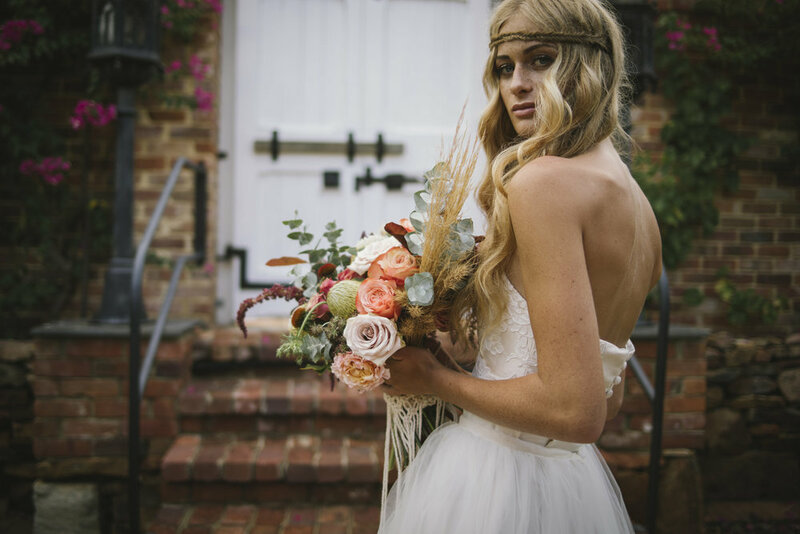 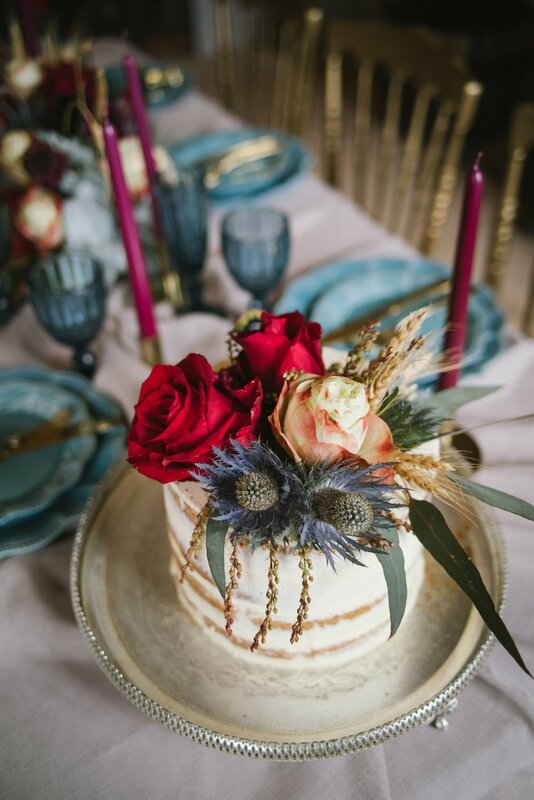 Sarah and Holly (Confetti & Co) provided a brief for a bold, wintery, bohemian look, full of golds, blues and a hint of blush, and Sarah (Petallica Flower Co) began sourcing rich velvety roses, cascading eucalyptus, sea holly, andromeda scabiosa, banksias, queen proteas, the macrocarpal and wheat, and some super moody black and burgundy calla lilies, for the floral arrangements. 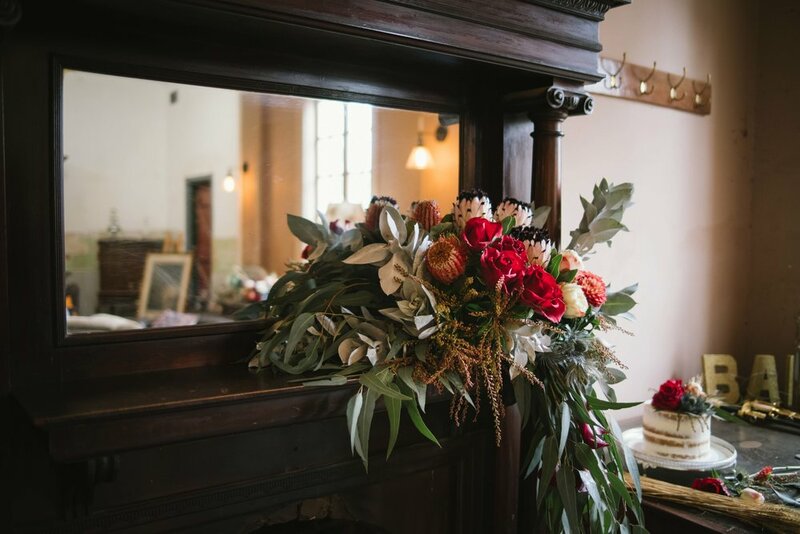 We then cleared an area amongst the renovations at The Grand, in front of the majestic dining room fireplace (under that amazing print of Napoleon Bonaparte! 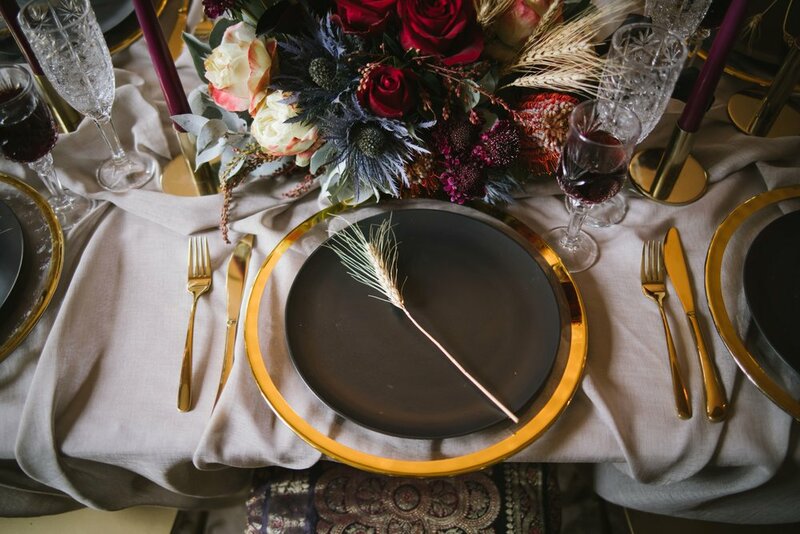 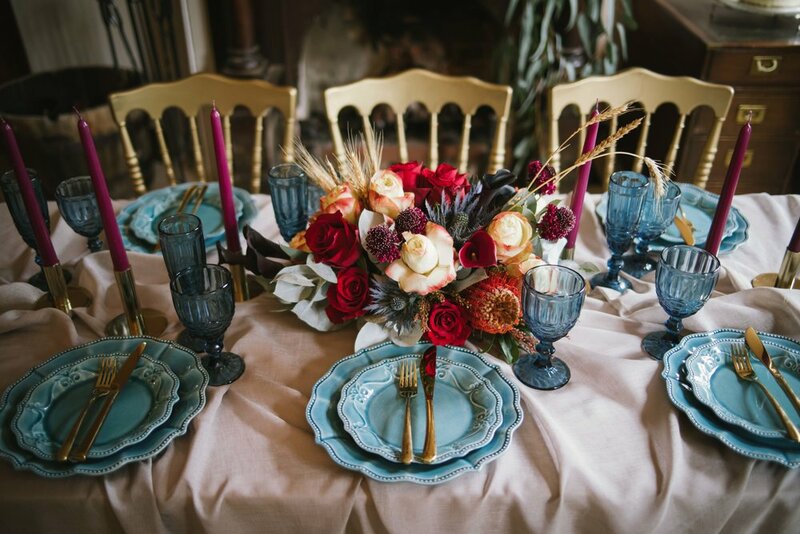 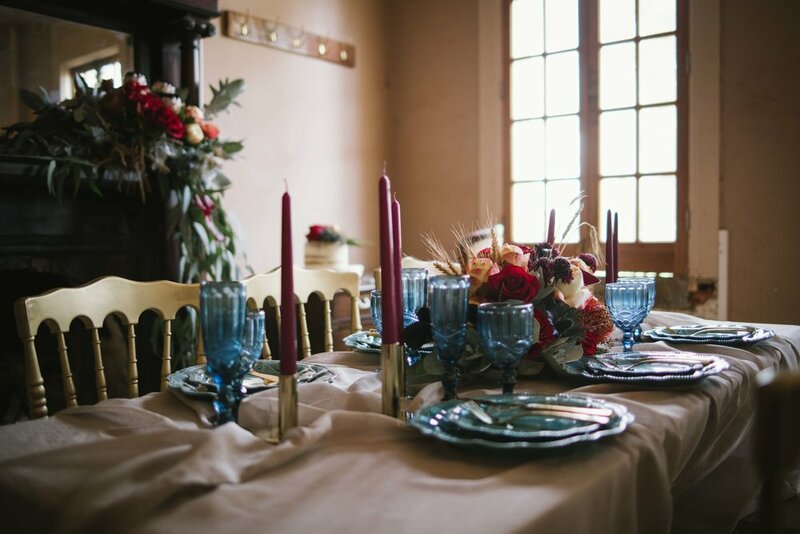 ), and set up our table, complete with gorgeous gold chairs supplied by Event Artillery, and some stunning tableware by Orielle. 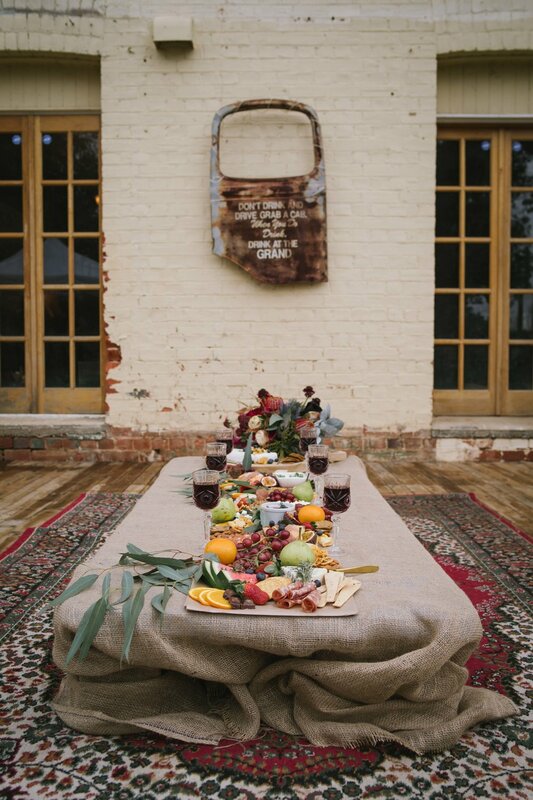 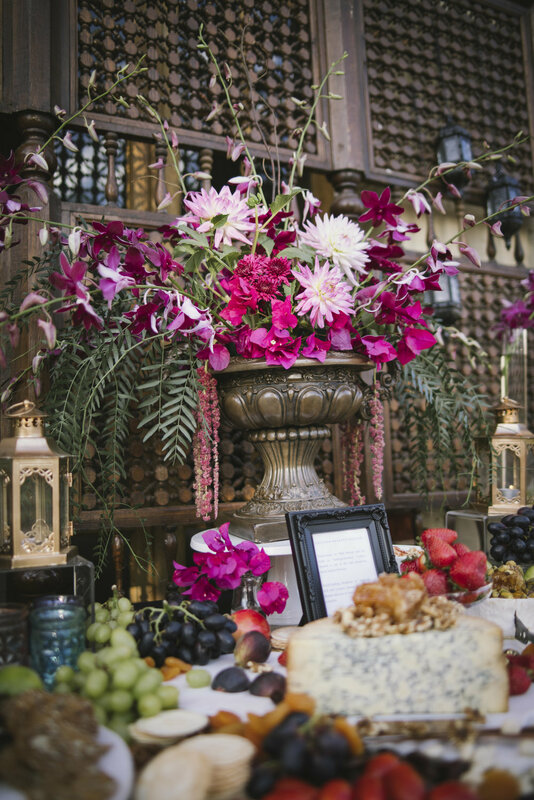 In addition, Sarah and Holly created an incredible rustic grazing table outside on the deck, to showcase the idea of picnic style dining, which is of course, so well suited to many country events. 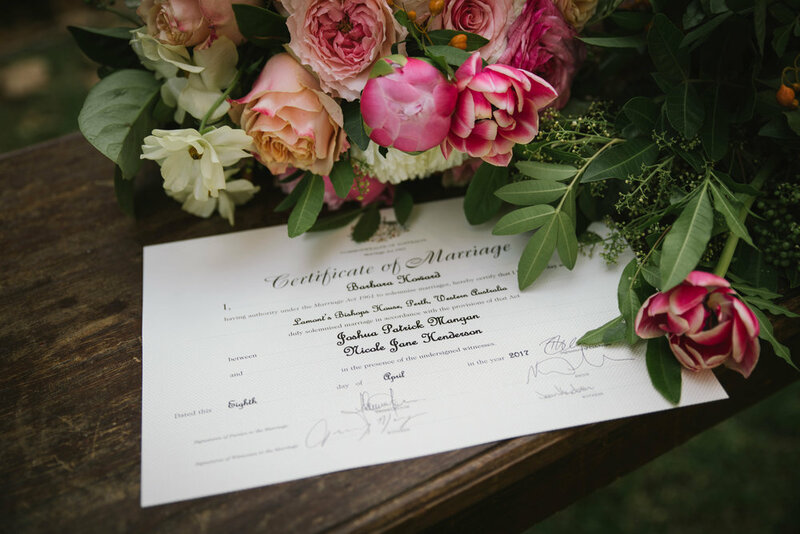 And voila! 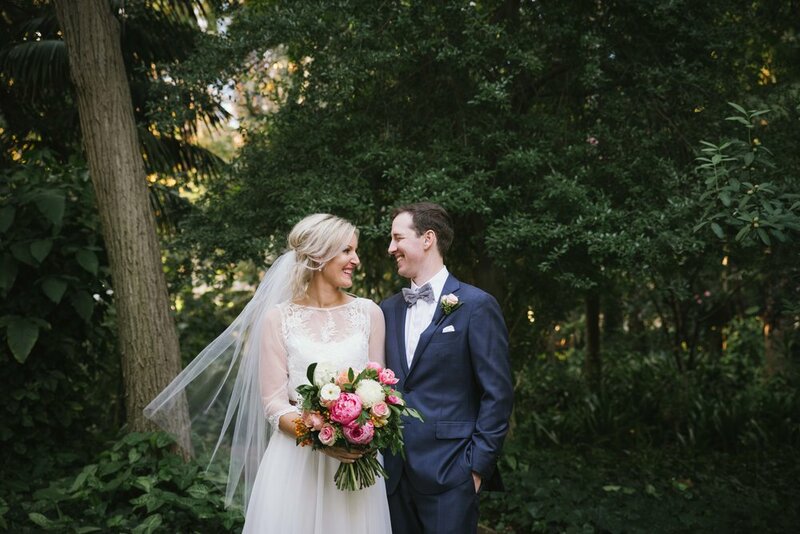 This is the result, and we couldn't be happier with it! 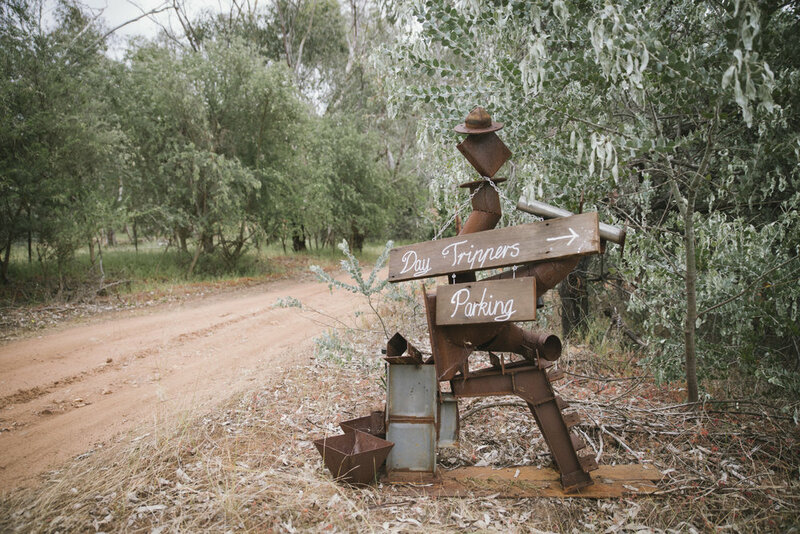 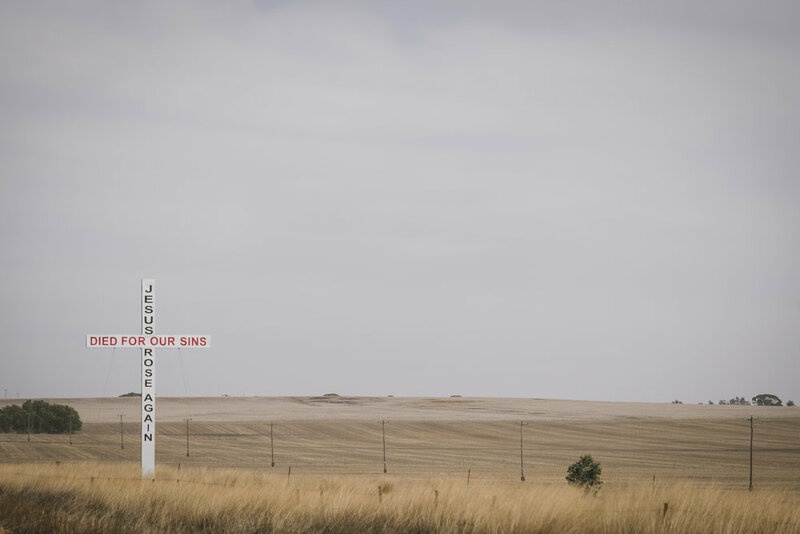 Now you know what's possible out here in the country. 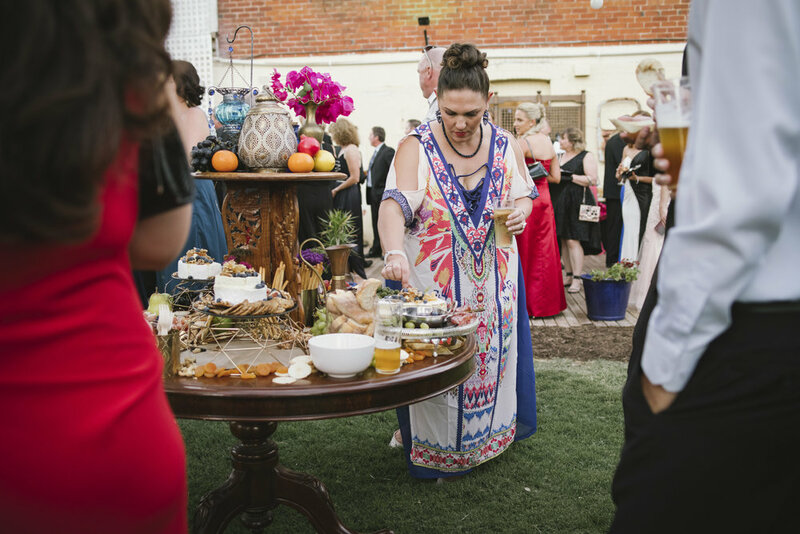 Plus we had a heap of fun creating (and then eating!) 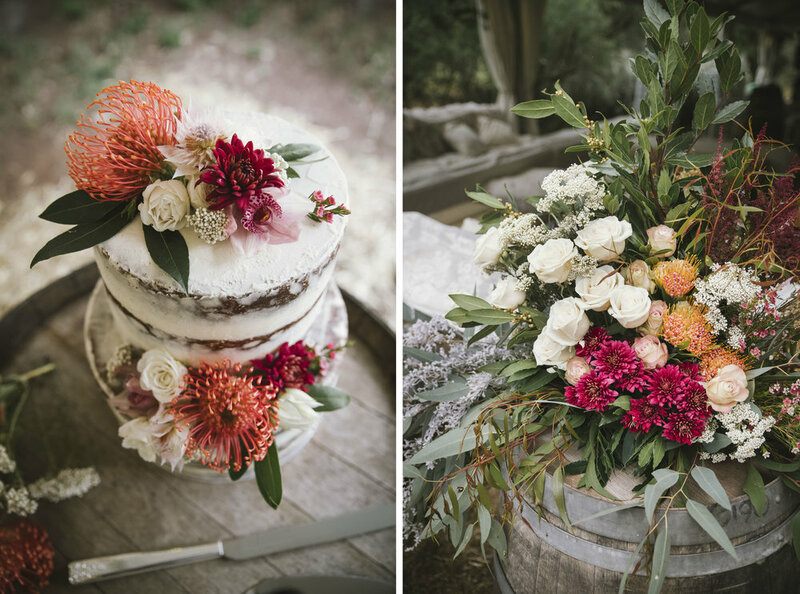 beautiful things, so we can't wait until it's off-season again, so we can do it all again!